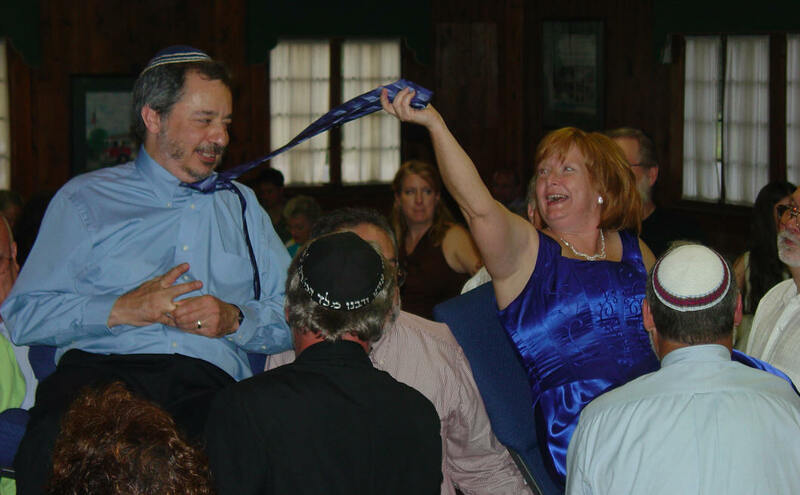 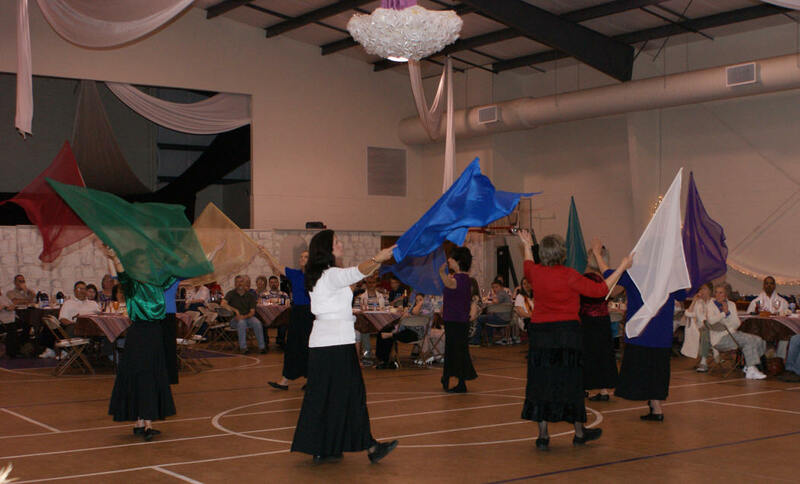 Curtis & Carolyn Loftin had been teaching and performing Israeli Folk Dance for about 10 years when they joined Covenant Bible Church in Lincolnton, NC, in 1999. 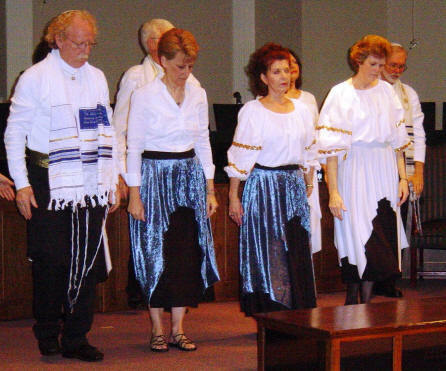 It wasn't too long after they started attending Covenant that they were asked to start an Israeli Folk Dance class at the church. 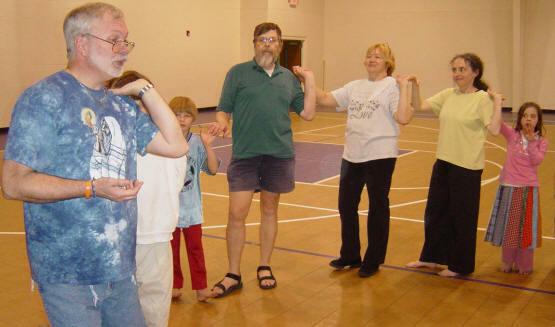 Initially it was just Curtis and Carolyn with seven other ladies. 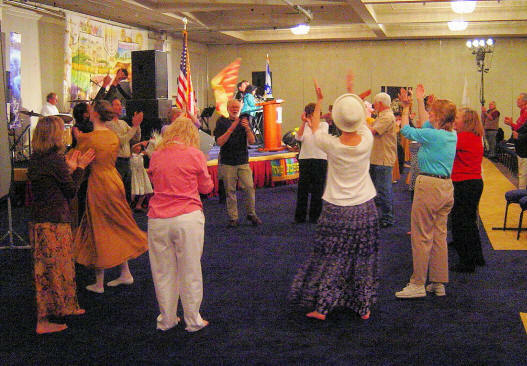 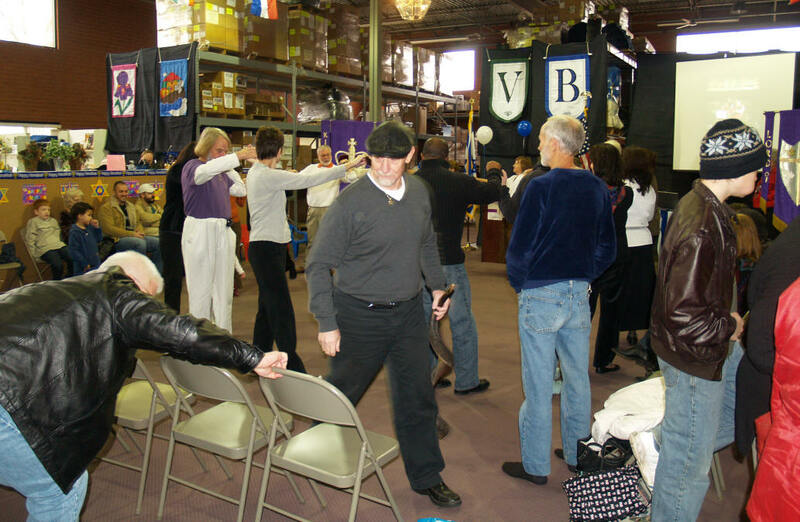 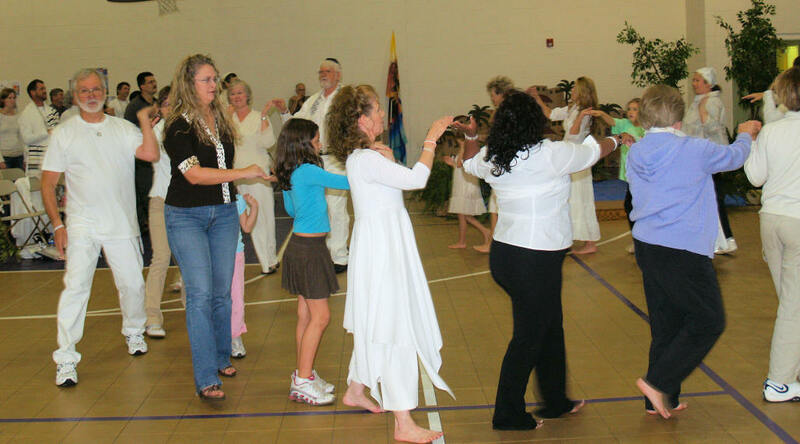 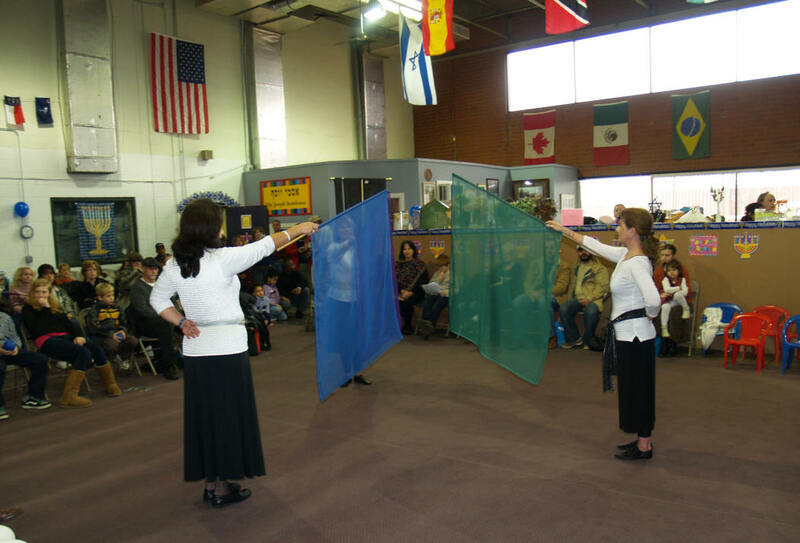 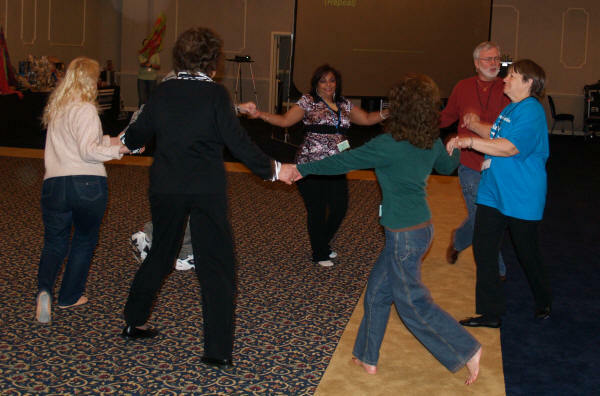 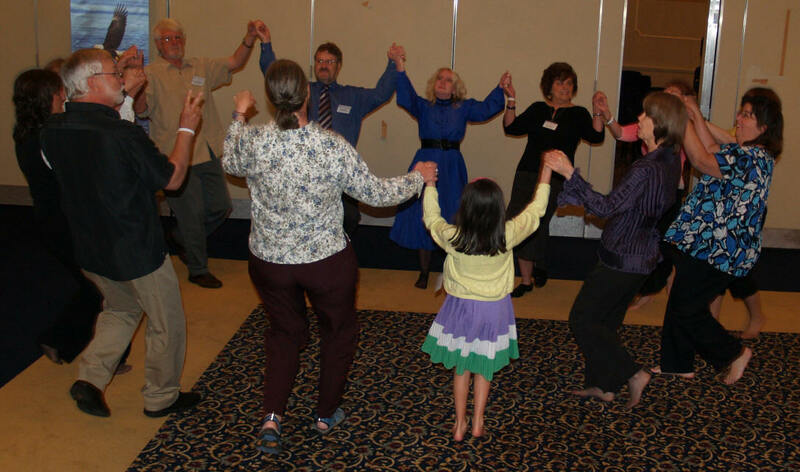 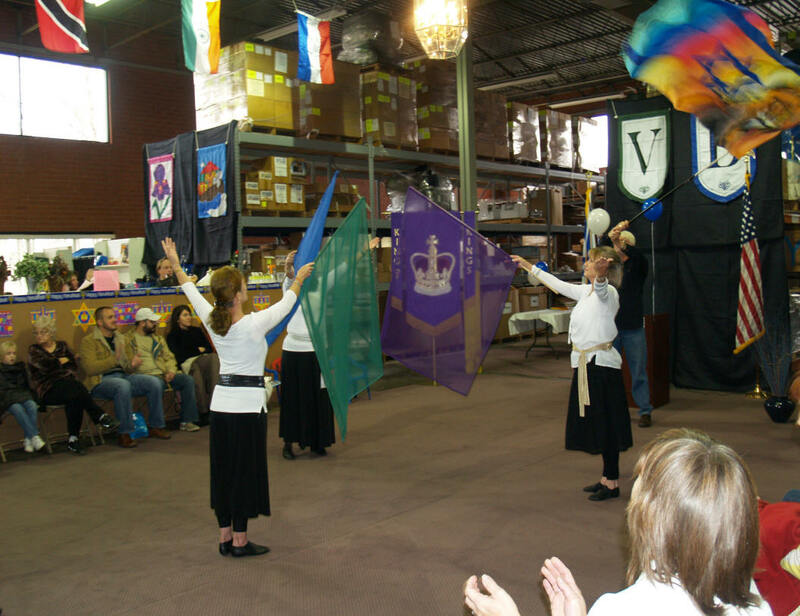 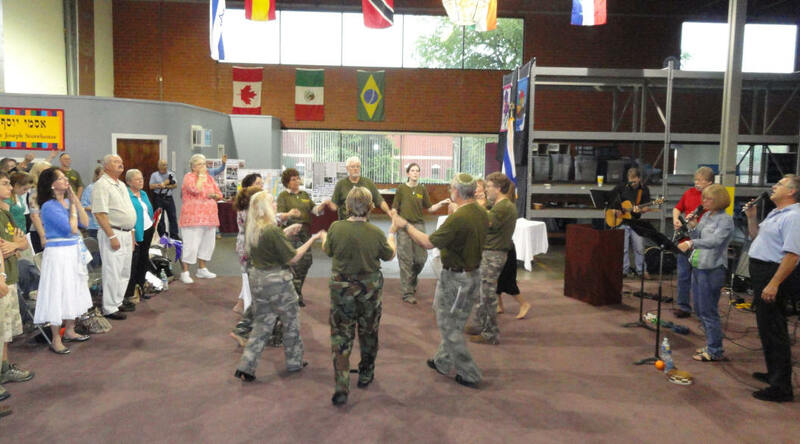 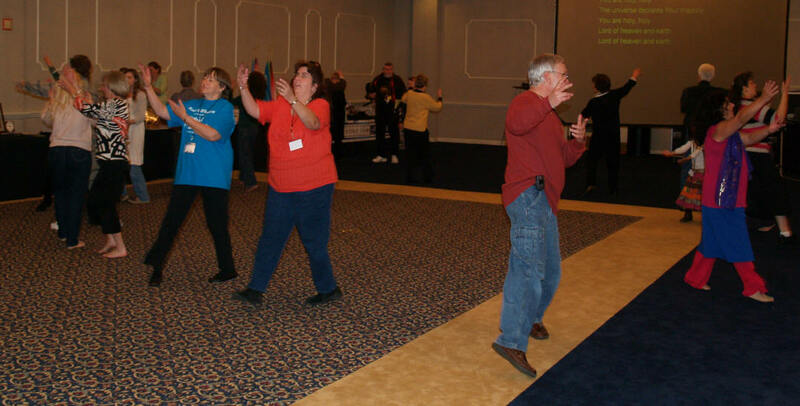 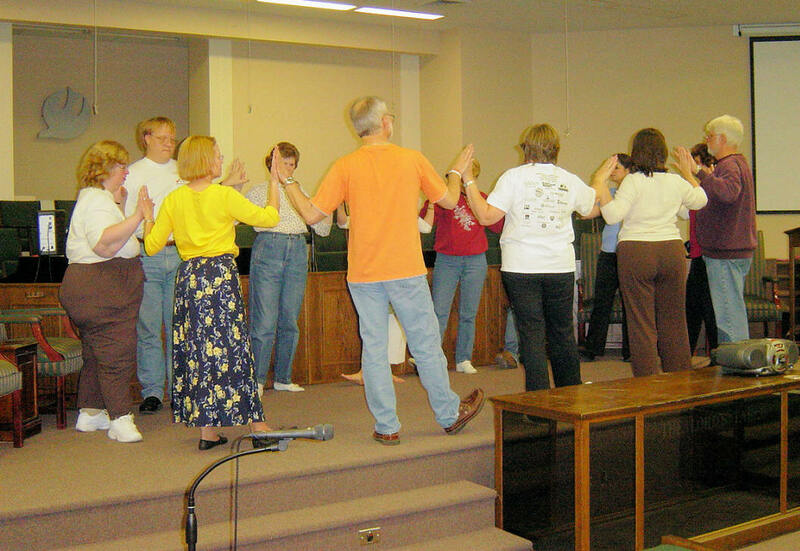 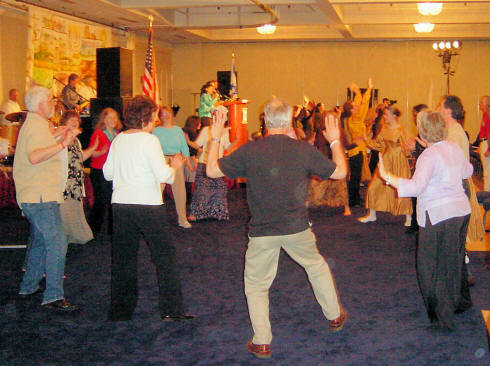 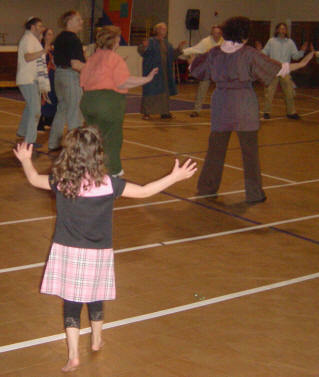 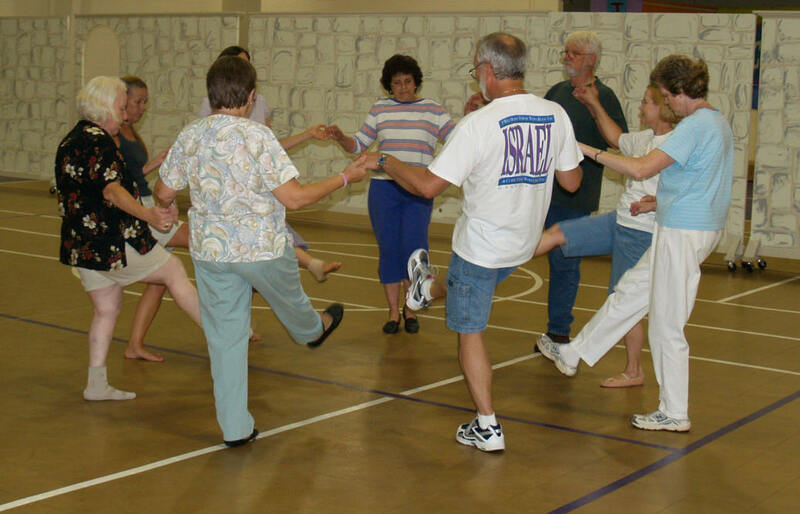 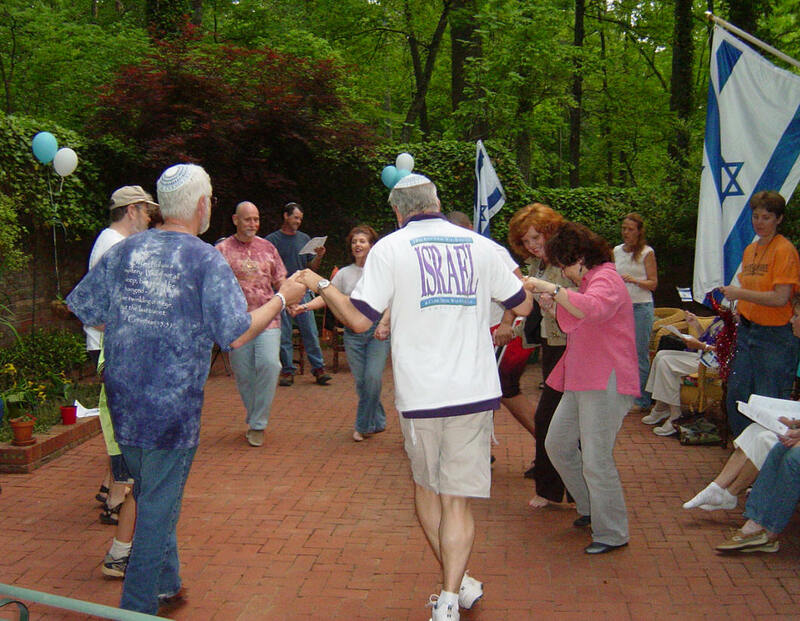 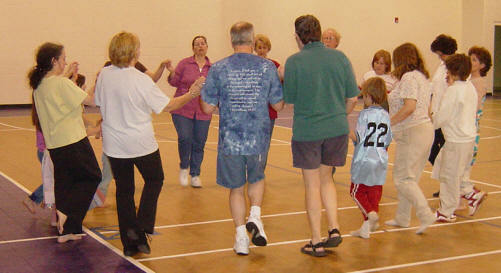 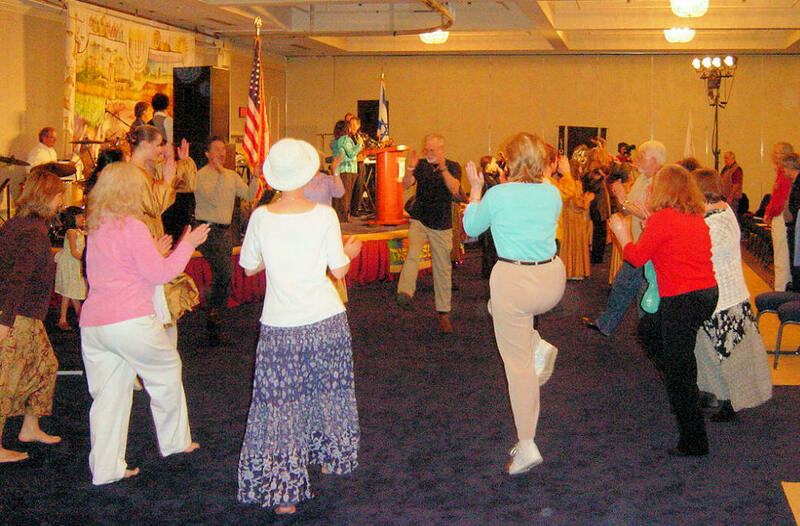 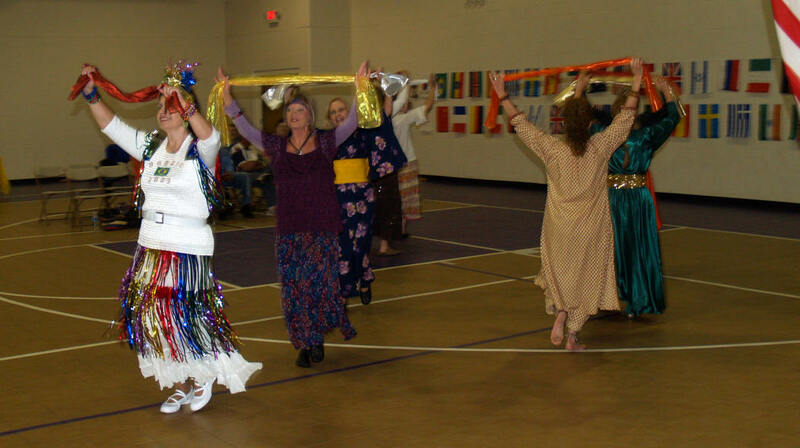 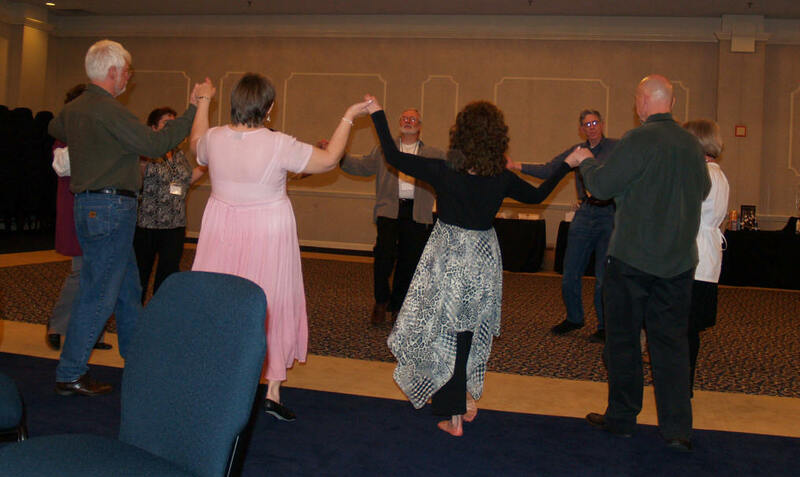 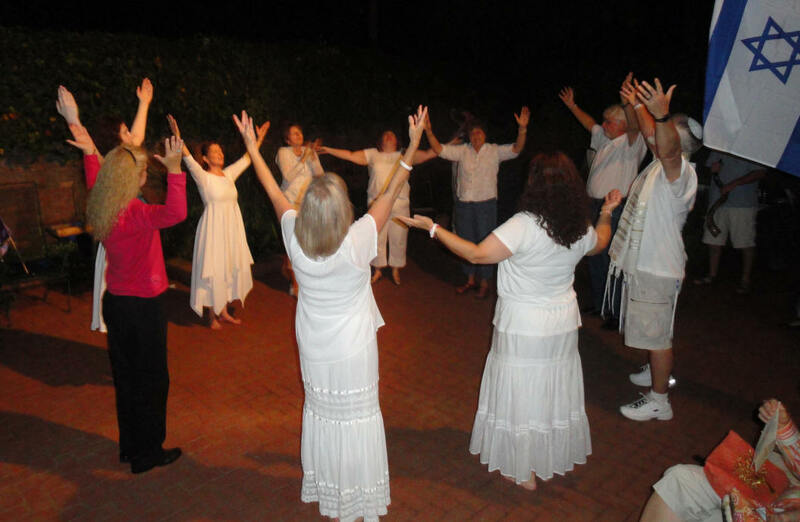 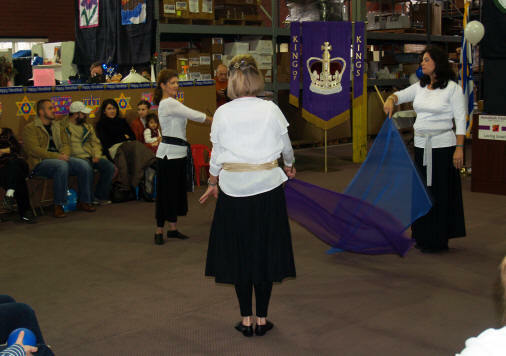 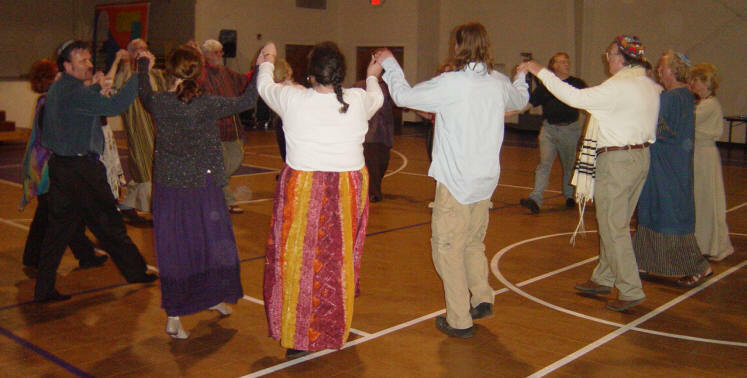 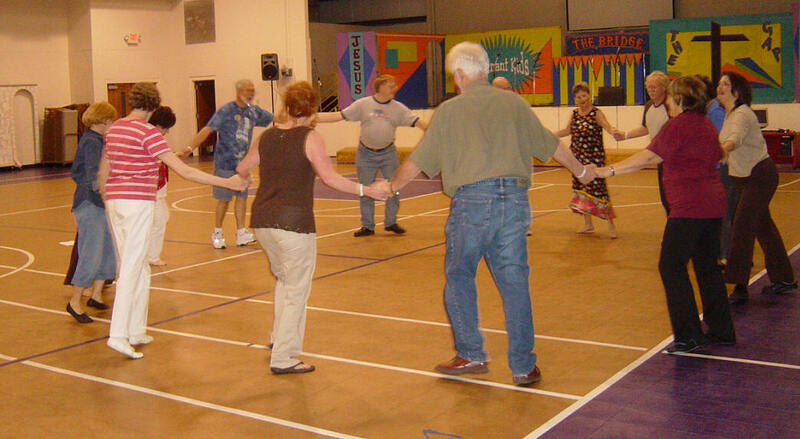 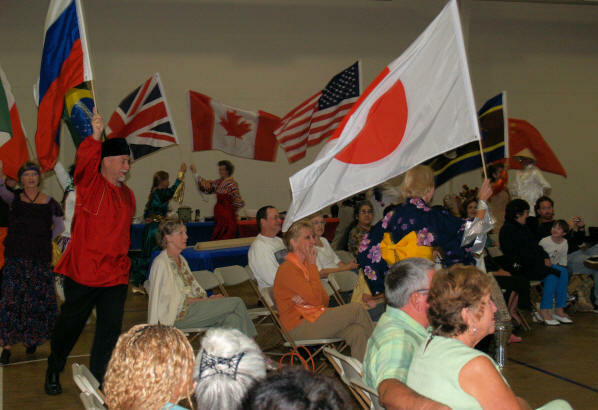 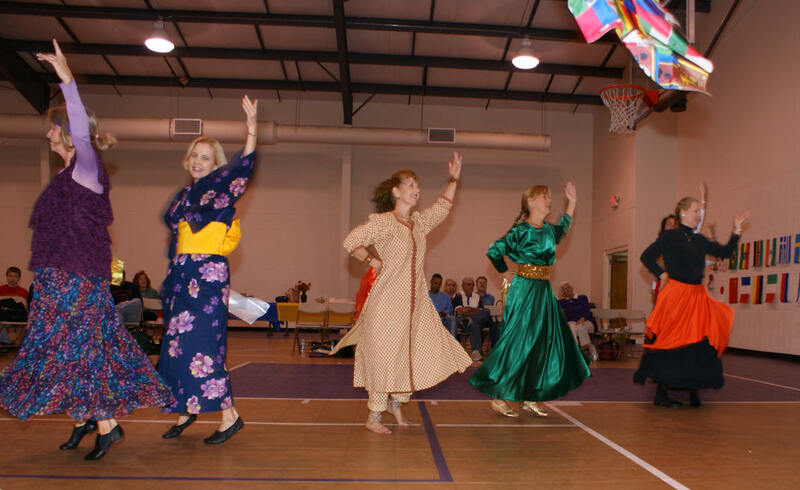 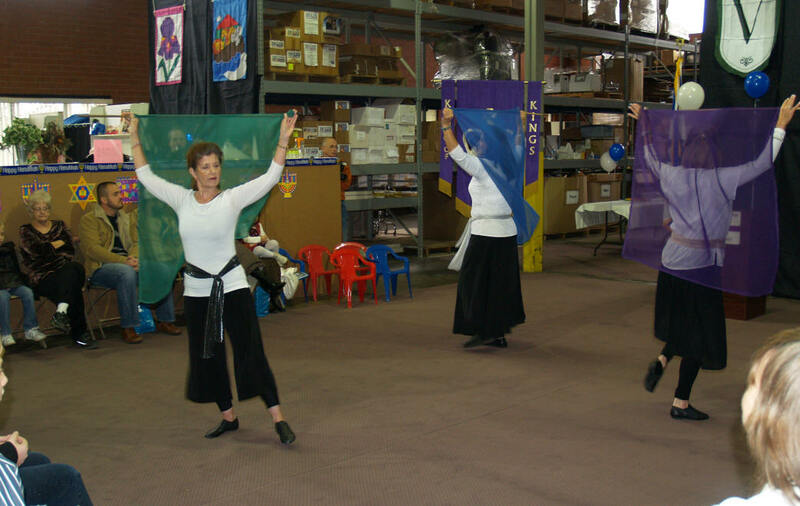 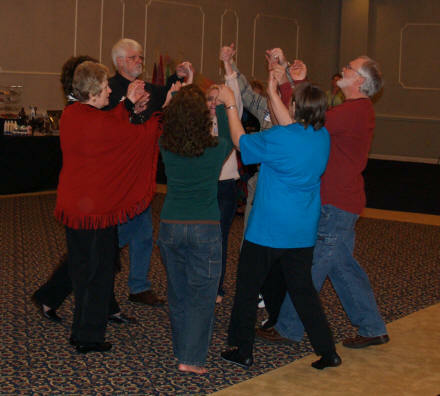 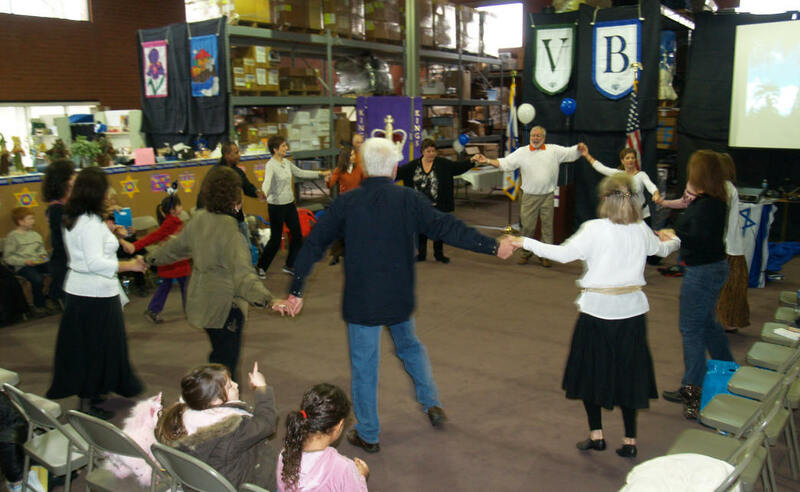 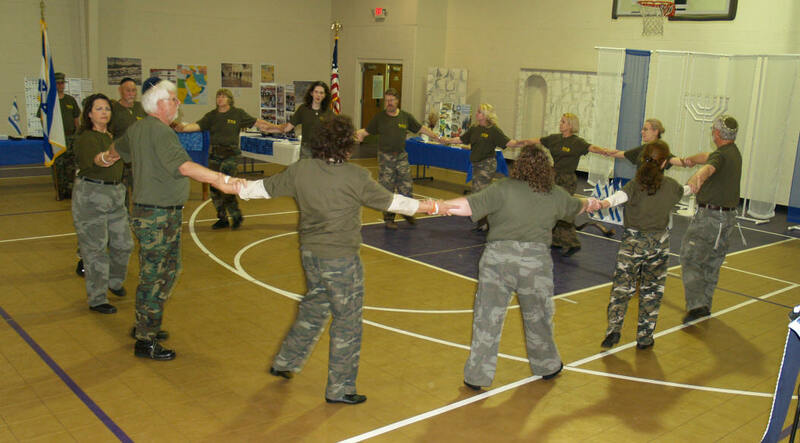 Beit Yeshua was founded in 2001 and Israeli Folk Dance was a major part of their Shabbat and Festival Meetings. 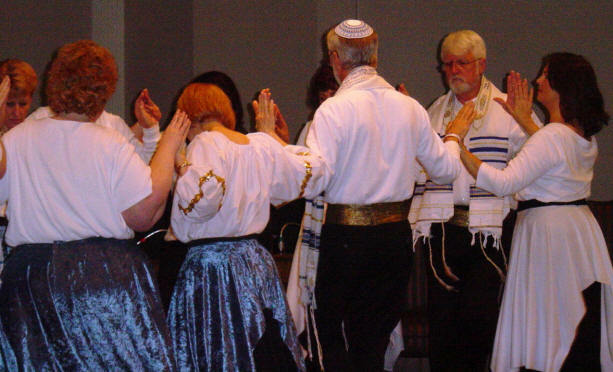 As time passed, in addition to dancing at Covenant and Beit Yeshua, the Machol Dancers were invited to dance at other churches and congregations as well as conferences. 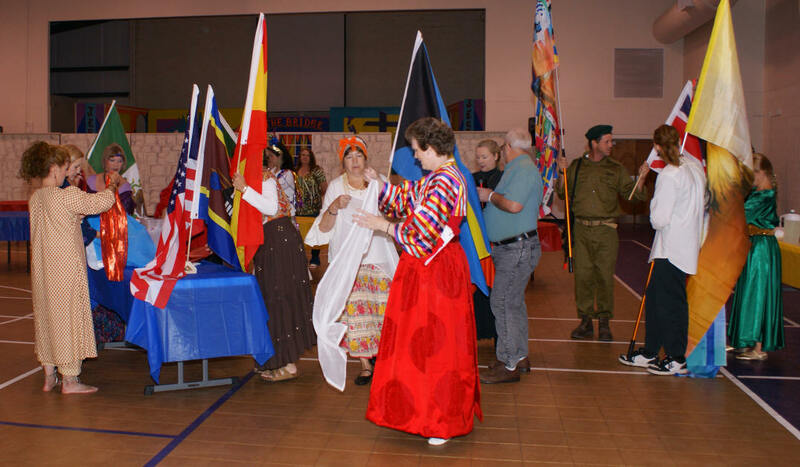 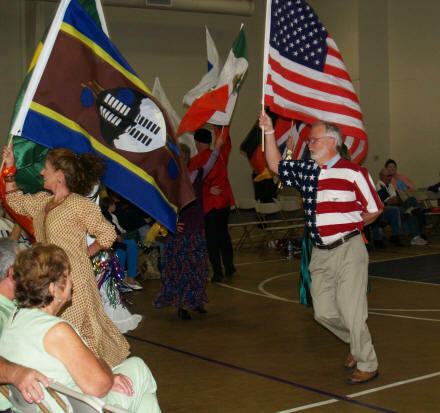 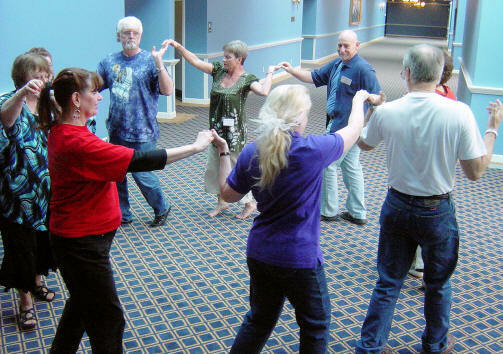 Curtis & Carolyn also taught Israeli Folk Dance at the Resurrection Lutheran Church International Dance Camp in Charlotte. 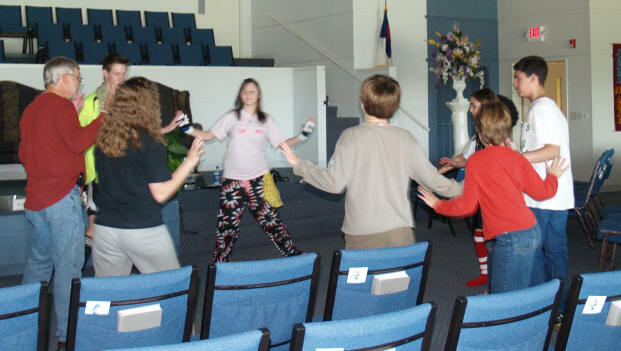 As we moved into 2006, we were doing our dance practices at The River Church in Lincolnton thanks to the graciousness of Pastor Bill Shupp. 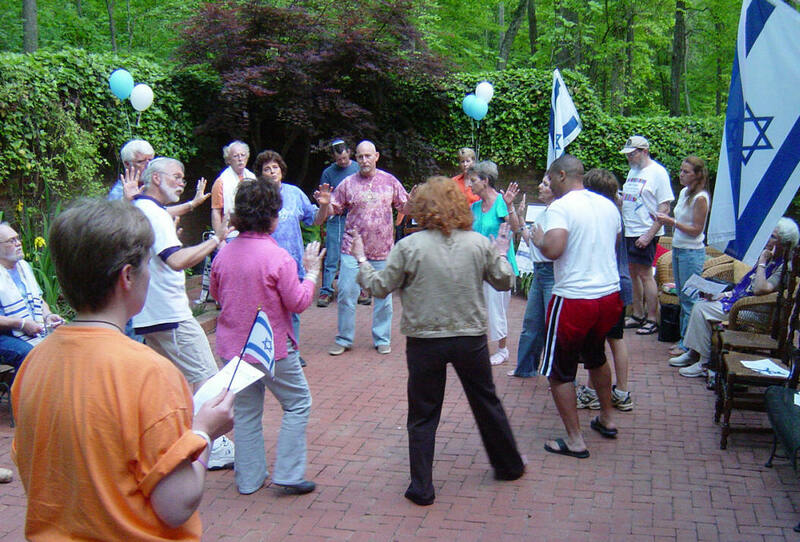 We held our 2006 Pesach Seder at THE RIVER and had our largest crowd to date - with 70 in attendance. 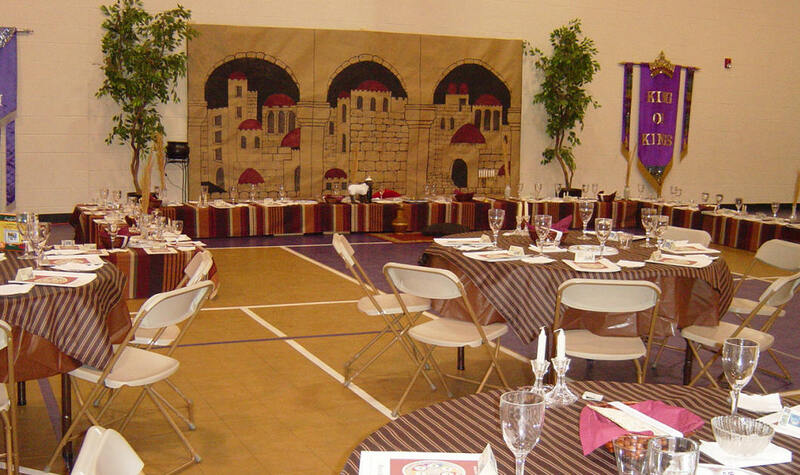 The tables were set up for the Seder in one room and we had our time of praise & worship at the end of the evening in the church sanctuary room. 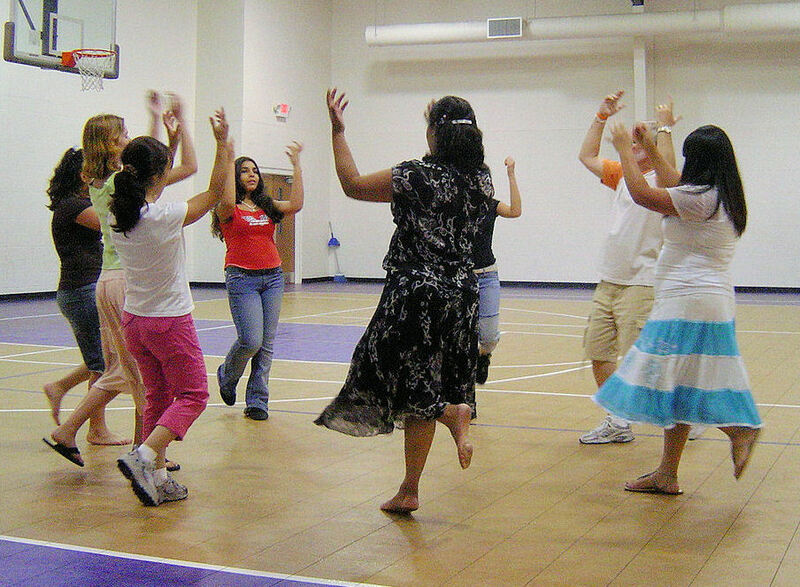 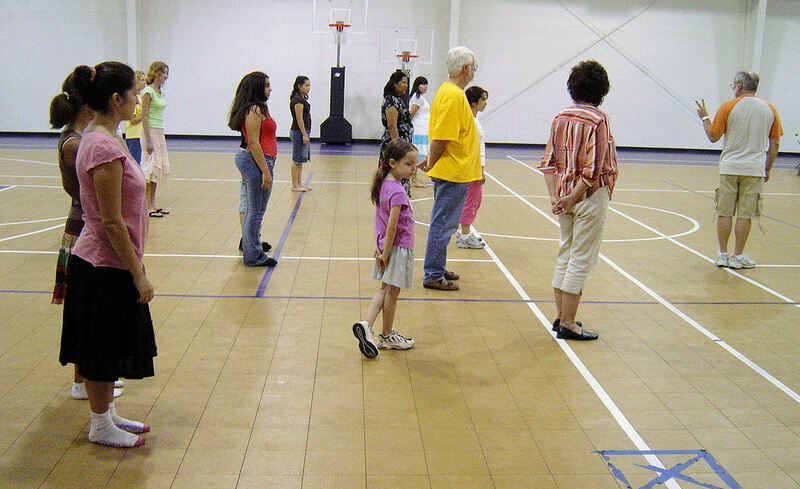 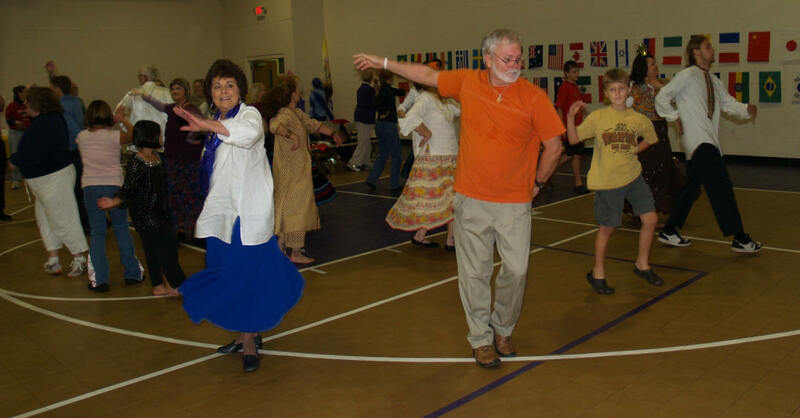 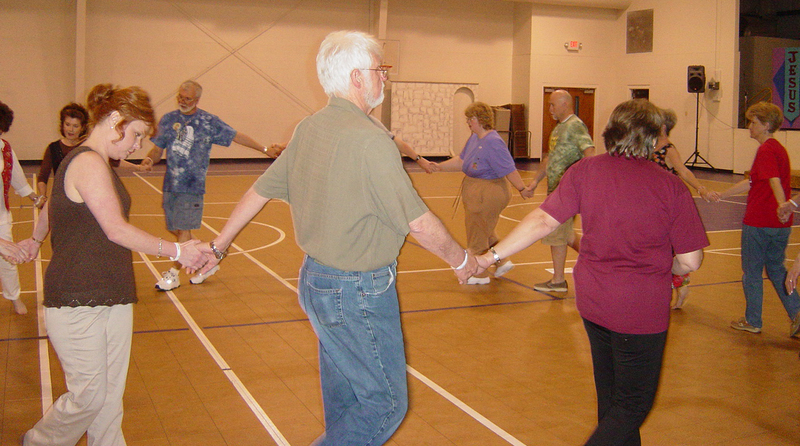 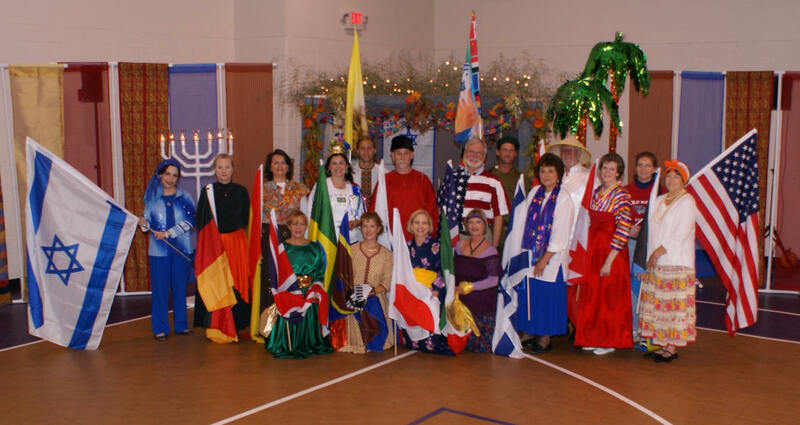 Curtis & Carolyn were invited to teach Israeli Folk Dance at the Catawba Methodist Church Vacation Bible School in June 2006. 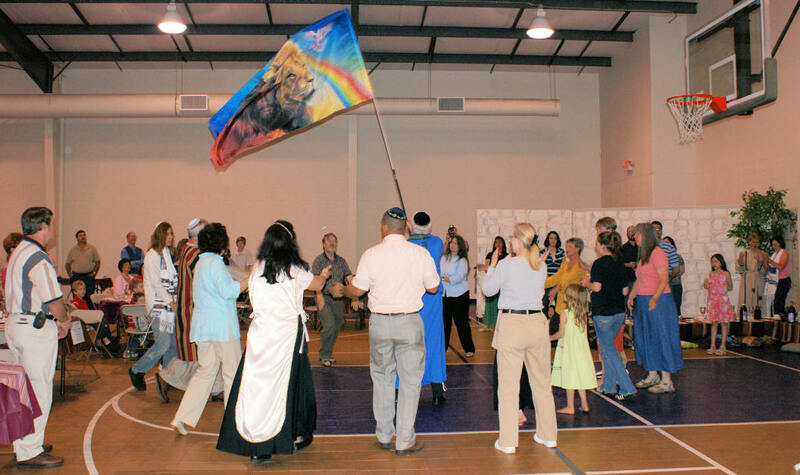 Each of the Bible School classes had the name of a Biblical Tribe (named for the sons of Jacob) and the ages of each class were mixed from pre-school to middle school. 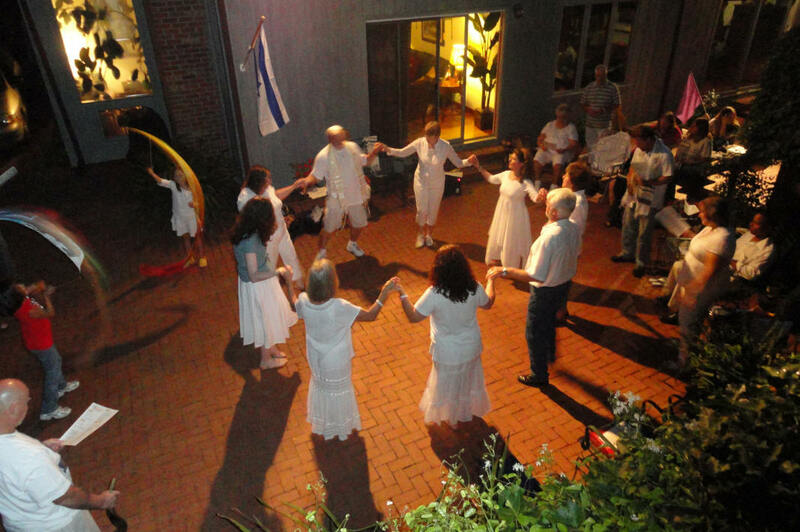 THE RIVER Church disbanded at the end of 2006 and we were wondering if we would be continuing with our Israeli Folk Dance Class - and if so, where. 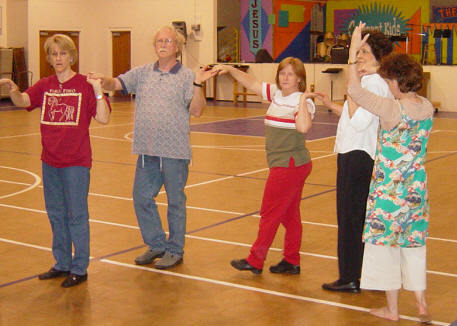 Curtis talked with Covenant Bible Church's new pastor, Mike Divine, who welcomed the dancers to use the Family Life Center for their dance classes. 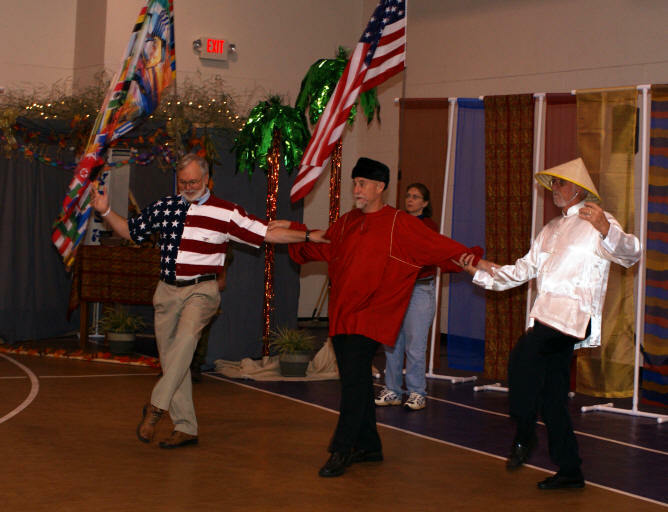 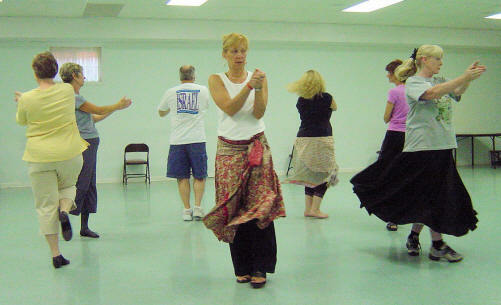 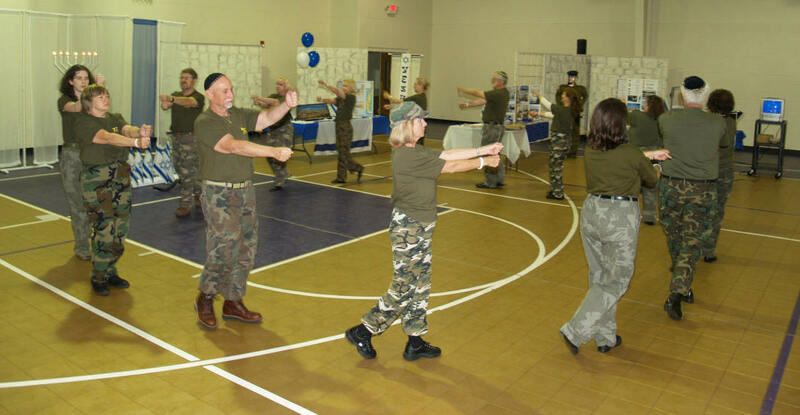 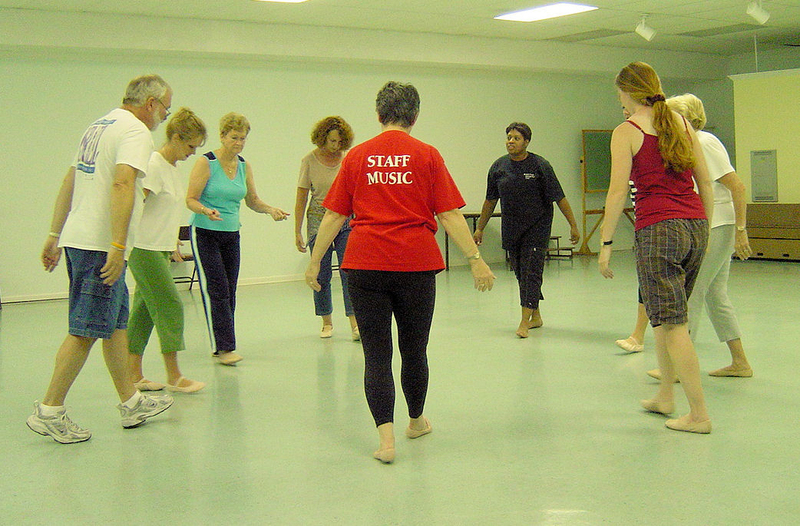 As the class resumed in February of 2006, there were some returning dancers as well as some new ones. 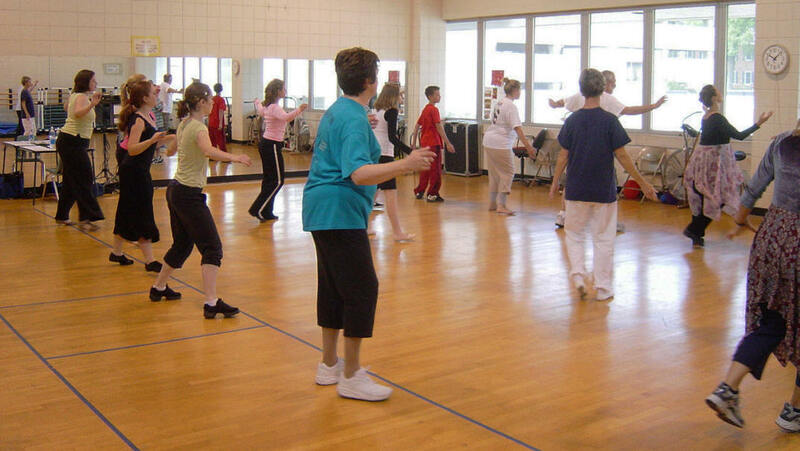 Even though we have done several children's dance classes in the past, including a 6-weeks class, we don't usually have children as part of the adult dance class unless they are 13-years-old. 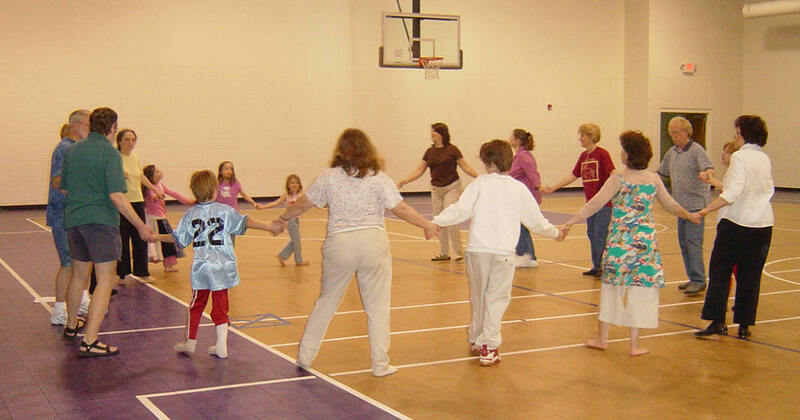 As we started the 2007 classes, several couples requested the opportunity to bring their children along with them and supervised them during the class. 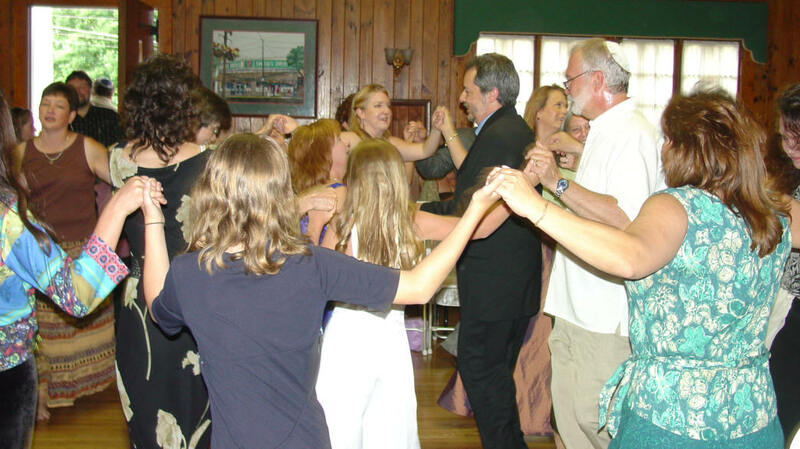 Bruce & Becky Jones' daughters, Clara & Helen, dance with their parents. 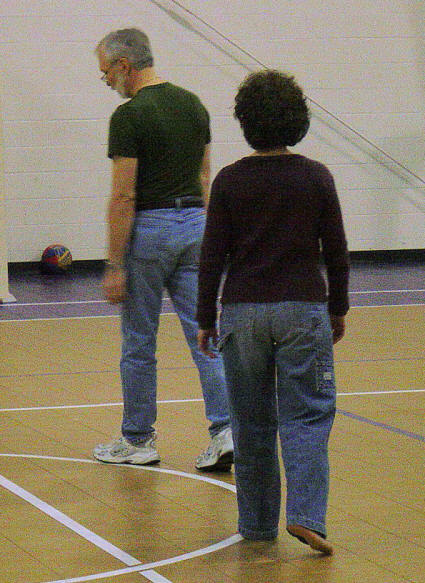 Andy & Jane Melnyk's children, Sam, Peter and Mary join the group, too. 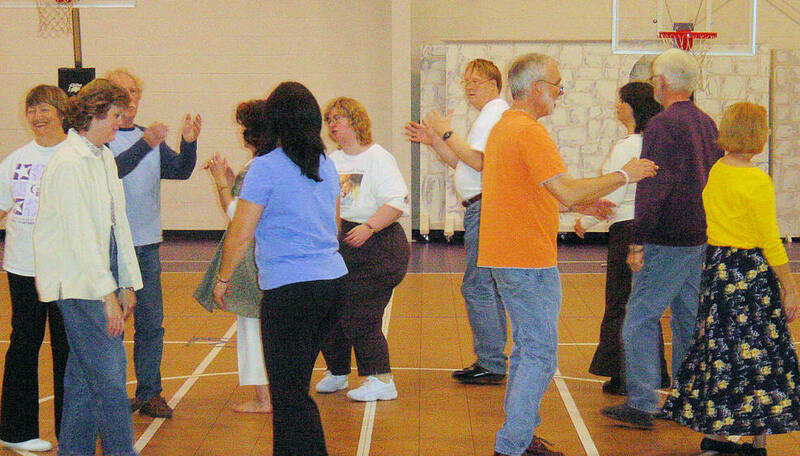 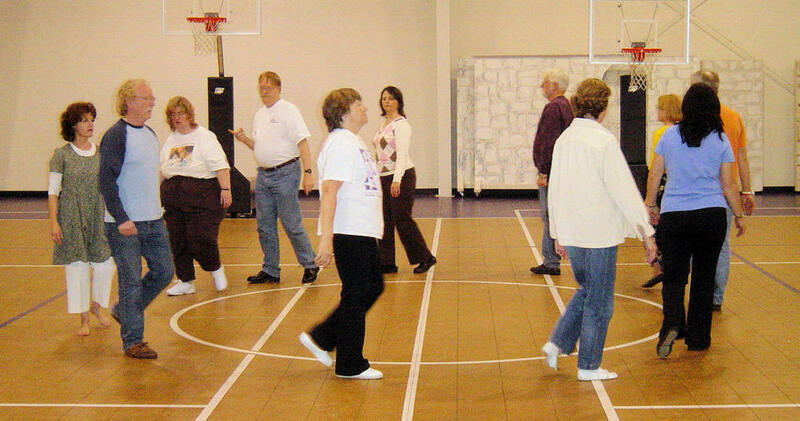 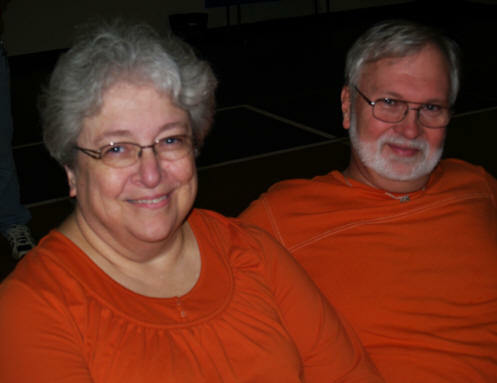 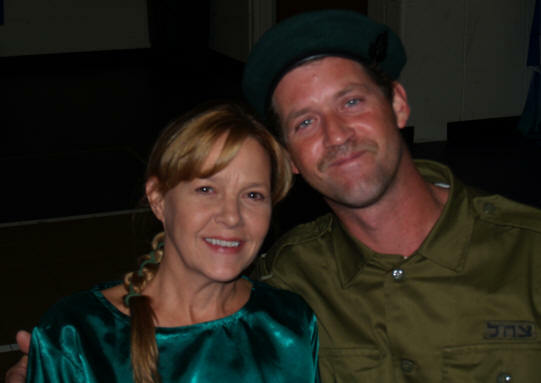 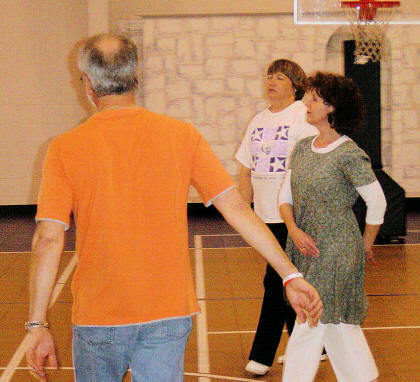 Paul & Susan Miles had recently become a part of Beit Yeshua and joined the dance classes. 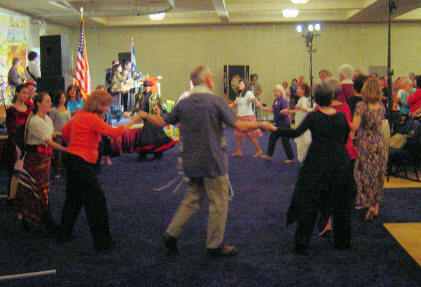 The experienced dancers teach the new ones the dance "Hine Ma Tov" and "Zemer Atik"
Vision For Israel (with Directors Barry & Batya Segal) had their first annual conference at Heritage USA the third weekend in March of 2007. 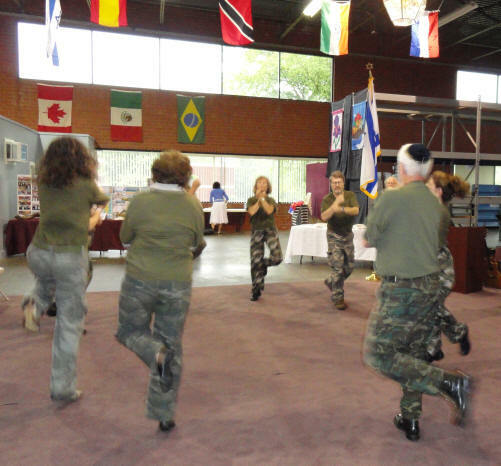 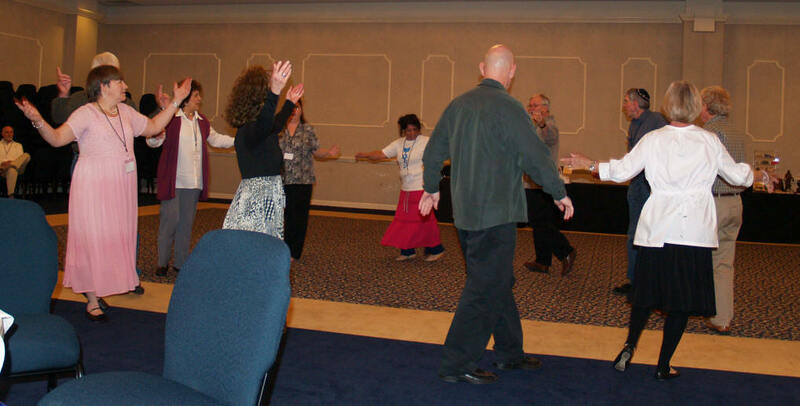 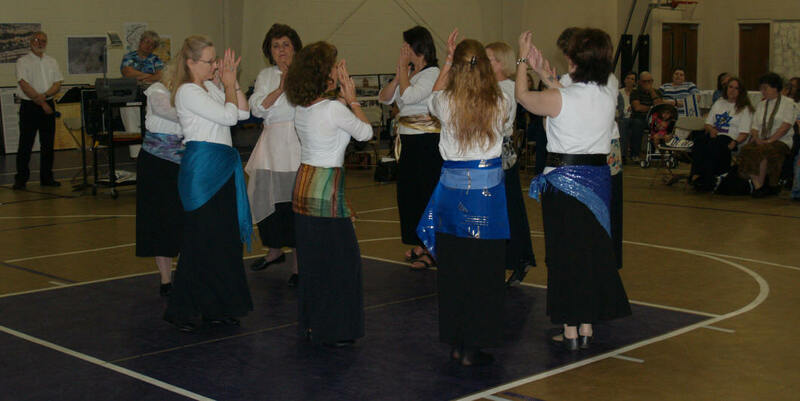 We had been used to dancing, and even leading Israeli Folk Dance, at other conferences, so we weren't bashful with stepping out during praise and worship. 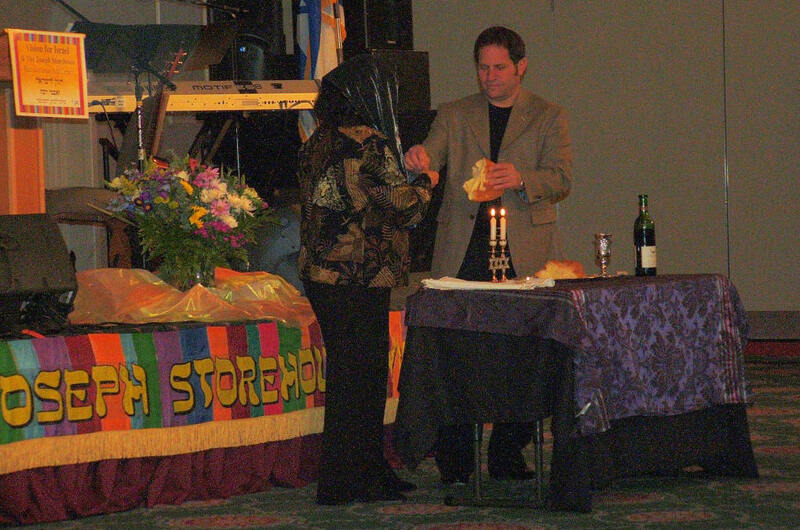 We were in need of a place to observe Pesach for 2007. 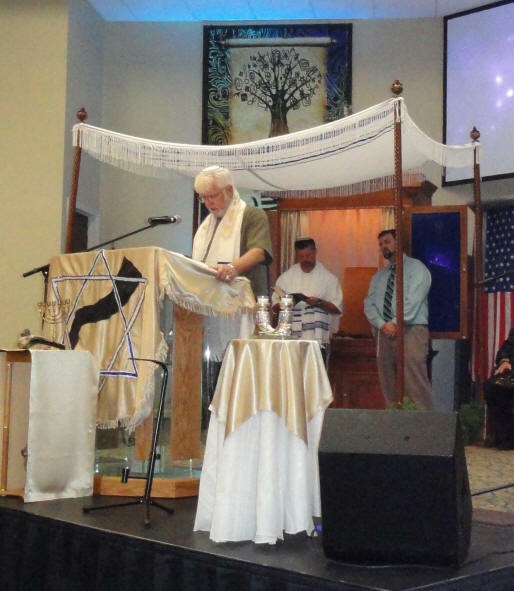 Curtis contacted Pastor Mike Divine and asked if it would be possible for Beit Yeshua to use the Family Life Center for their annual Pesach Seder. 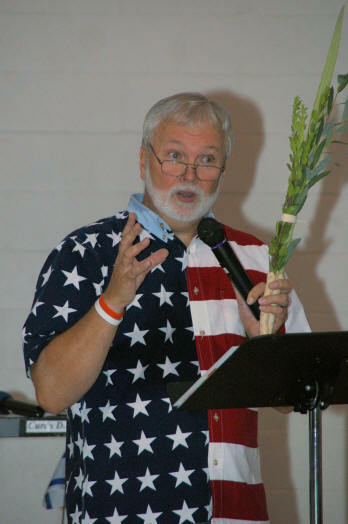 Pastor Mike and "Yes" and encouraged us to do so again the following year. 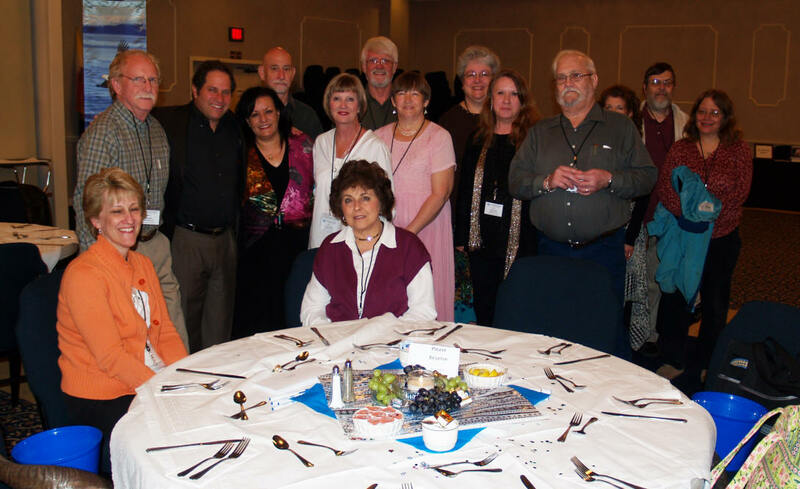 The attendance at our annual Seder continued to grow - reaching 100 in attendance. 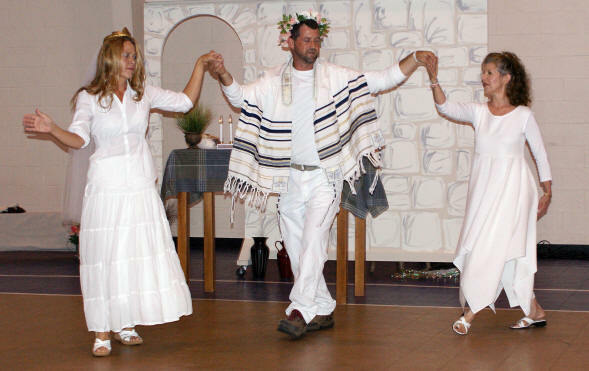 When one of Machol's very own dancers, Da'na Mathis, married Mark Motto in June of 2007, Curtis was asked to lead the dancing after the wedding. 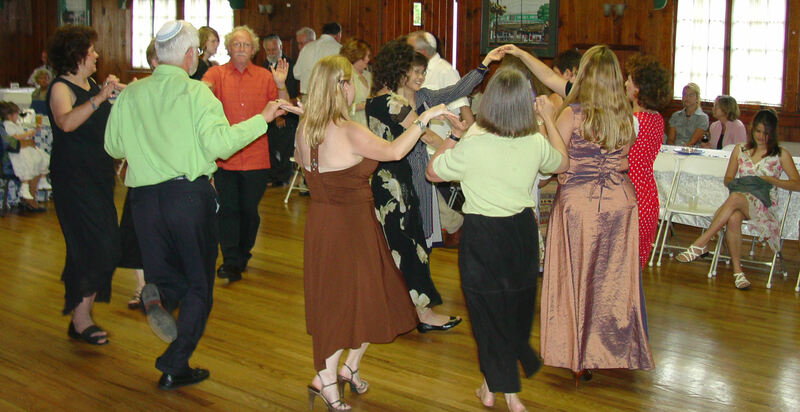 The wedding was at the Forest City Clubhouse in Forest City, NC. 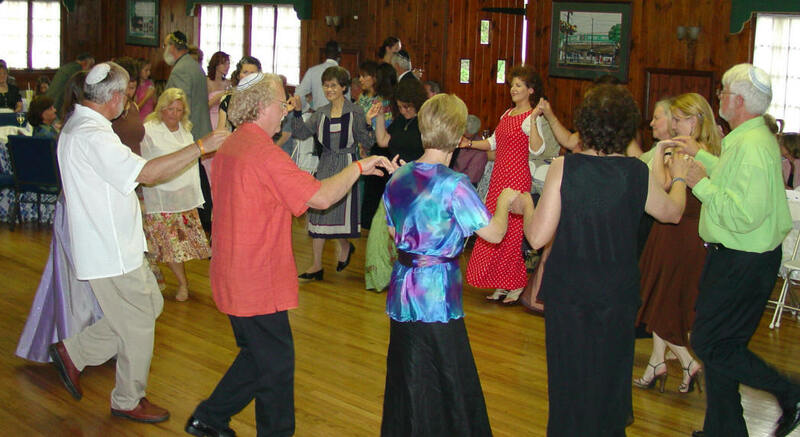 The wedding was outside but the reception and dancing was in the clubhouse. 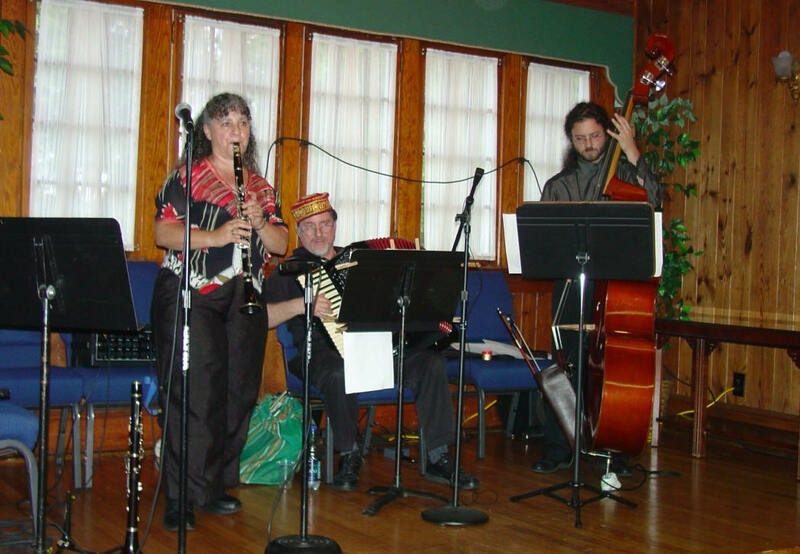 There was even a Klezmer Band for the festivities. 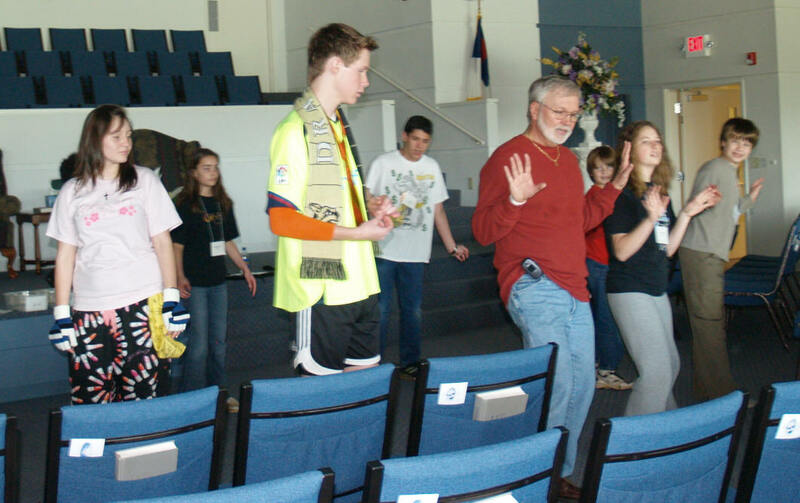 Curtis & Carolyn were asked to return to the Zion Center Worship Arts Conference sponsored by the dance ministry of Resurrection Lutheran Church in Charlotte. 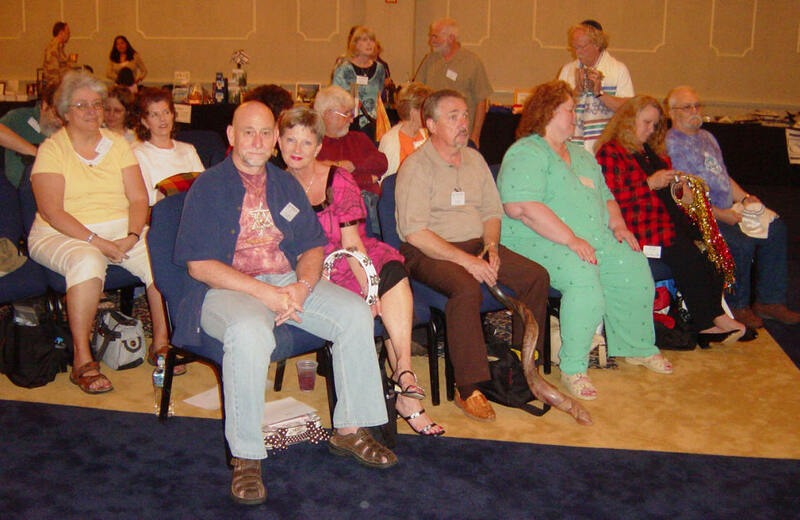 The conference was from July 23-27, 2007. 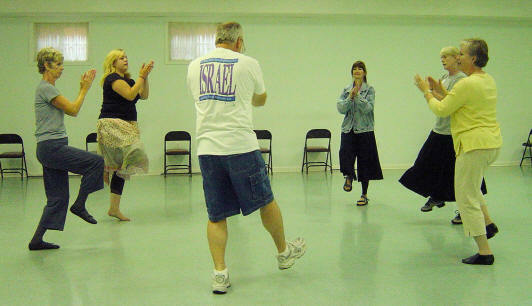 Curtis & Carolyn would be teaching Israeli Folk Dance. 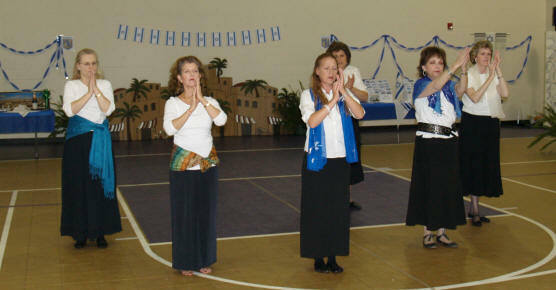 Israeli Folk Dance requires no previous dance background as long as you've got some rhythm anybody can do it. 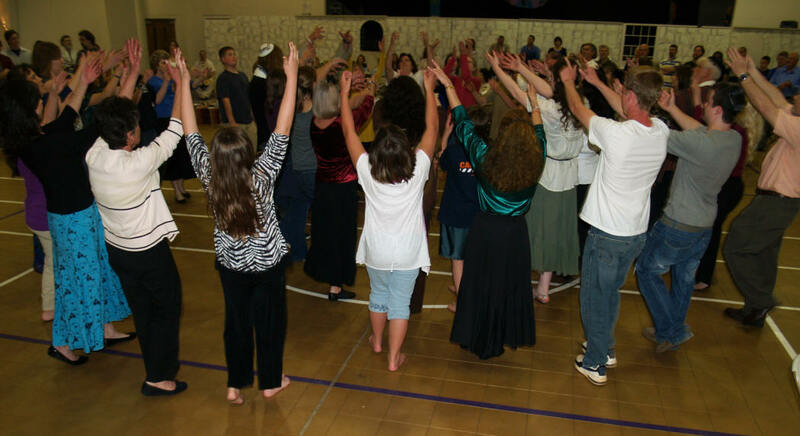 MONDAY - Teaching "Sulam Ya'achov"
WEDNESDAY - Teaching "Debka Mimouna"
FRIDAY - Friday's class was back over at the Methodist Church - Teaching the worship dance "Kadosh"
The LORD blessed us and the number of dancers continued to grow through 2007. 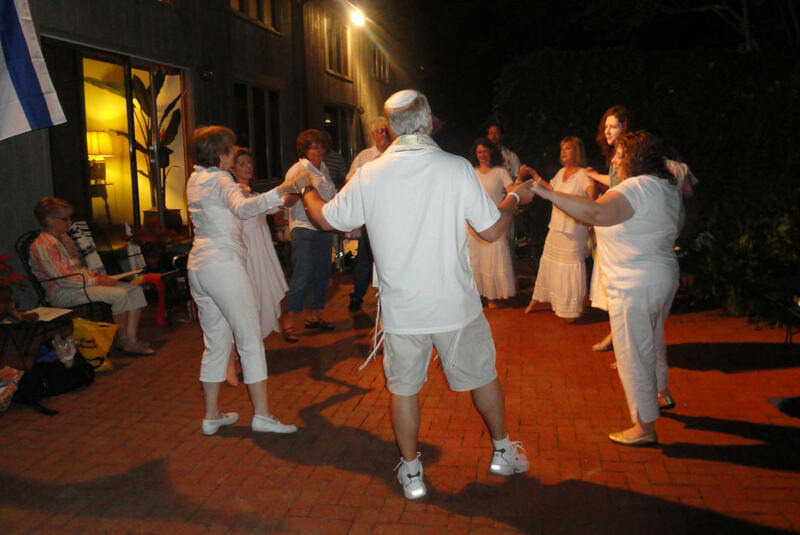 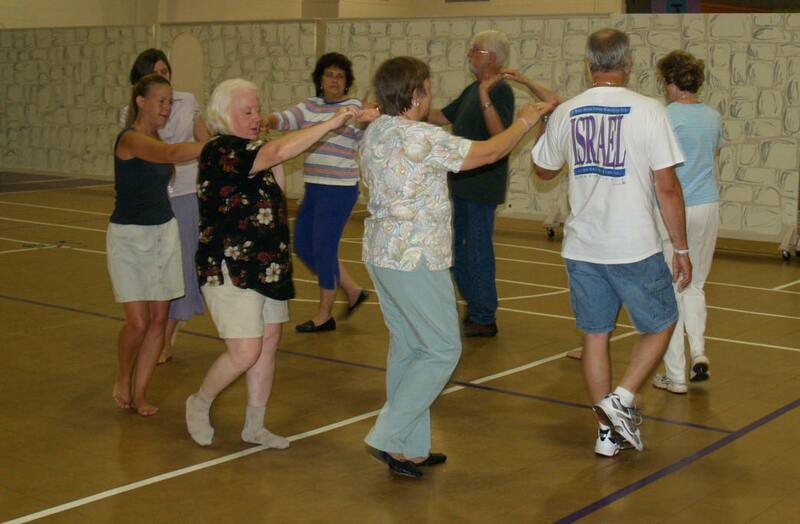 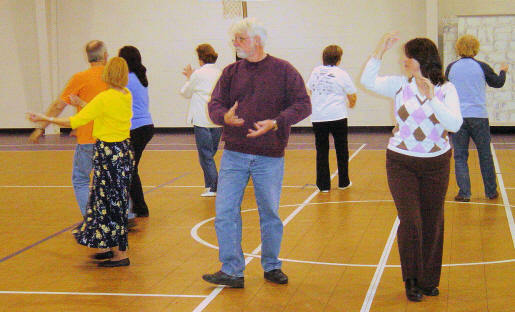 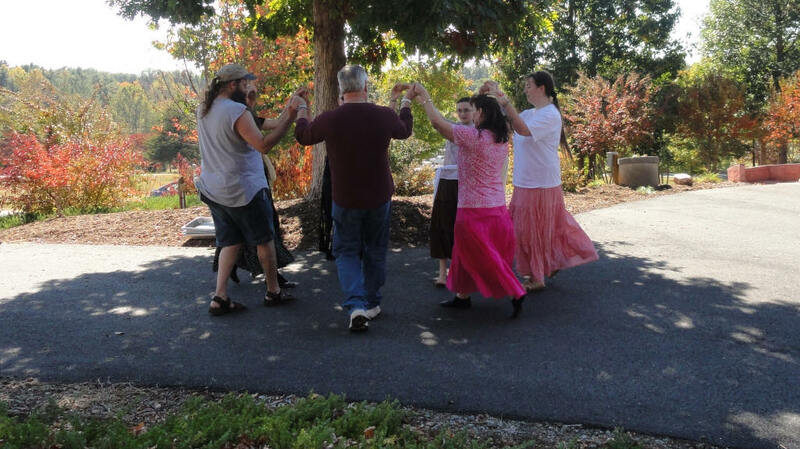 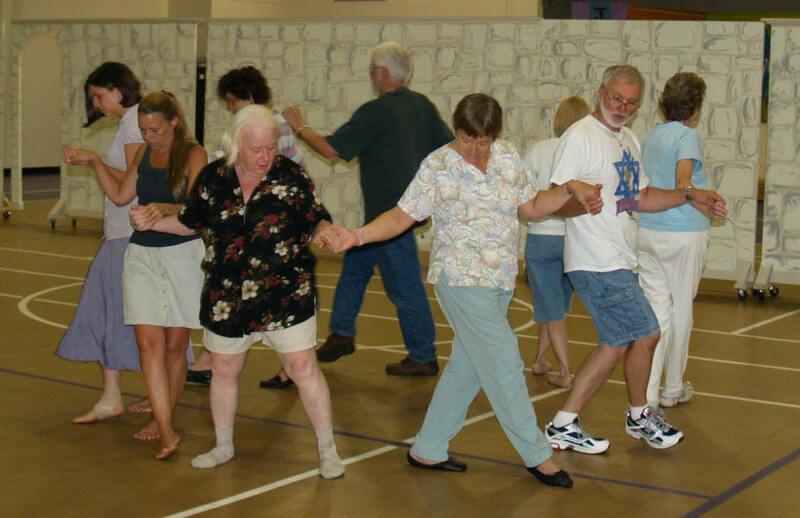 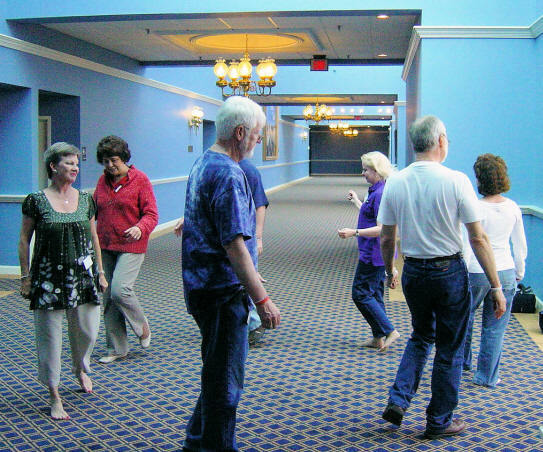 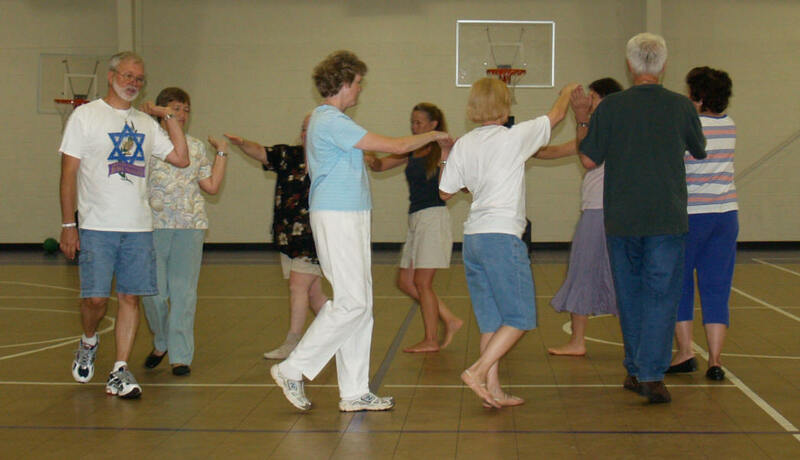 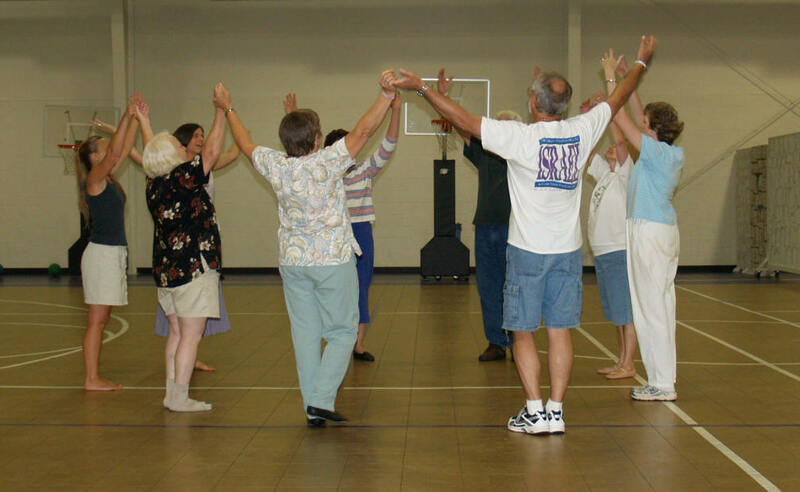 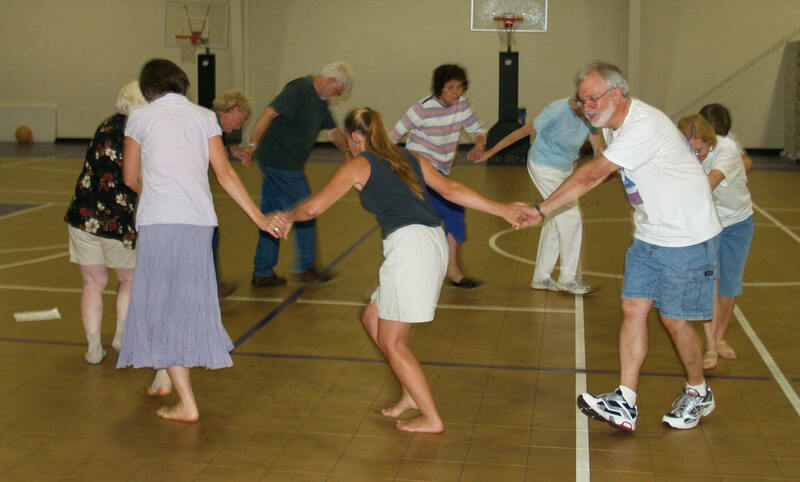 Curtis was contacted by a lady who was interested in bringing a group who wanted to take part in this August 21st Israeli Folk Dance class. 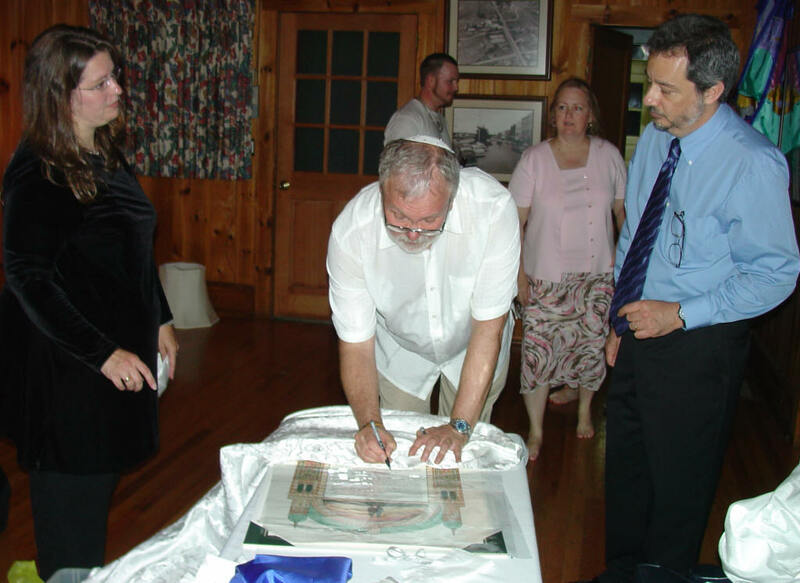 By 2008, we had lost Bruce, Becky & Kate Jones as their family relocated to another state. 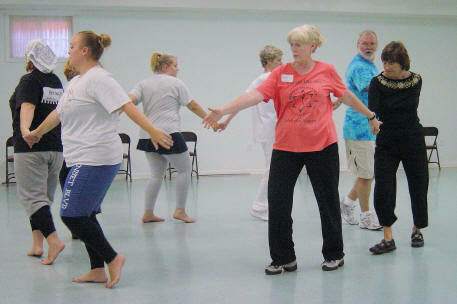 Celia Smith and Marcia Bachmeier had become regular participants in the class. 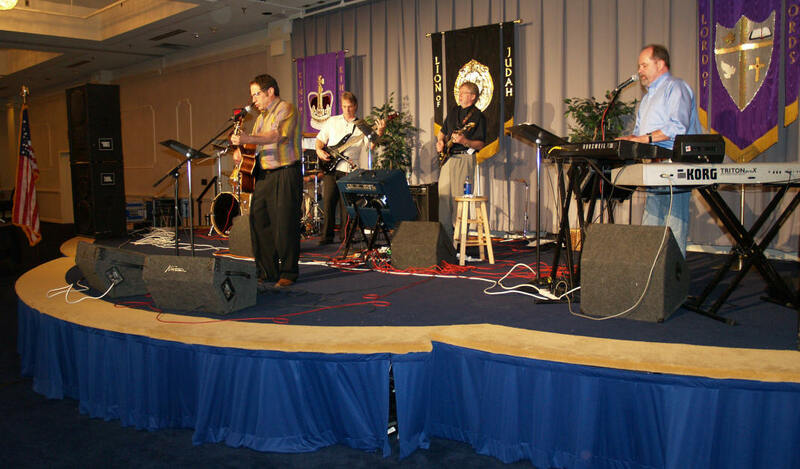 March 2008 - "Peace of Jerusalem"
The song "Peace of Jerusalem" by Kirk Dearman became a favorite with us from the time we first learned it. 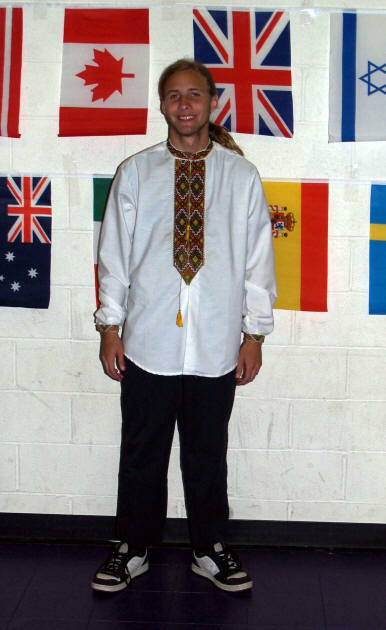 Myrl took the dance "Im Hu PalNu" and modified it slightly for the new song and it also became a favorite. 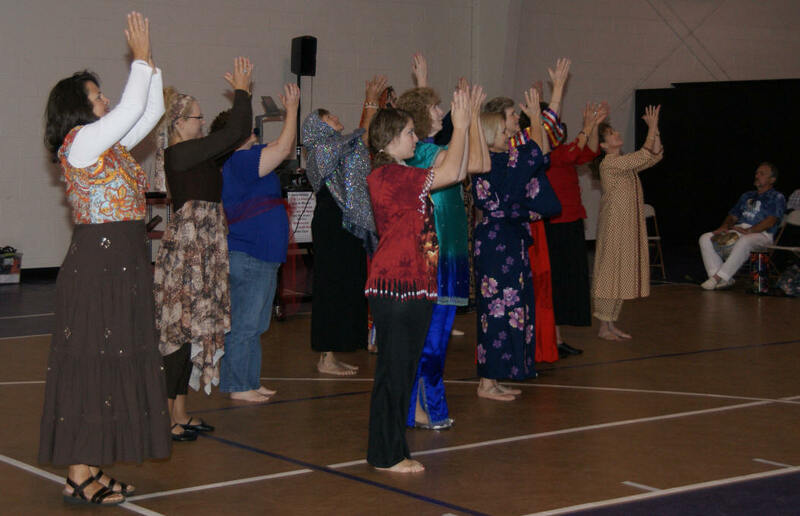 It had been several years since we had done any type of performance dance at Covenant but we felt impressed of the LORD to share this particular dance with the church during the Sunday morning offering. 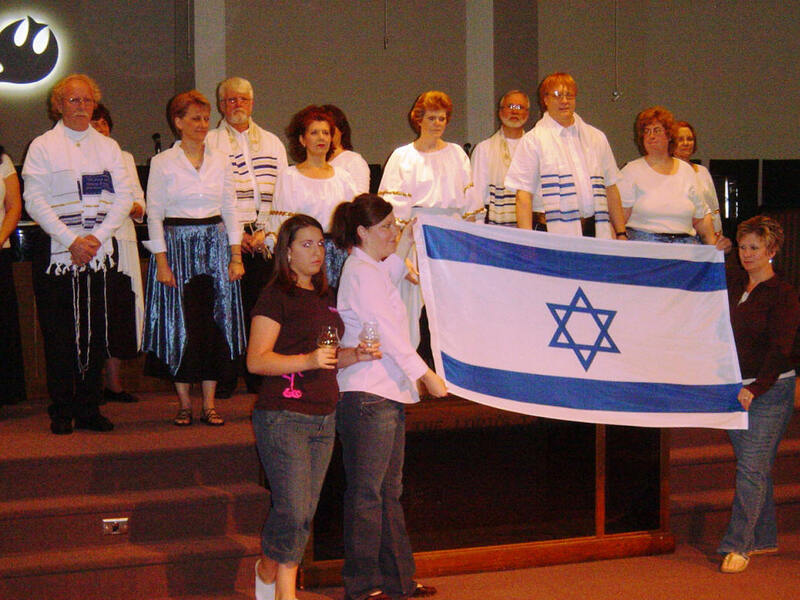 "Lord, We Pray for the Peace of Jerusalem; Lord, We Pray for the Peace of Her People; Lord, We Pray for the Peace of Jerusalem, Shalom Israel"
"As watchmen on your walls, O Jerusalem, We cry out night and day; Till your streets overflow with rejoicing,And your temples are filled with praise"
"As watchmen on your walls, O Jerusalem, We cry out night and day; Till your streets overflow with rejoicing, And your temples are filled with praise"
Barry & Batya Segal were back at Heritage USA the weekend of April 10th, 2008, for the annual Vision For Israel Conference (Friday night and all day on Saturday). 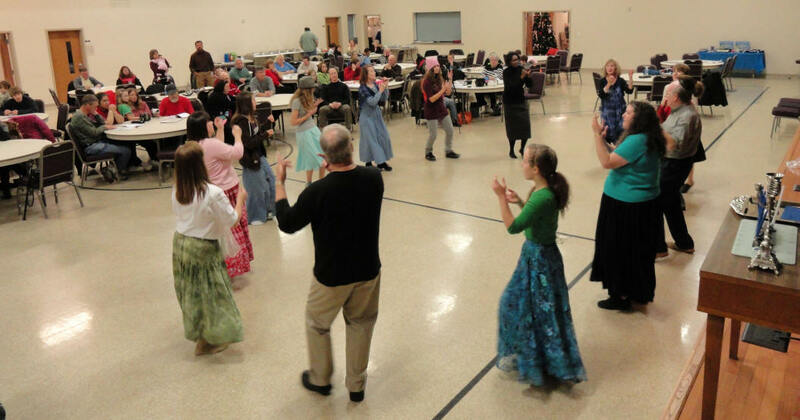 Even though there was a cost to attend the yearly conference to help pay for the facility, the praise, worship, dance, teaching, fellowship and other activities made it an annual event we didn't want to miss. 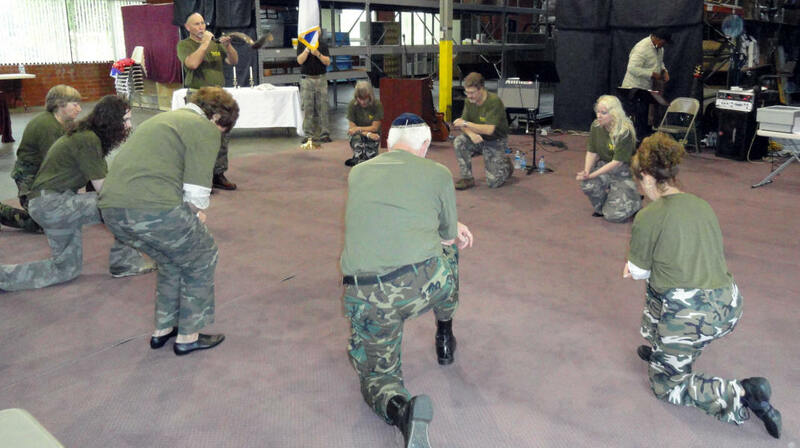 Most of us that attended stayed on site - even eating our meals in the facility. 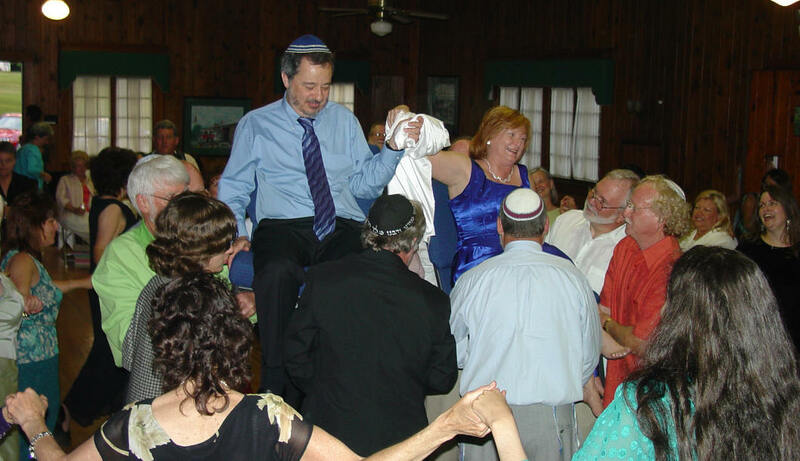 Beit Yeshua had their first Pesach Seder in Curtis & Carolyn's home in the Spring of 2000. 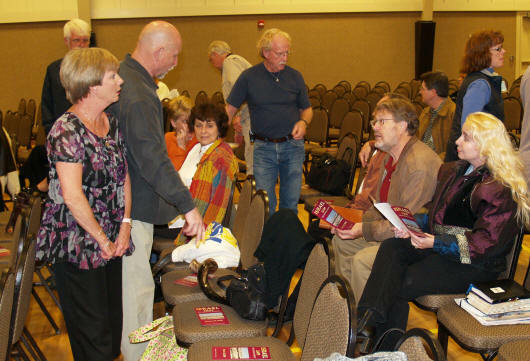 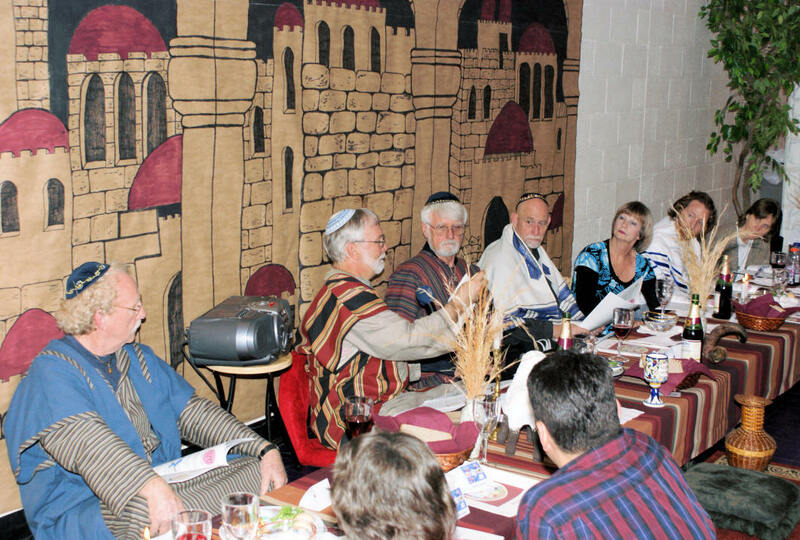 Each year thereafter, the group hosted an annual Seder. 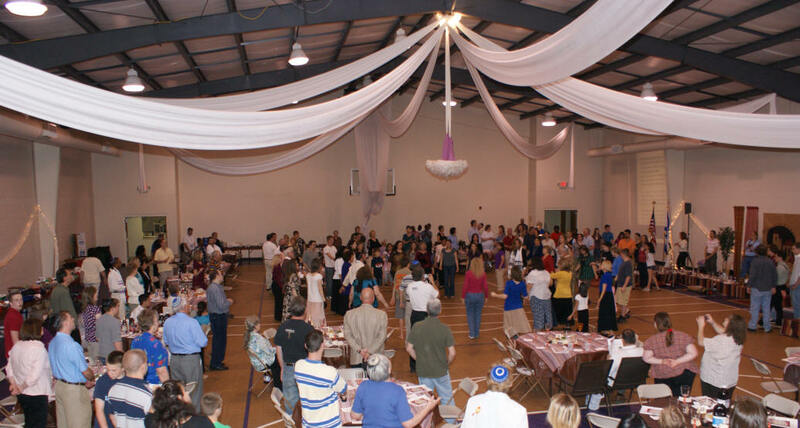 2008 was the 2nd year to use the Family Life Center at Covenant Bible Church for the group of 120. 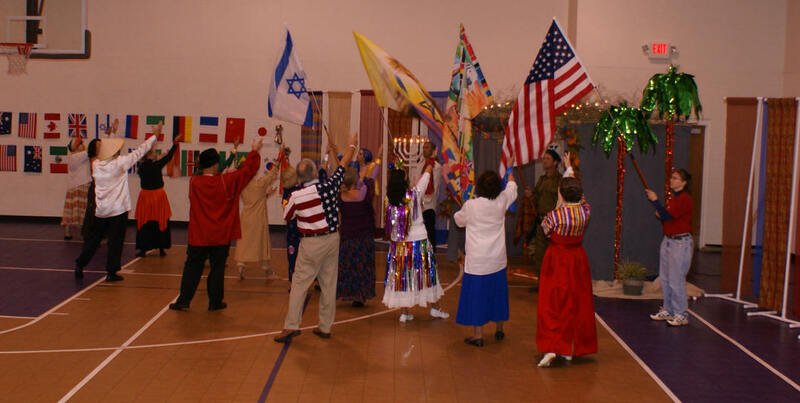 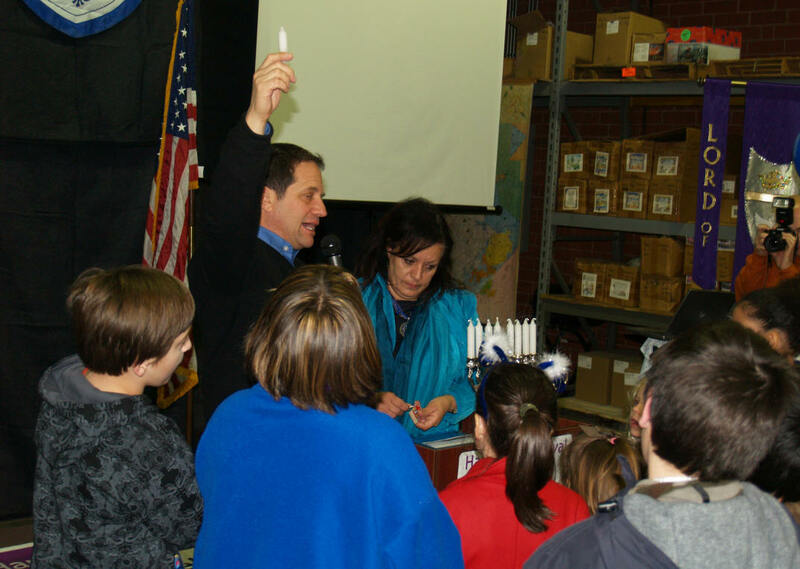 On 09 May 2008, Beit Yeshua has its first annual Evening Honoring Israel in honor in Israel's 60th Birthday at the home of Doug & Lynda Williams. 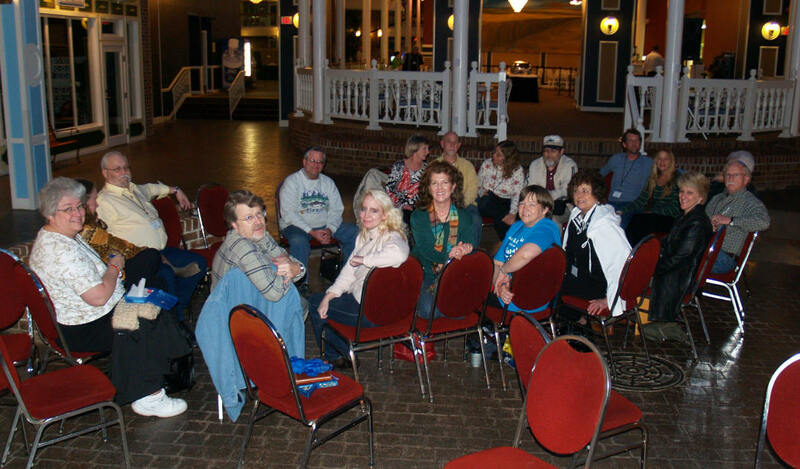 The beautiful late Spring weather allowed us to have the meeting out on Doug & Lynda's patio. 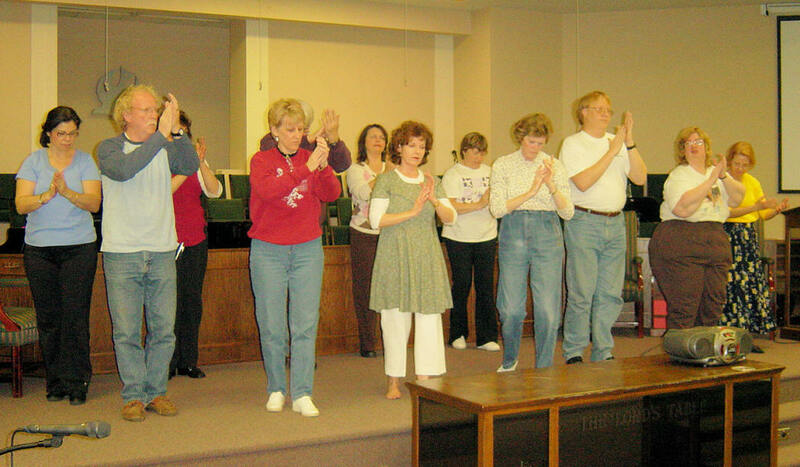 Chuck & Janice Anthony, Rita Richards, Nancy Shults and Laura Cromer had joined us for dance by May of 2008. 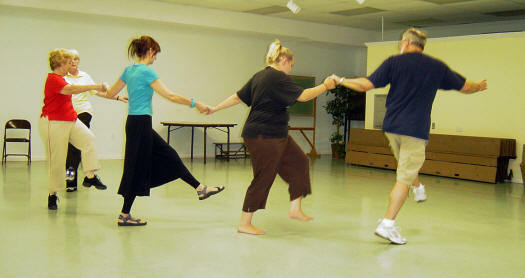 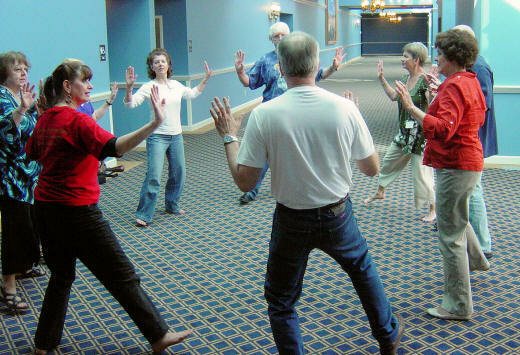 By this time we no longer taught Beginner Classes. 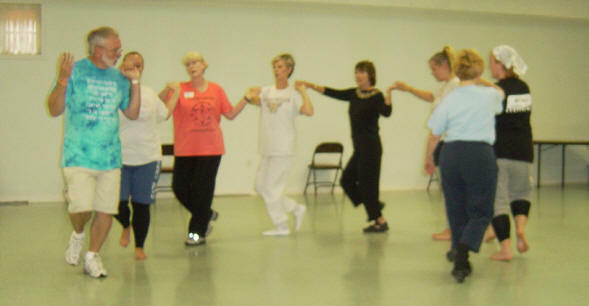 We taught the basic steps at the beginning of the evening for new dancers and started almost everyone at an Intermediate Level. 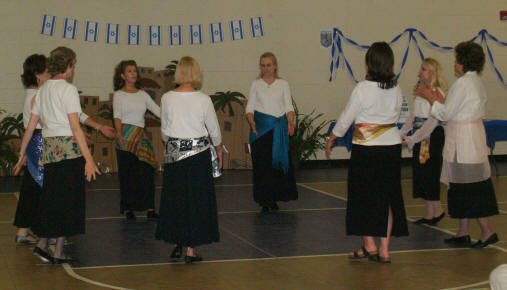 We usually started with the easier dances and then progressed to the harder ones as the evening progressed. 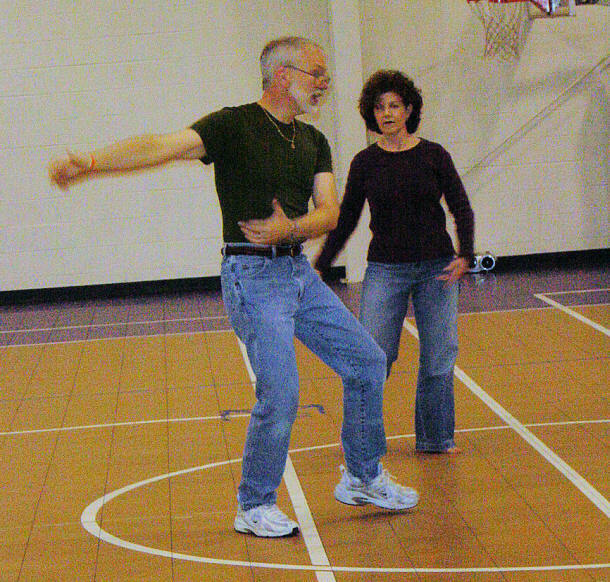 That way the beginner dancers could drop out if it got too hard but we still had a few harder dances to challenge the advanced dancers. 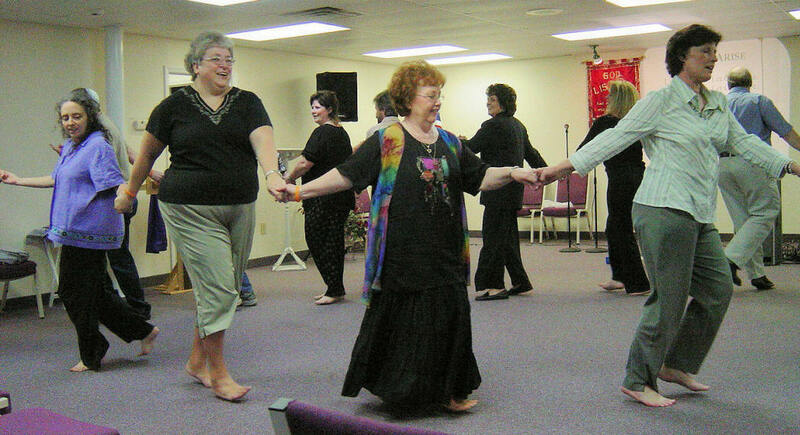 "Left Mayim 2 3 4 - Then lean over and Run 2 3 4"
"4 Right Slides, then Into the Center 2 3 4, out 2 3 4"
"Right foot stomp, walking into the center R L R L, Right foot stomp"
By July 2008 Jeanne Elledge had become a regular part of the Machol Dancers. 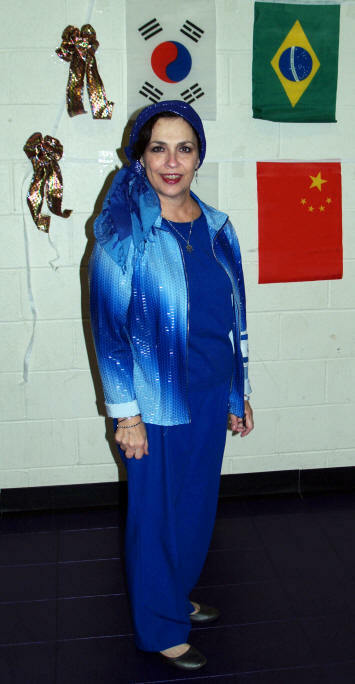 She even brought her friend Victoria with her on several occasions. 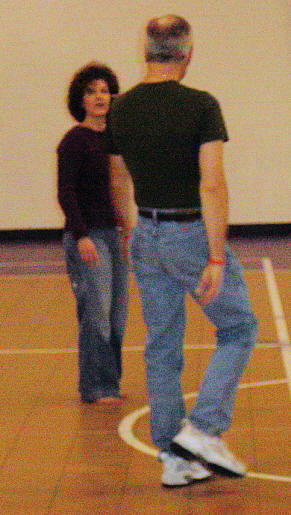 It was also good to have Madelyn Lopez back with us for a season. 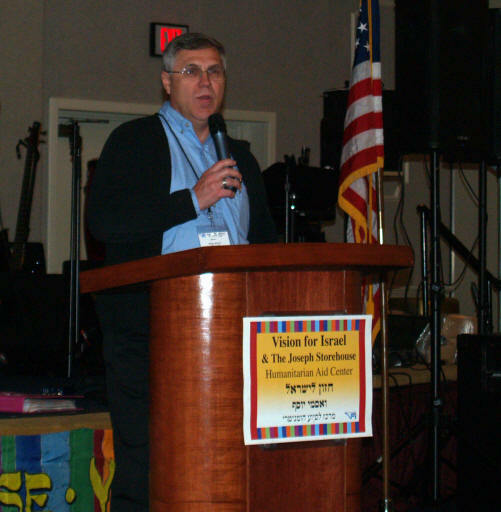 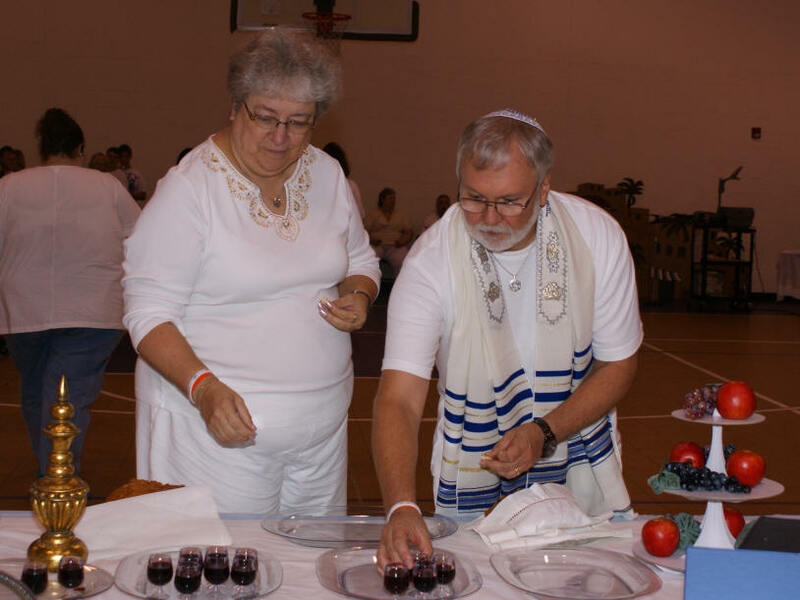 On Friday, 22 September 2008, Beit Yeshua hosted its first Yom Teruah/Rosh Hashanah (Feast of Trumpets) Celebration in the Family Life Center at Covenant Bible Church. 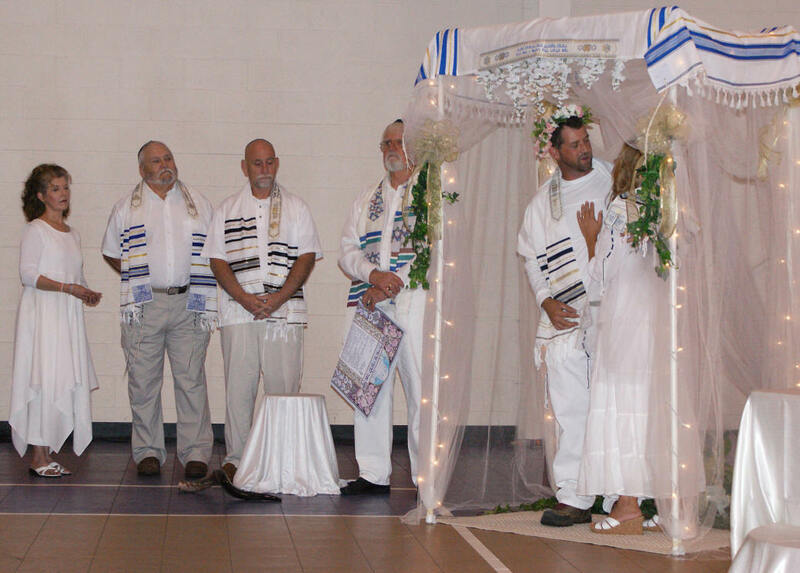 Themes of Yom Teruah include the catching away of Believes and the wedding of Messiah Yeshua and His Bride. 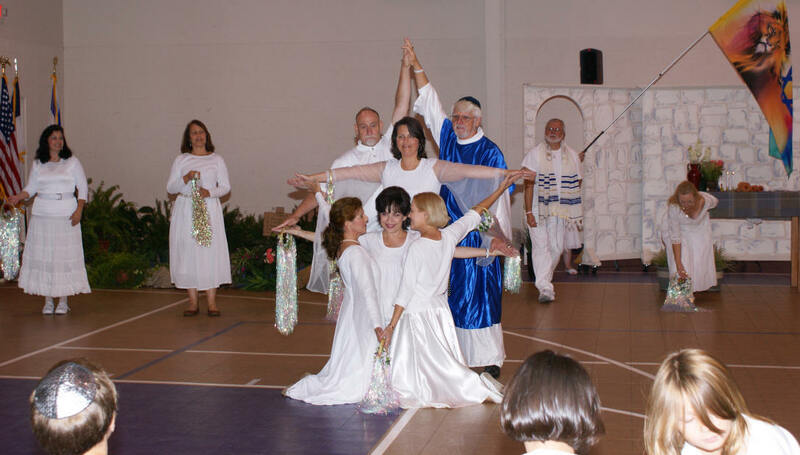 We asked everyone to wear white - symbolic of their wedding garments. 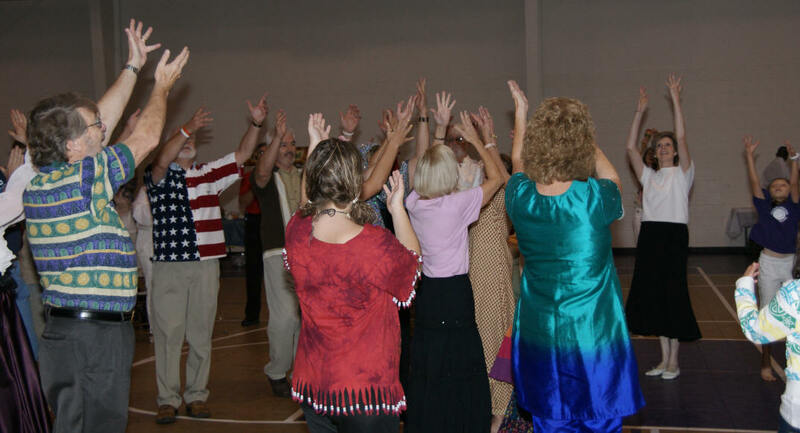 Paul Wilbur was in concert on 08 November 2008 at Ridgecrest and since he is one of our favorite Messianic performers, many of the dancers from Machol were there to worship the LORD, enjoy the concert, and to dance. 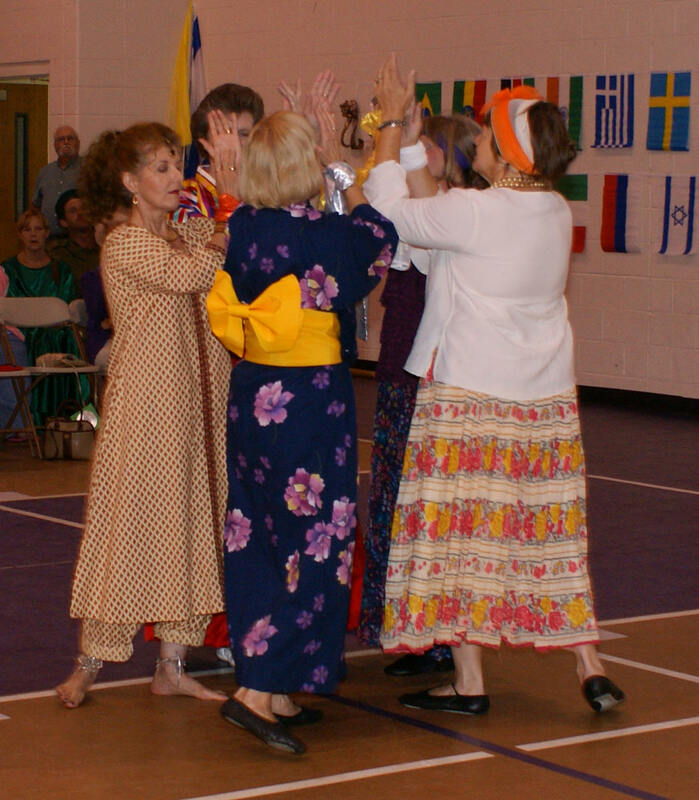 Others join us as we do the simple Israel Folk Dance "Mikamocha"
Dancing the Israeli Folk Dance "Ani Ma Amin"
On Friday, April 10, 2009, Beit Yeshua hosted their annul Pesach Seder at Covenant Bible Church in Lincolnton. 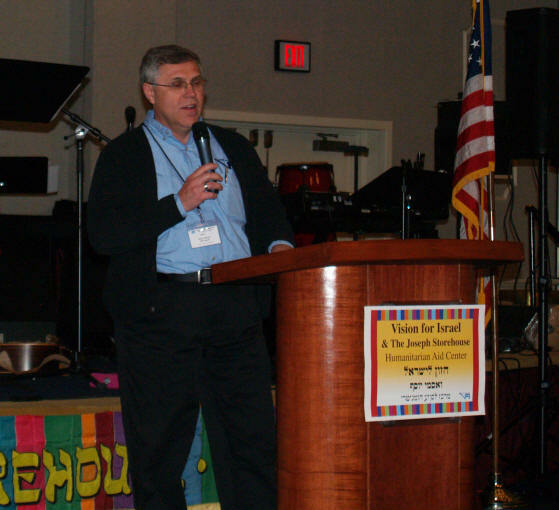 Pesach provides a wonderful opportunity to teach the church about the Hebrew-Roots of Christianity and the church's debt to Israel. 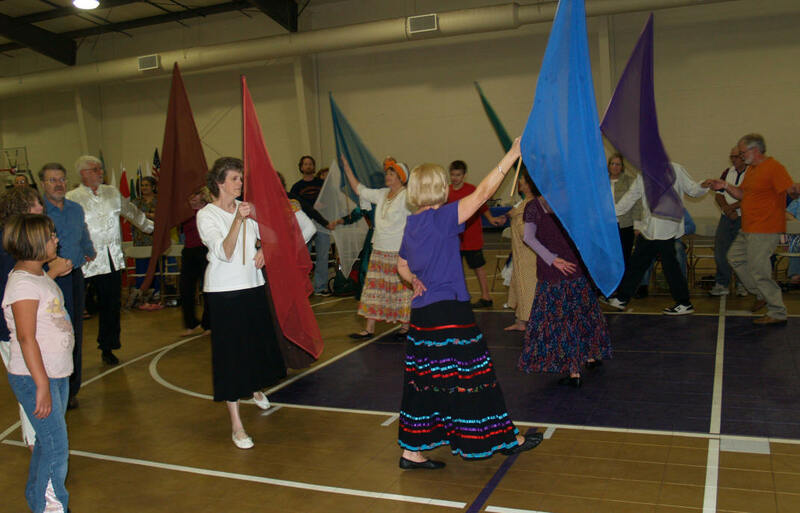 It's also a wonderful time to encourage beginner dancers to get up and join the Machol Dancers during our time of praise and worship. 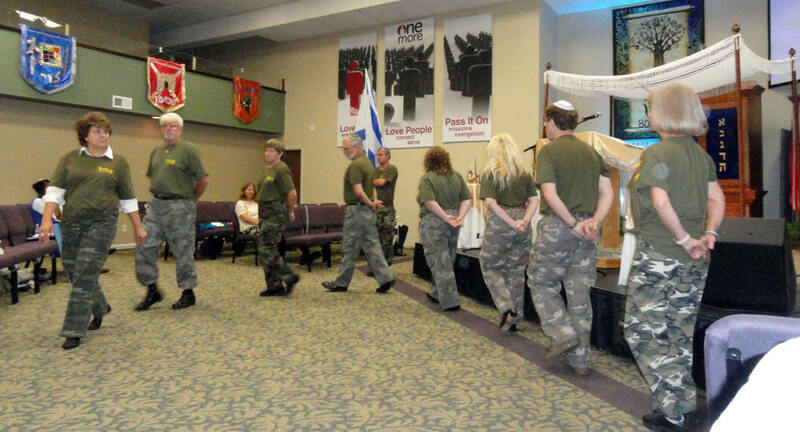 Several of the families with Beit Yeshua homeschool their children. 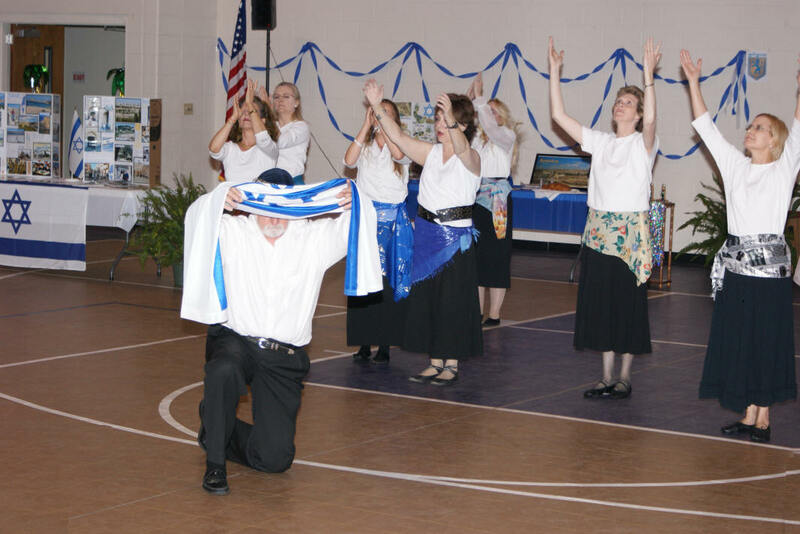 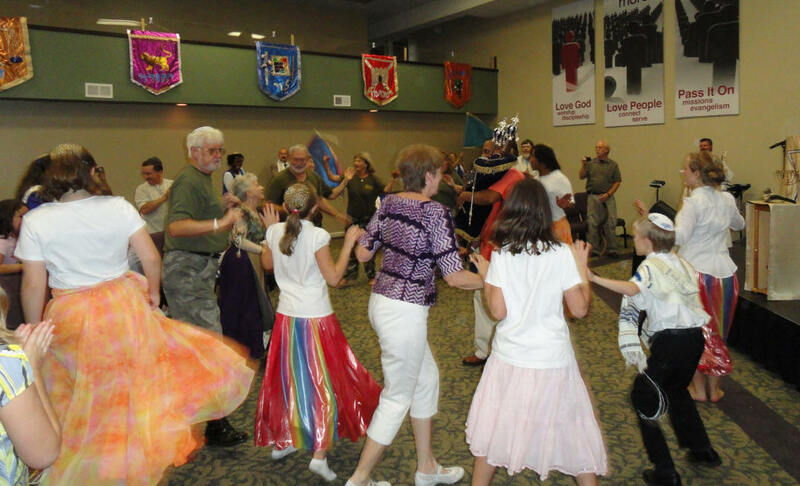 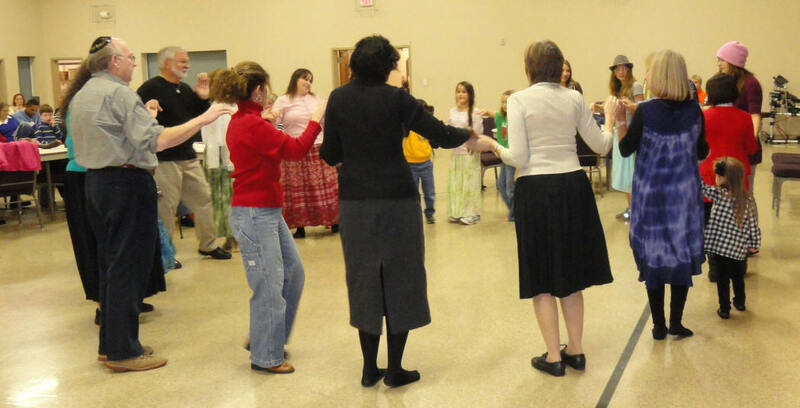 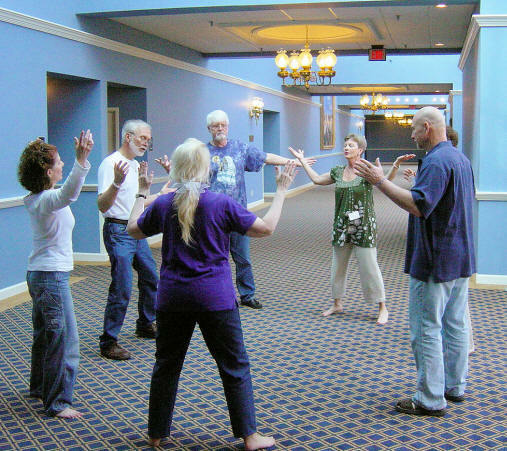 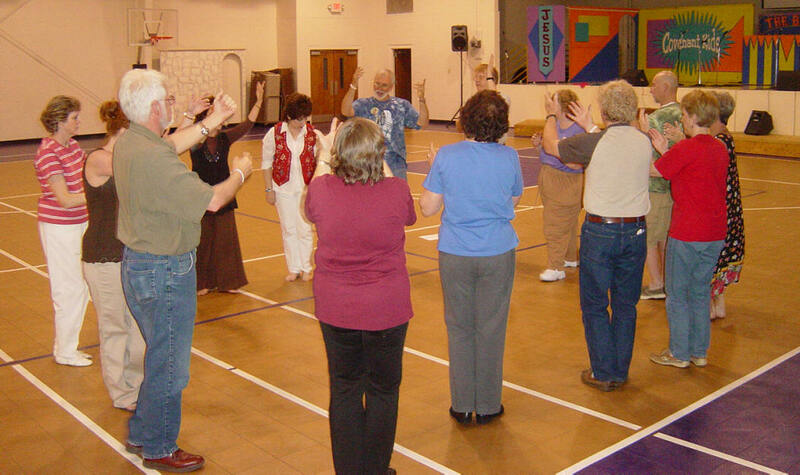 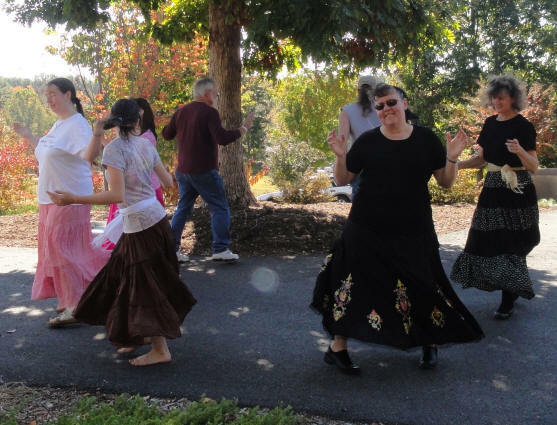 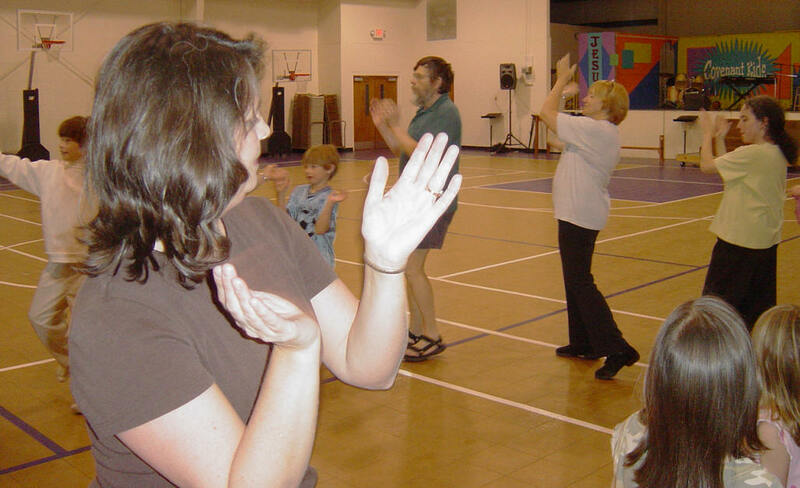 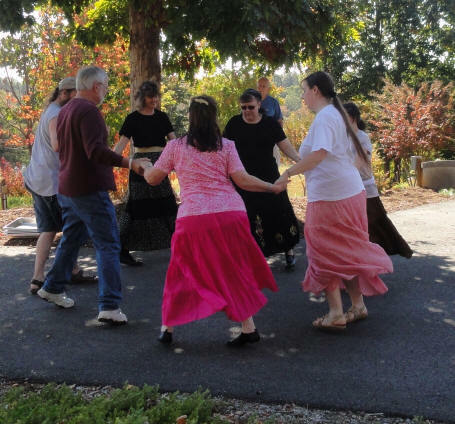 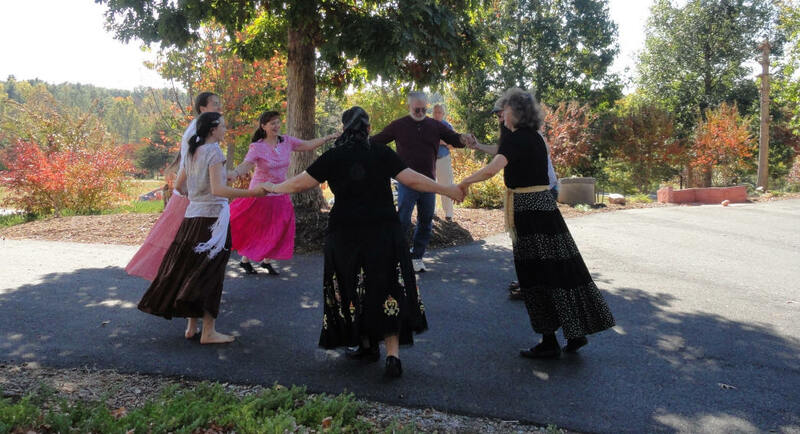 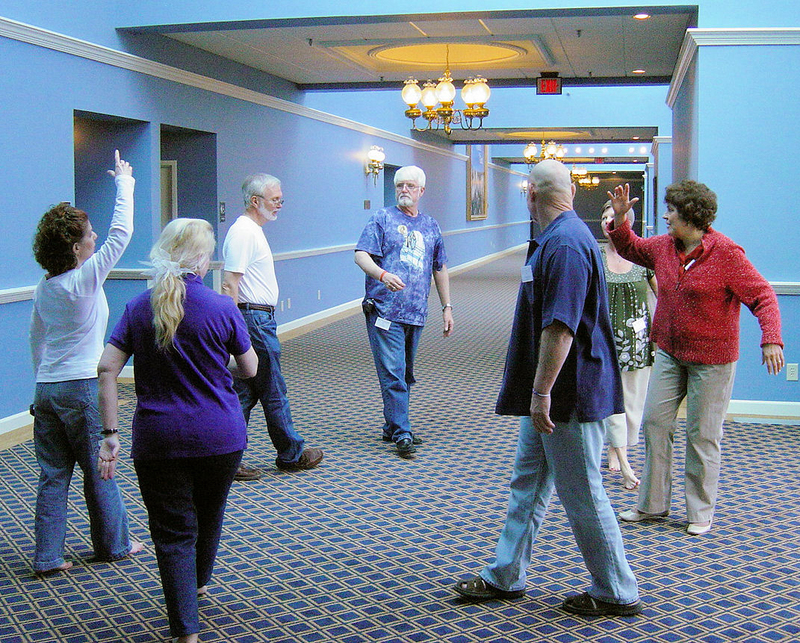 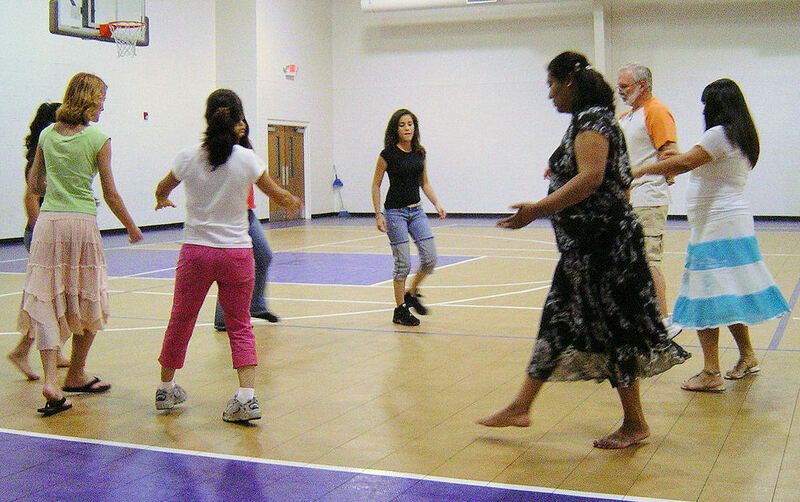 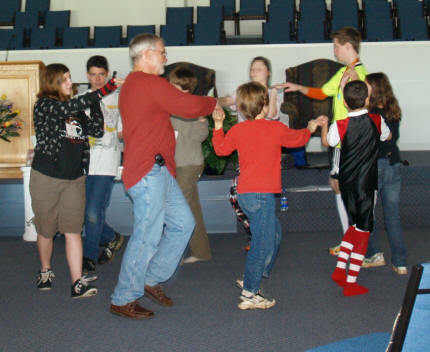 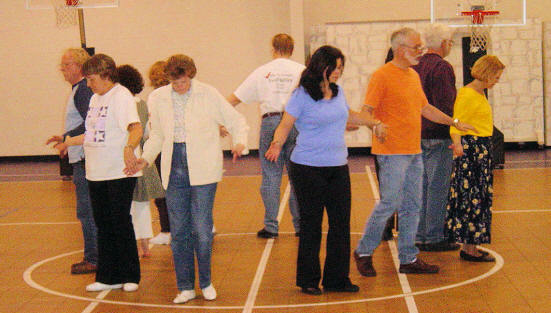 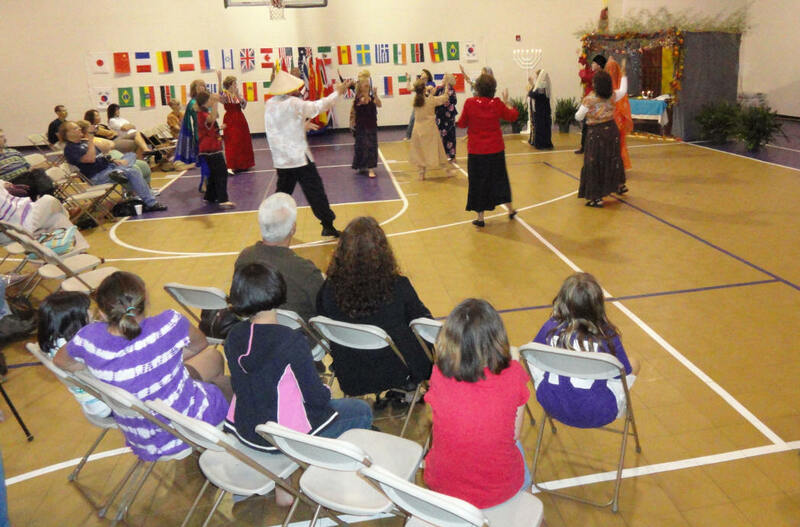 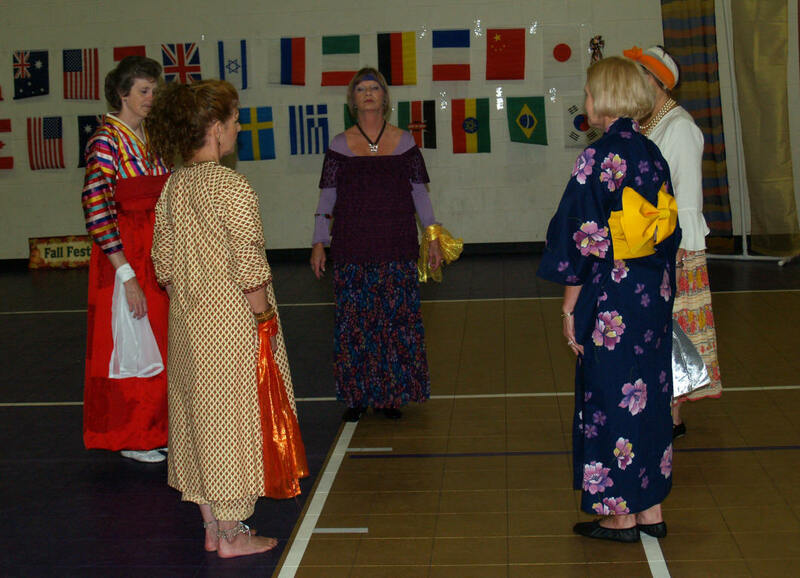 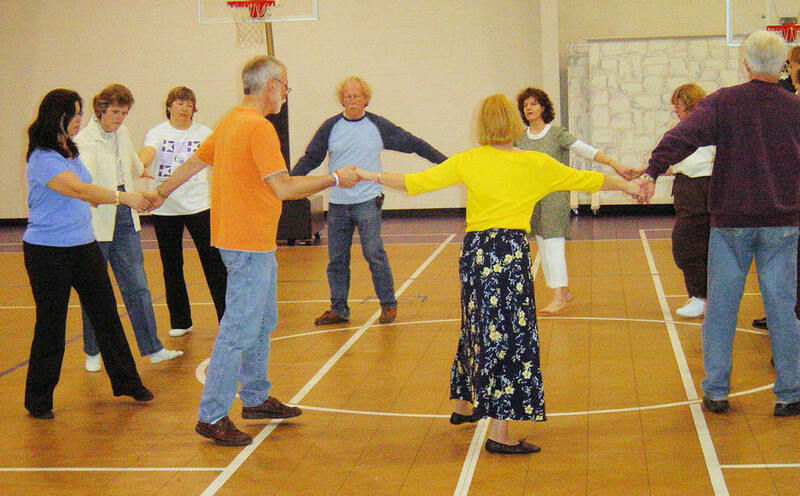 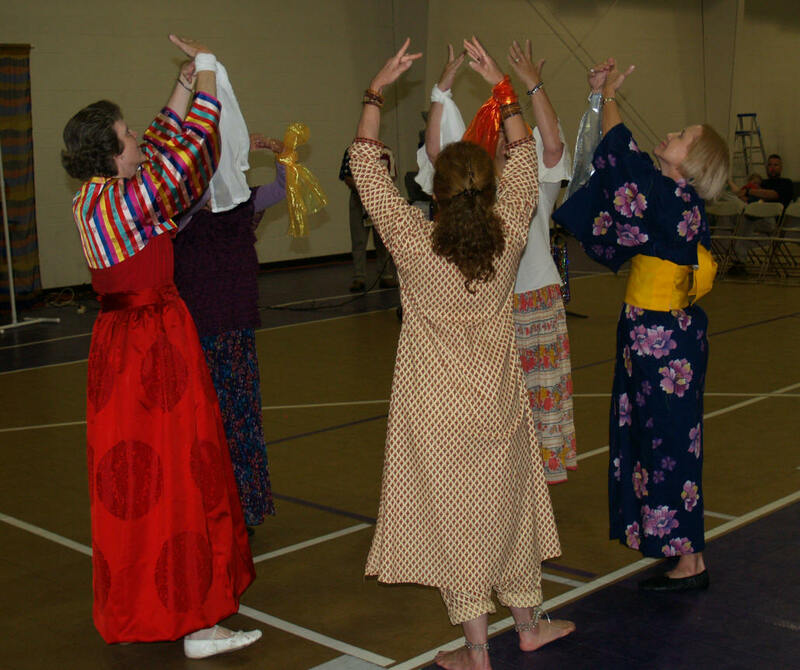 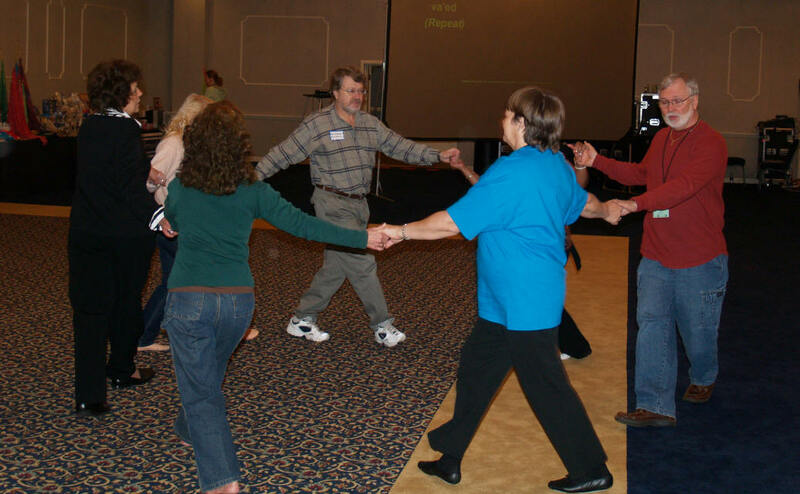 Jane Melnyk invited Curtis to come to Gateway Baptist Church in Hickory, NC, to teach Israeli Folk Dance to a group of homeschool students who came together one day a week for extra activities. 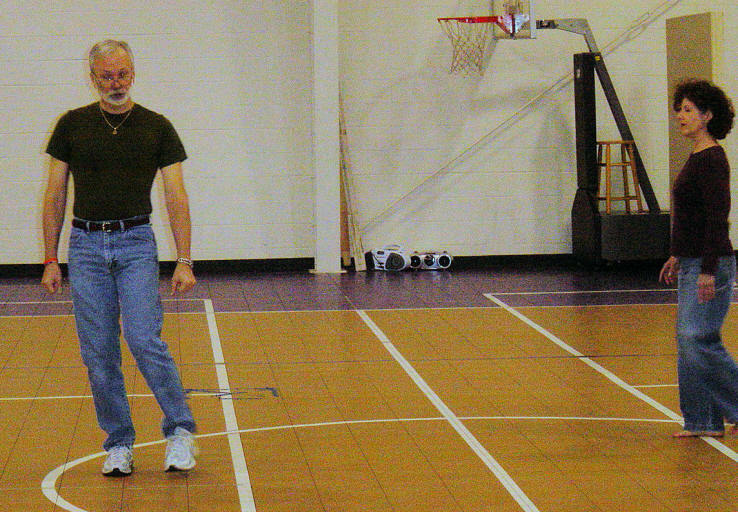 Curtis was glad to do it. 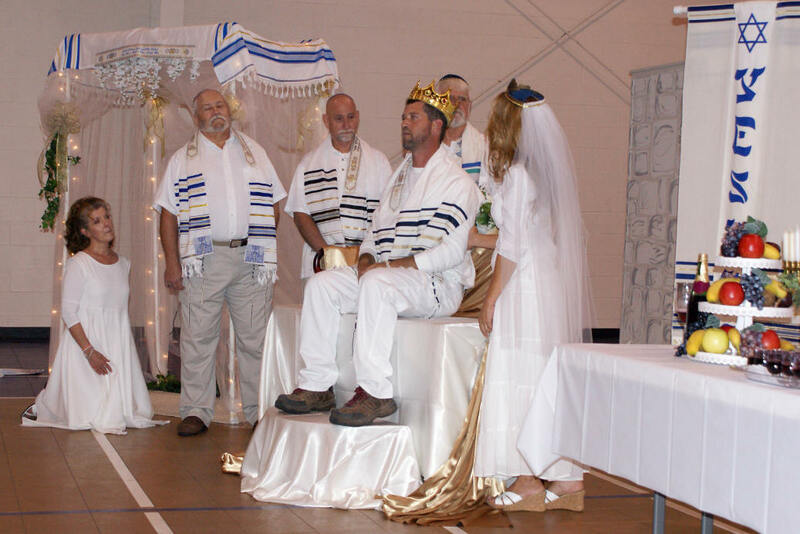 On September 18, 2009, Beit Yeshua met in the Family Life Center of Covenant Bible Church to celebrate Yom Teruah (the Feast of Trumpets) - which many call Rosh Hashanah (Head of the Year). 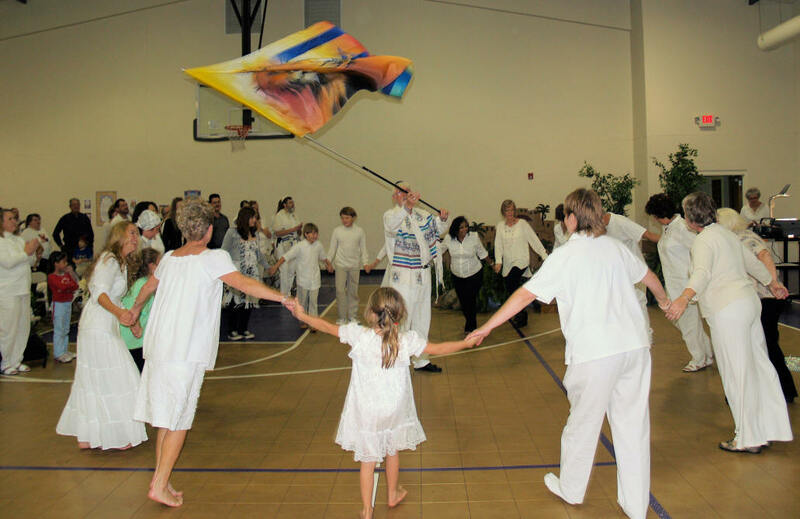 The Machol Dancer prepared a dance performance for the evening, with all the dancers (and much of the congregation) dressed in white, as everyone celebrated, rehearsed and anticipated the upcoming marriage of Yeshua and His Bride. 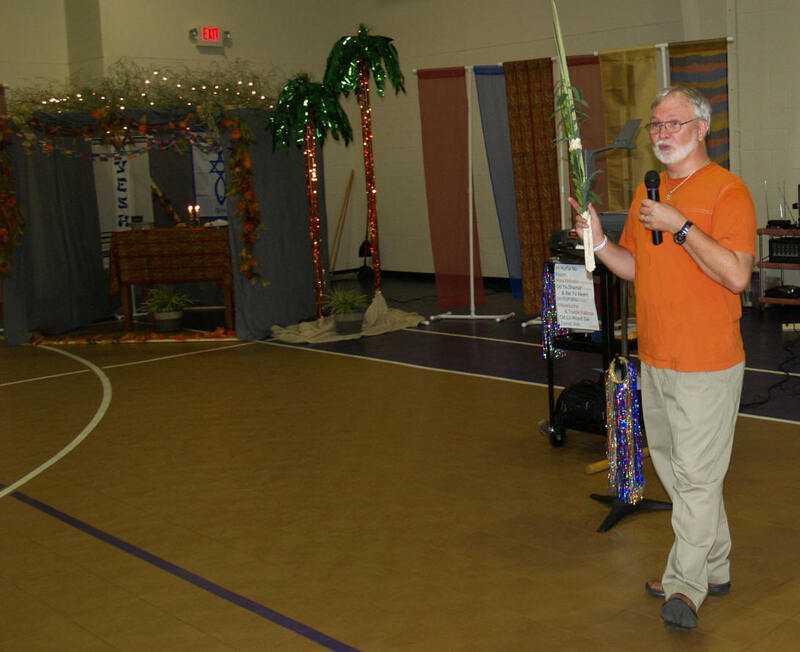 On Friday, October 2, 2009, Beit Yeshua celebrated the Feast of Sukkot (Feast of Tabernacles) in the Family Life Center of Covenant Bible Church in Lincolnton. 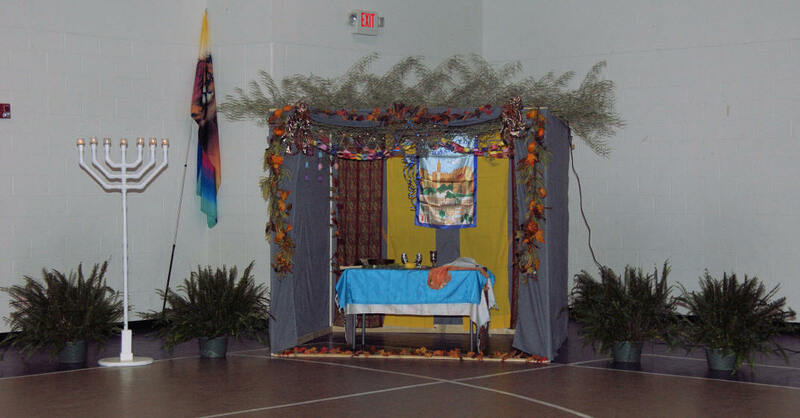 One of the themes of Sukkot is that all nations will go up to Jerusalem from year to year during Sukkot to worship the LORD during the Millennial Reign of Messiah Yeshua. 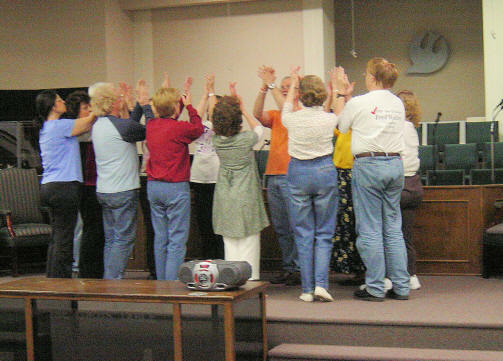 "Going up, Going up to the Mountain, Going up to the House of the Lord"
"In the Latter Days on the Mountain of Zion, all nations will flow to the House of the Lord"
"All nations will bow down to the God of Jacob, then His glory will appear"
"Going up, Going up to the House of the Lord"
"He’ll wash away the filth from the daughters of Zion, And purge all the blood of Jerusalem"
"He will make a covering, A tabernacle of the Lord, By night a shining, flaming fire, A pillar of smoke and a cloud by day. " 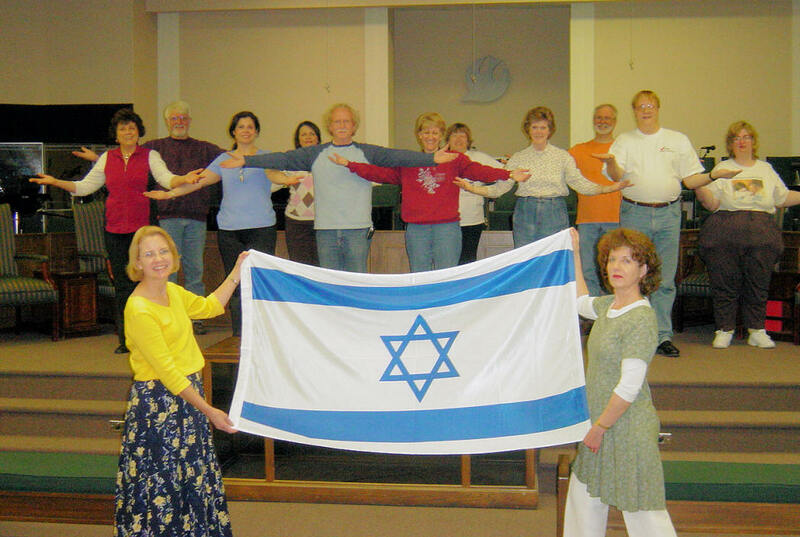 "Lord we pray for the peace of Jerusalem, Lord we pray for the peace of her people"
"Lord we pray for the peace of Jerusalem, Shalom Yisrael"
"Jerusalem, holy City of Gold, We pray for you night and day; That you may be known as a city of peace, A place where God’s glory dwells"
Till your streets overflow with rejoicing, And your temples are filled with praise"
Steve Martin, U.S. Director of Vision For Israel & The Joseph Storehouse, invited Beit Yeshua and Highway To Zion to help plan a joint Hanukkah Celebration for December 09, 2009, at the Vision For Israel Warehouse & Gift Shop in Pineville, NC. 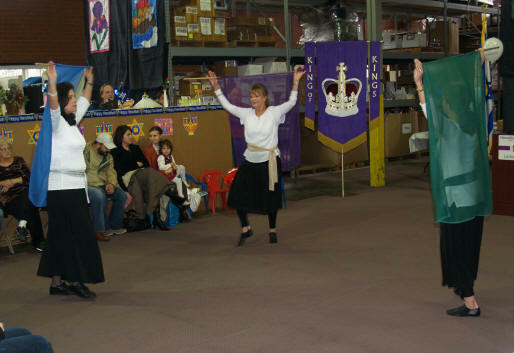 As the year 2010 began, we started with a number of new dancers, which meant we were needing to teach basic steps and simple dances. 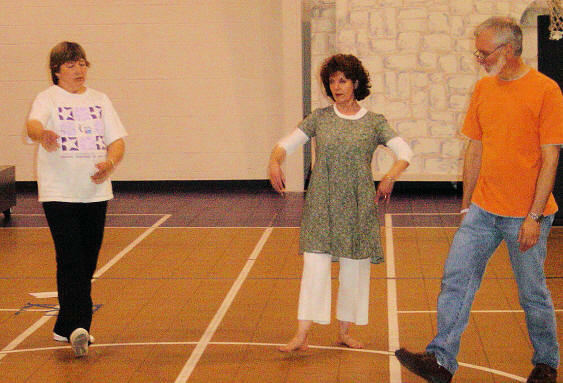 2010 saw not only Jeanne Elledge dancing with us, but also her husband Jeremy. 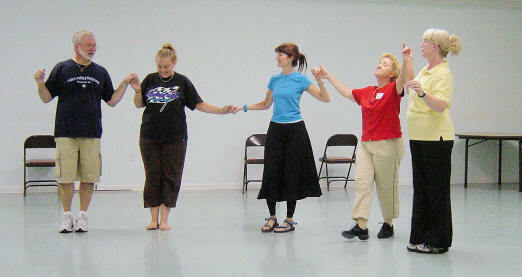 Doug & Iline Morrison, her parents (Jim & Bonnie Ogden) and her nieces (Crystal & Katie King). 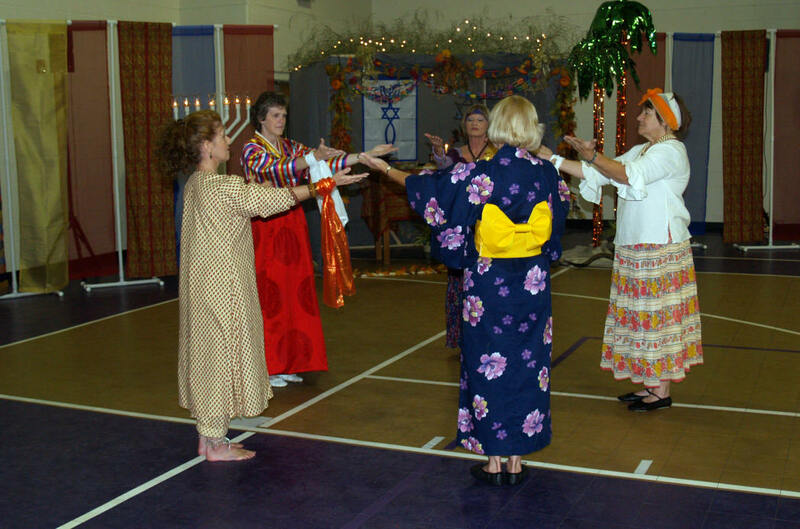 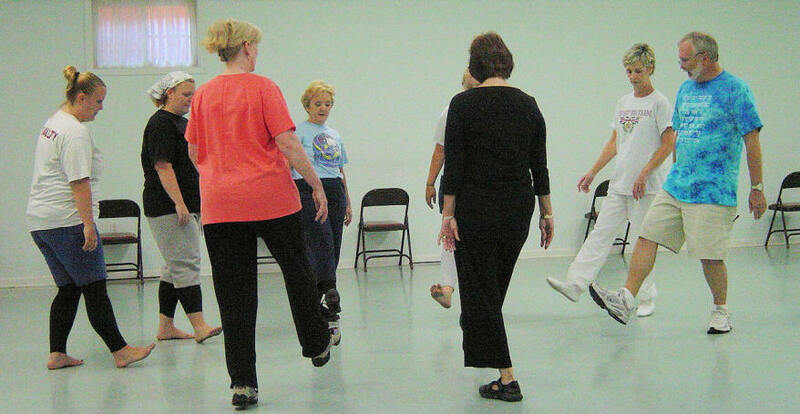 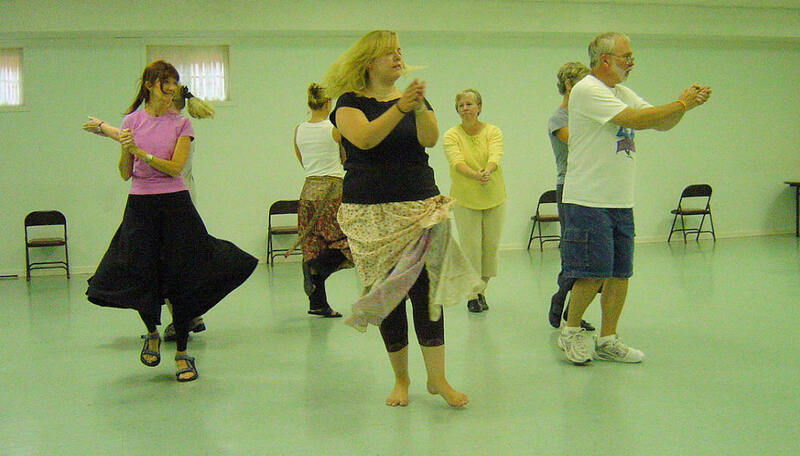 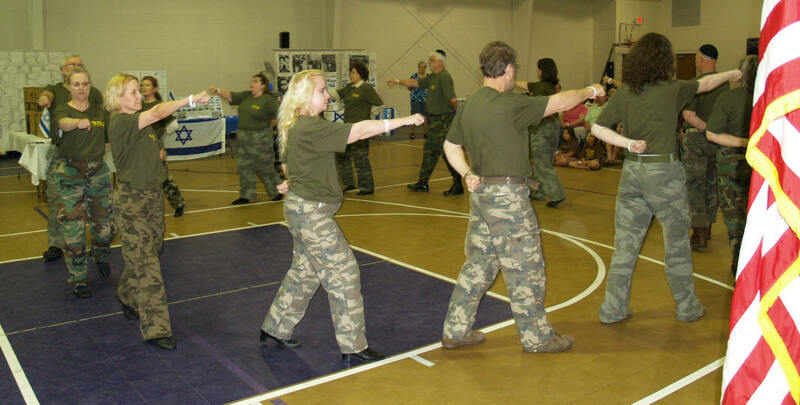 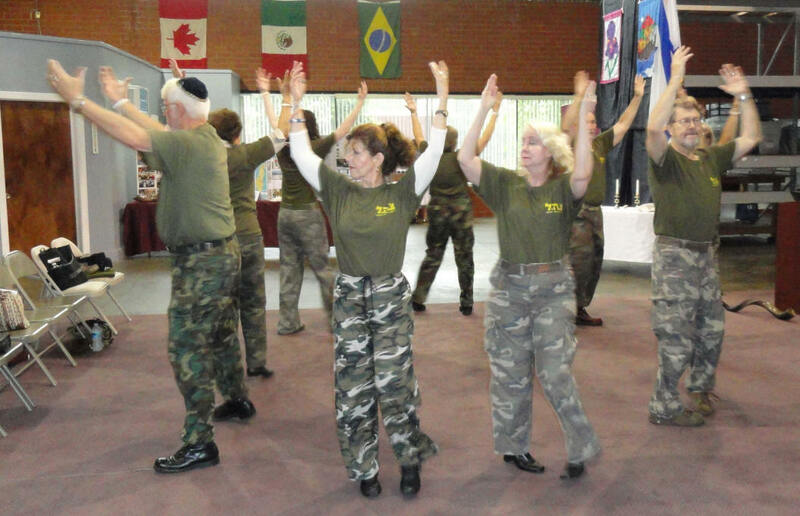 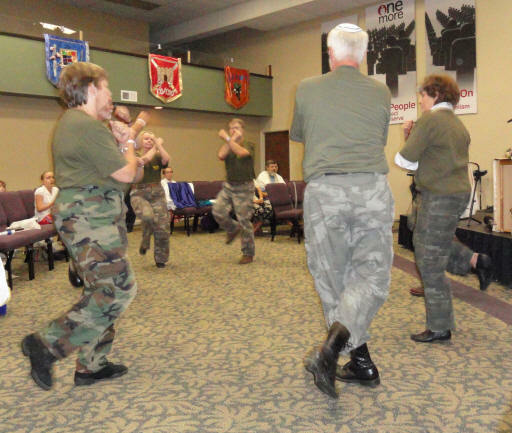 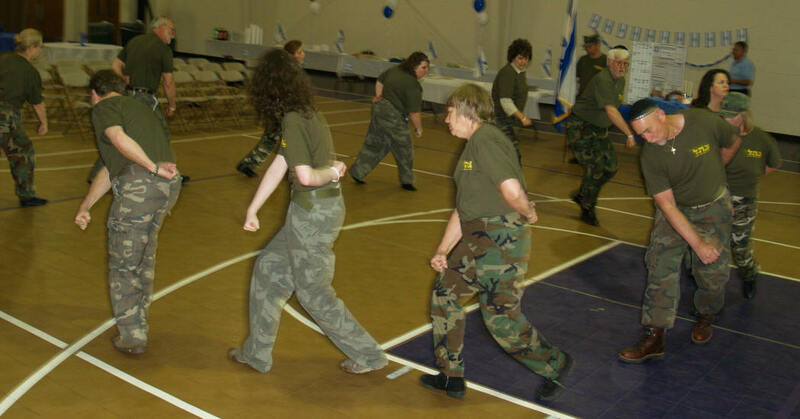 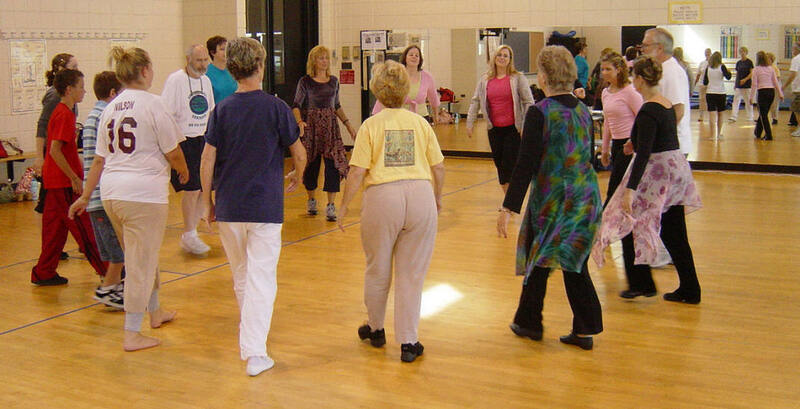 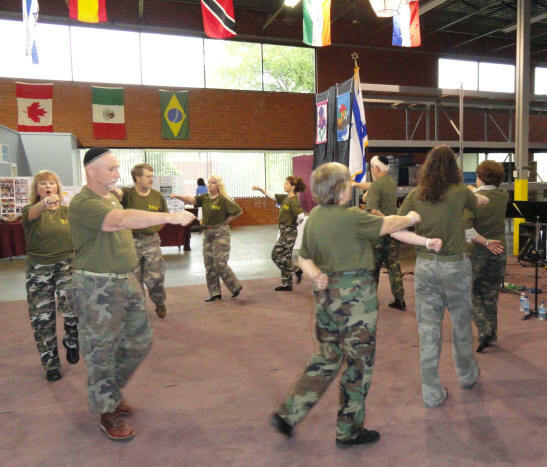 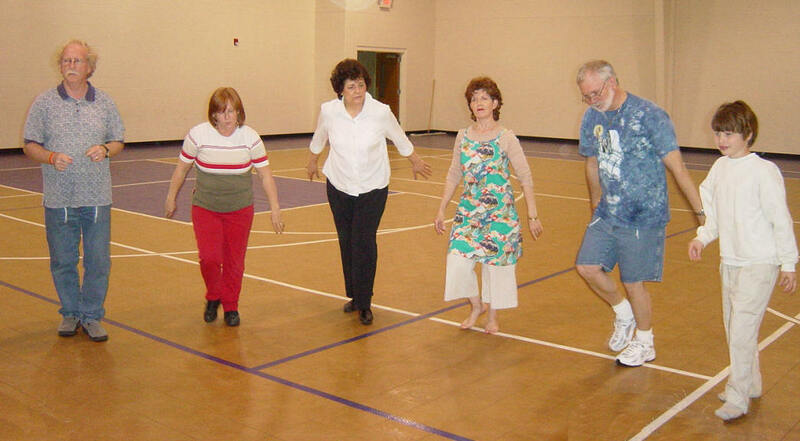 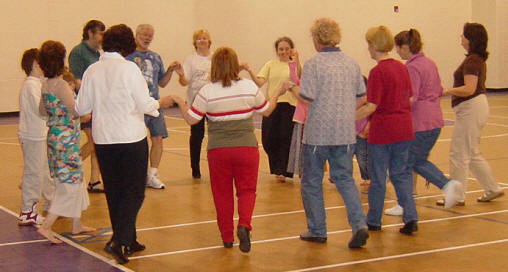 Bob & Sheryl Rushlow and Rita Richards also became part of Machol Israeli Folk Dance Class. 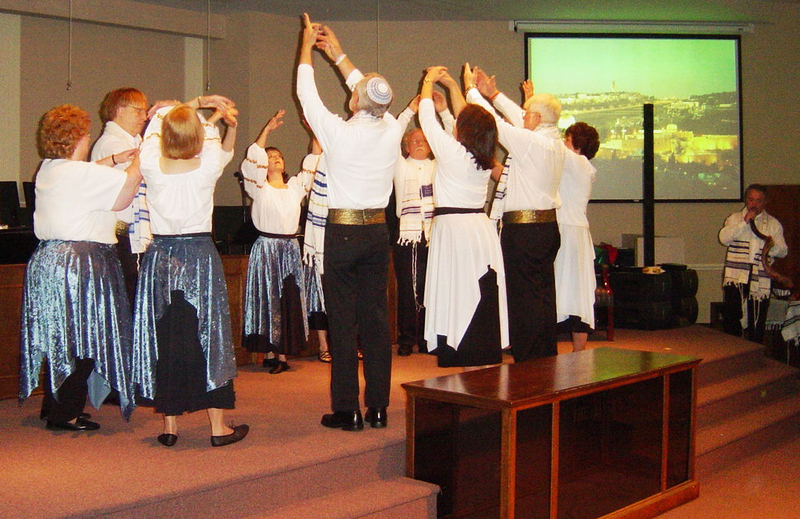 Teaching the dance "Zemer Atik"
Teaching the brush-step in "Bai Ya Meem"
Beit Yeshua hosted its annual Pesach Seder on April 02, 2010, in the Family Life Center at Covenant Bible Church. 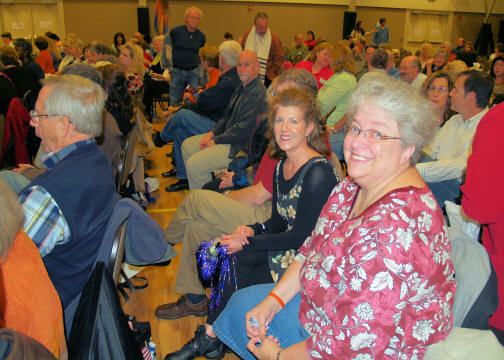 With about 200 in attendance, there was no cost for the event, but due to limited seating reservations were required. 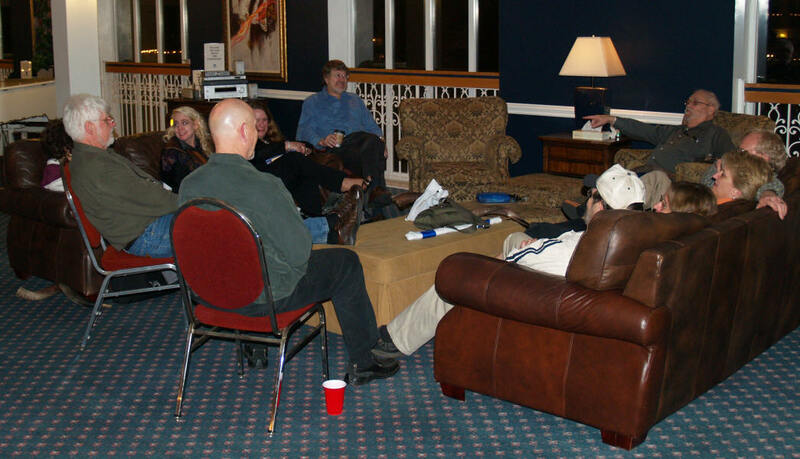 As always, we had low and regular seating. 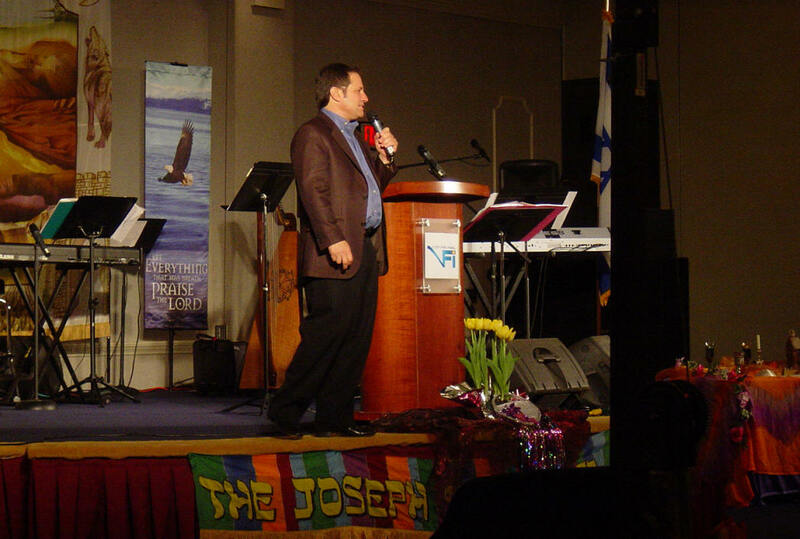 The 2010 Vision For Israel & The Joseph Storehouse Conference in Fort Mill, SC was April 23rd & 24th, 2010, at the Heritage International Conference Center in Fort Mill, South Carolina. 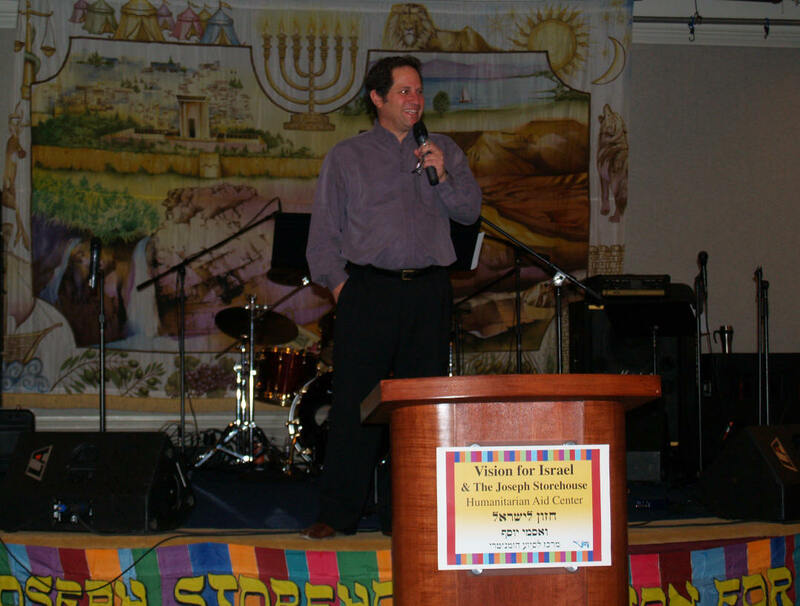 Barry Segal flew in from Jerusalem for the event with a weekend of praise & worship, fellowship and wonderful teaching. 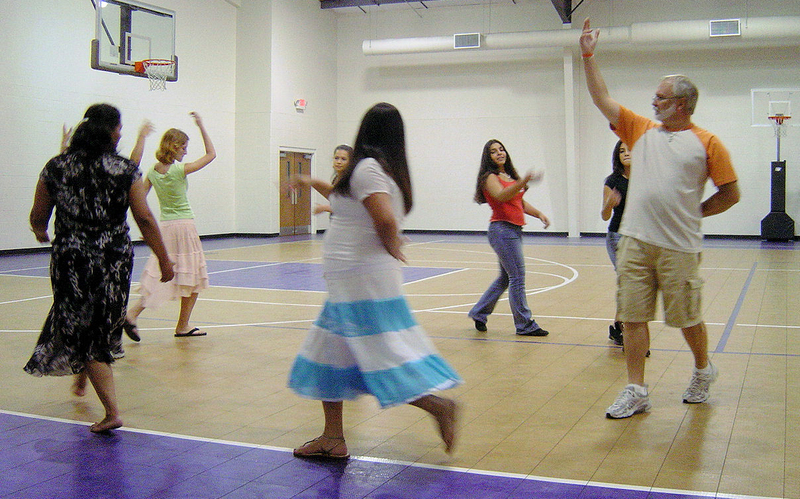 in the Family Life Center of Covenant Bible Church. 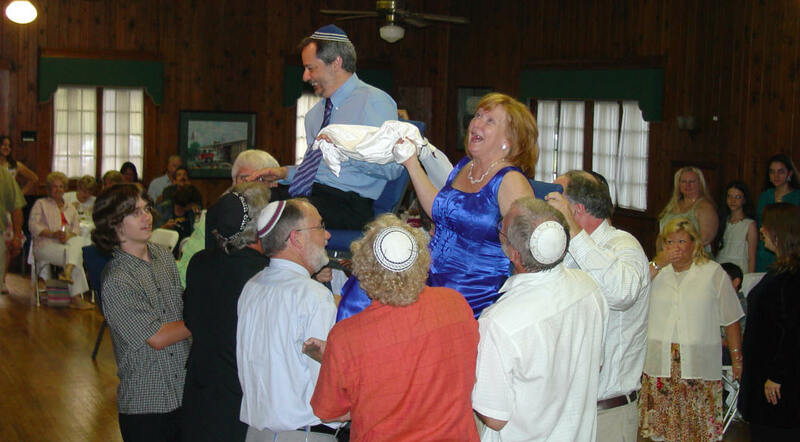 LYRICS: Al cho-mo-ta-yeech, Al cho-mo-ta-yeech, Al cho-mo-ta-yeech, Hifkadeti shom’rim. 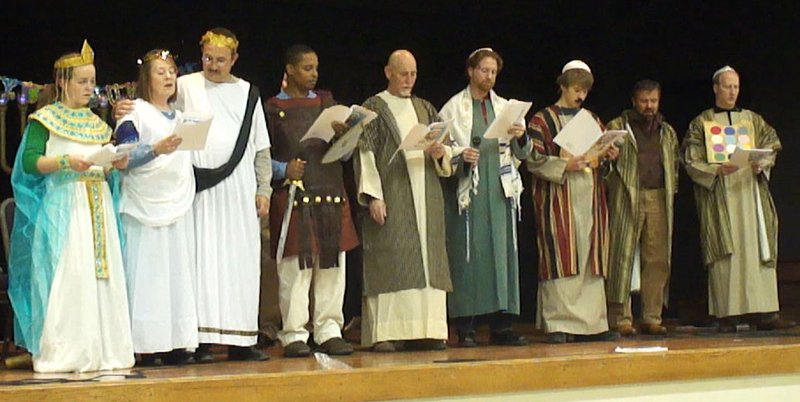 On your walls, O Jerusalem, I have set watchmen, I have set watchmen. 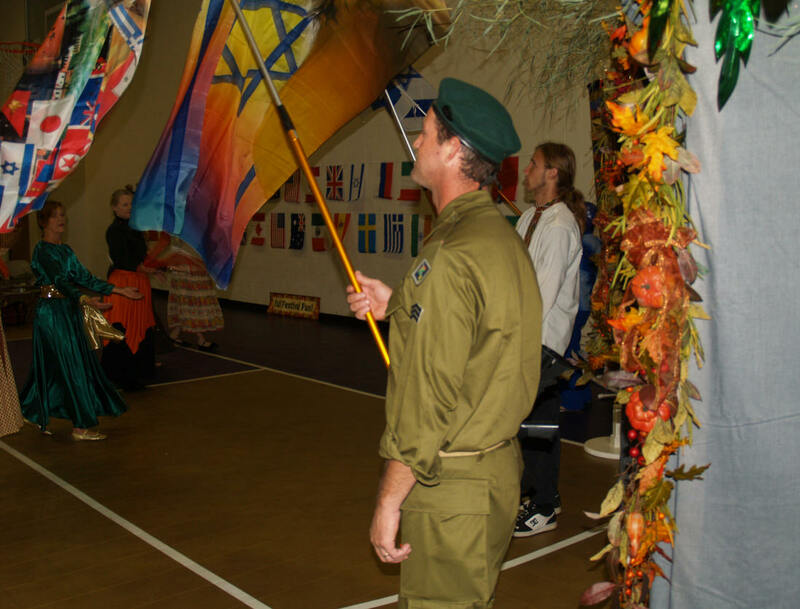 On your walls, O Jerusalem, Who shall never hold their peace. 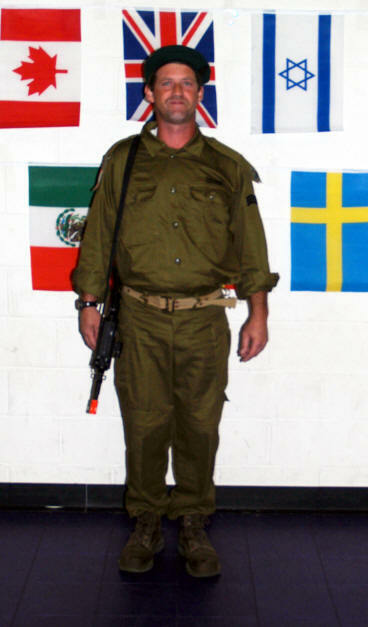 I have set watchmen on your walls. 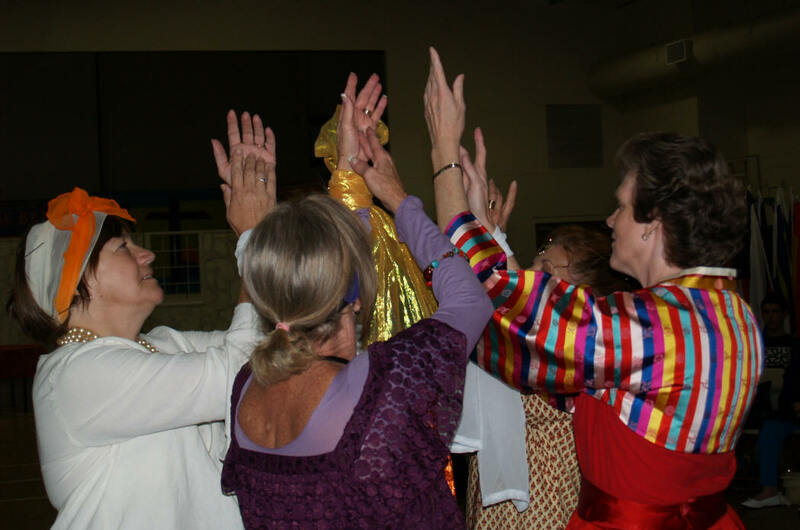 ‘Til He establishes, and ‘til He makes Jerusalem A praise in the earth. 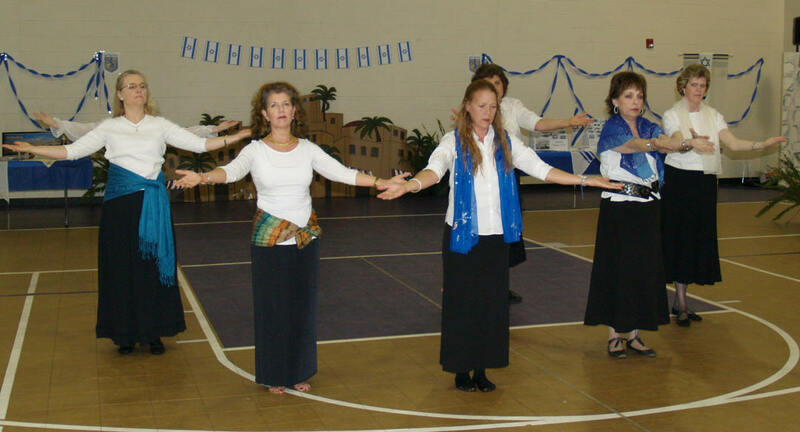 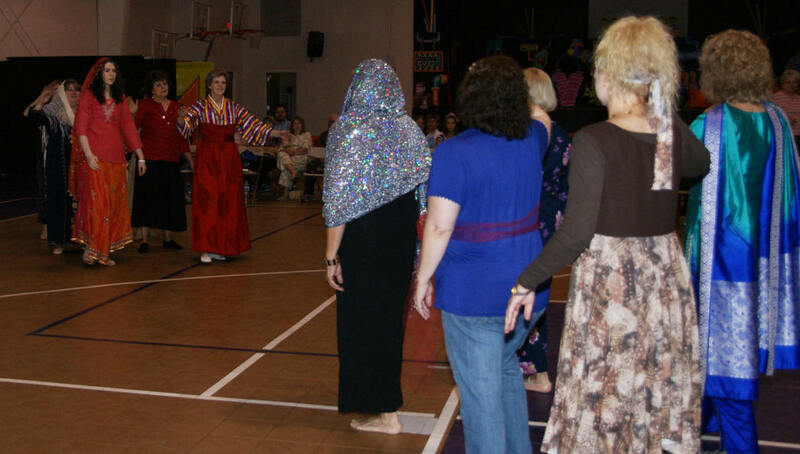 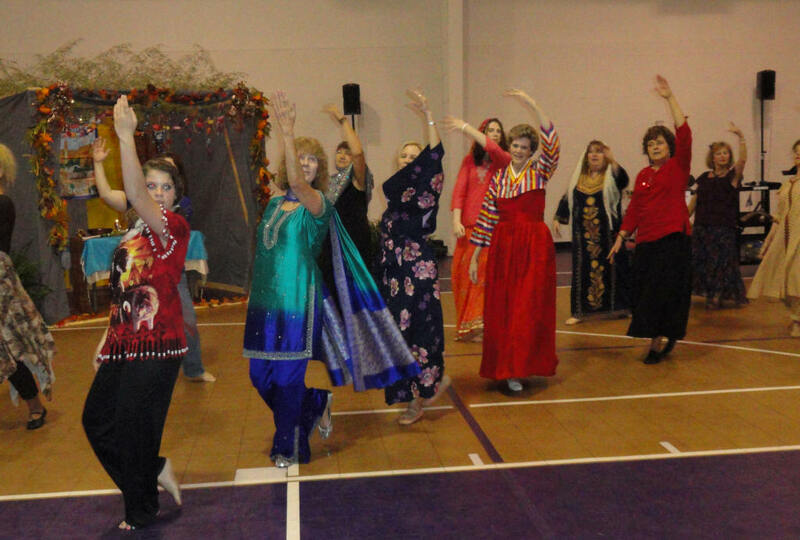 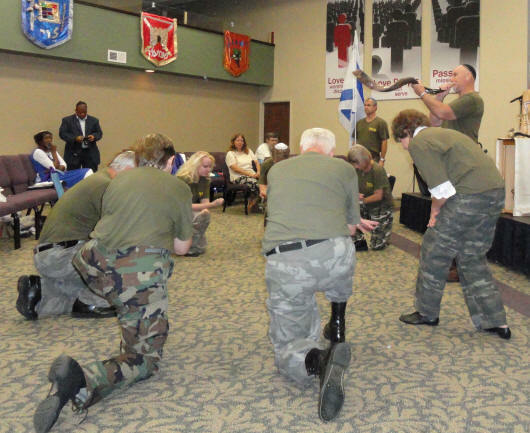 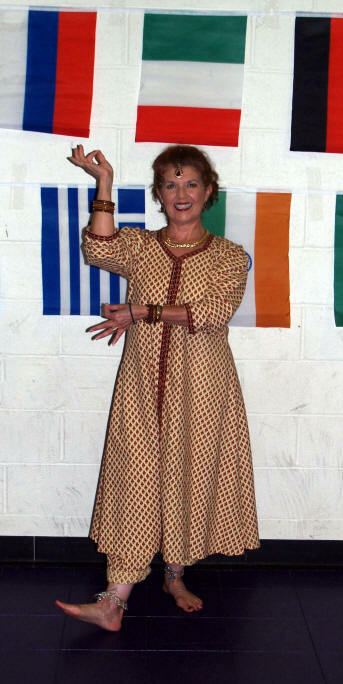 Cathy Hargett, of Highway to Zion, invited Beit Yeshua and the Machol Dancers to come and share an Evening Honoring Israel at the Highway to Zion assembly for the month of May. 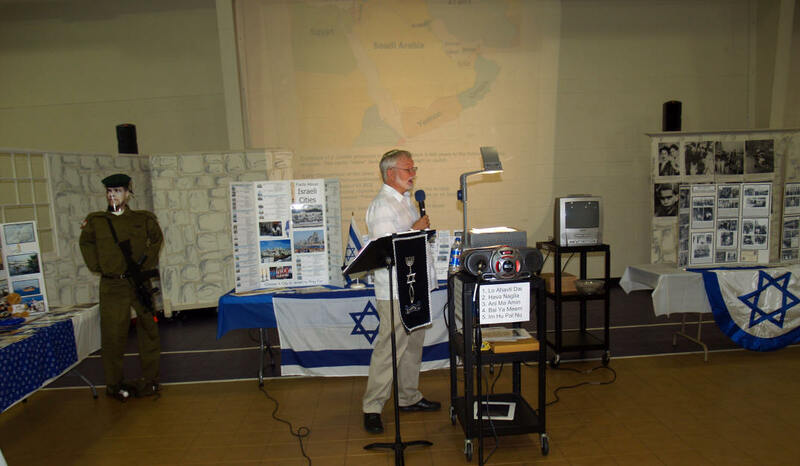 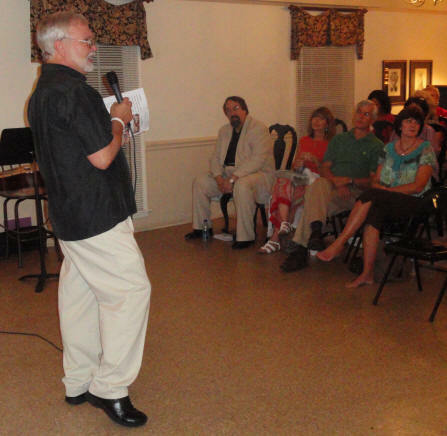 The meeting was scheduled for Friday, May 21st, 2010, at the Vision For Israel offices and warehouse in Pineville, NC. 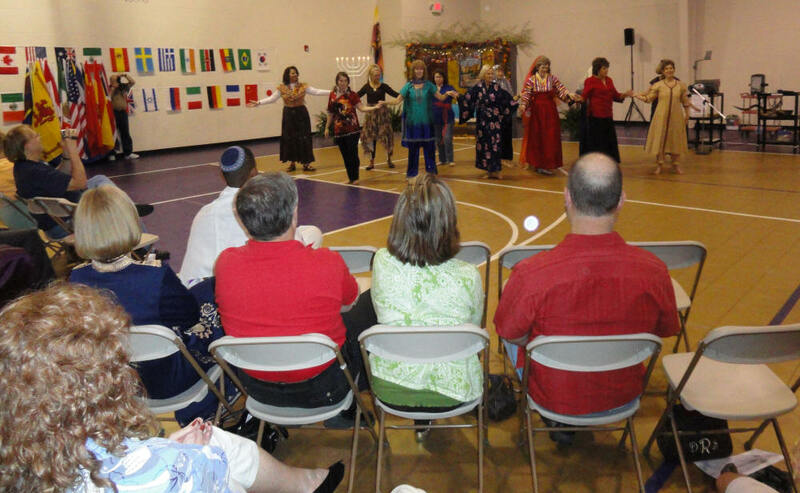 Beit Yeshua joined Beit Shofarot in China Grove/Landis, NC, on Saturday, August 7, 2010, for Beit Shofarot's Torah Dedication service. 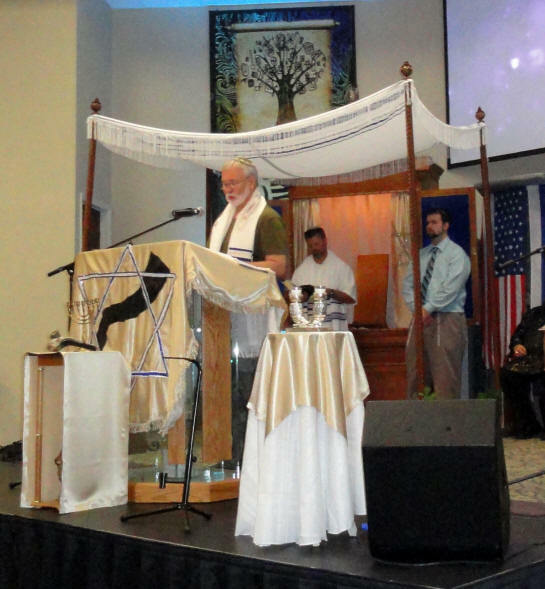 - in the new Ark. 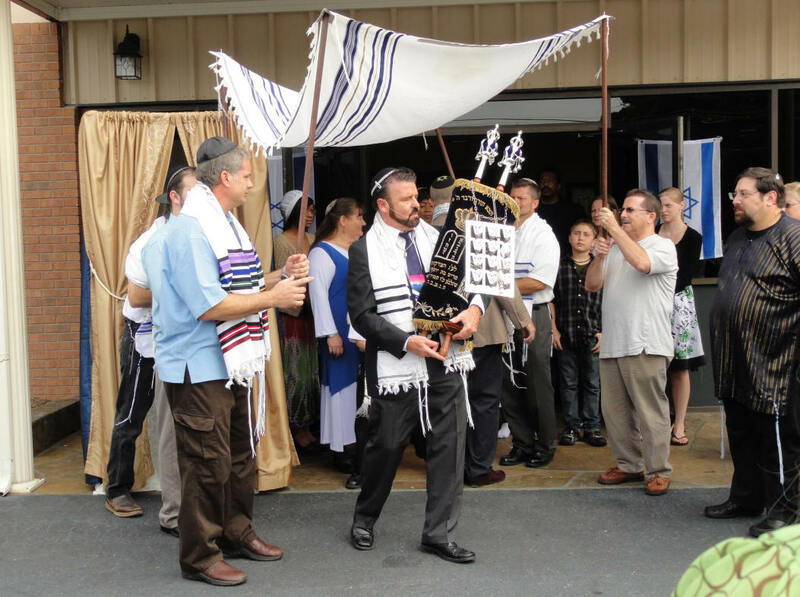 Rabbi Yossi carried the Torah in a procession for the 1st lap of 7 Aliyah around the building. 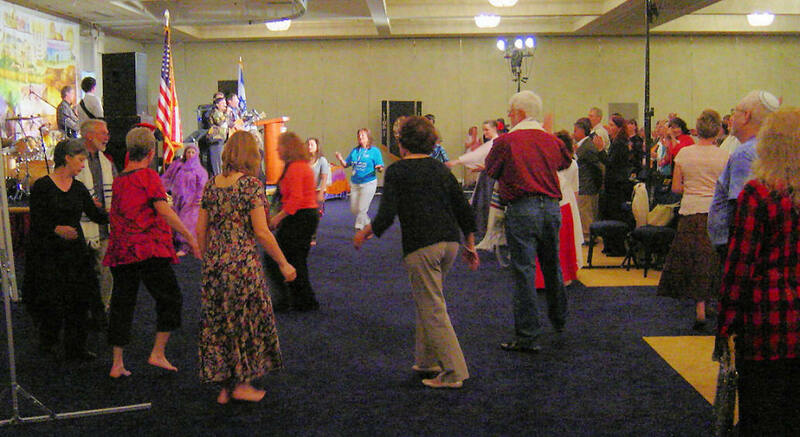 Click Here to see the video of the crowd dancing "Ma NaVu"
Highway to Zion welcomed Jewish Believer, Warren Marcus, as speaker for the August 27th assembly at the Meadows Clubhouse in Charlotte, NC. 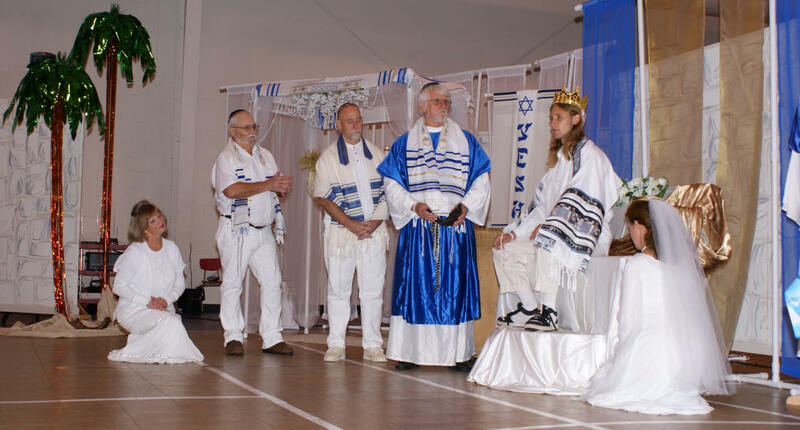 Beit Yeshua gathered on Friday, September 10th, to celebrate the Biblical Festival of Yom Teruah (the Day of the Awakening Blast), which is also called Rosh Hashanah. 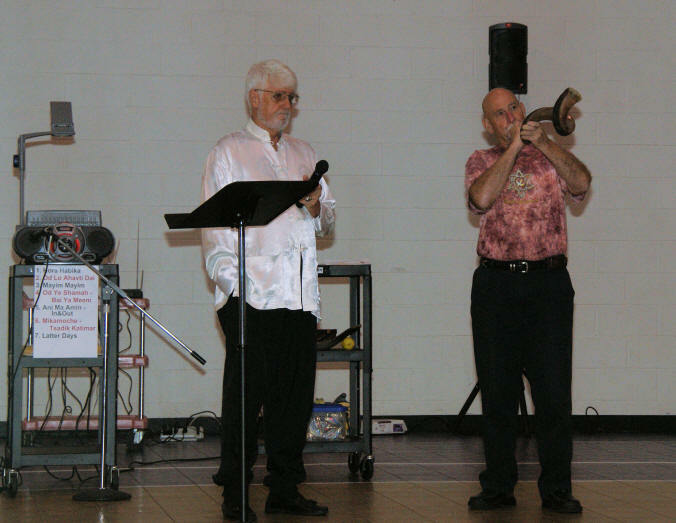 The decision was made to move the 2010 Feast of Trumpets celebration back to Doug & Lynda's home. 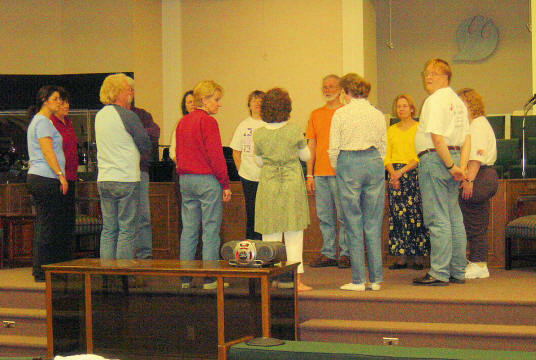 There was around 35 in attendance. 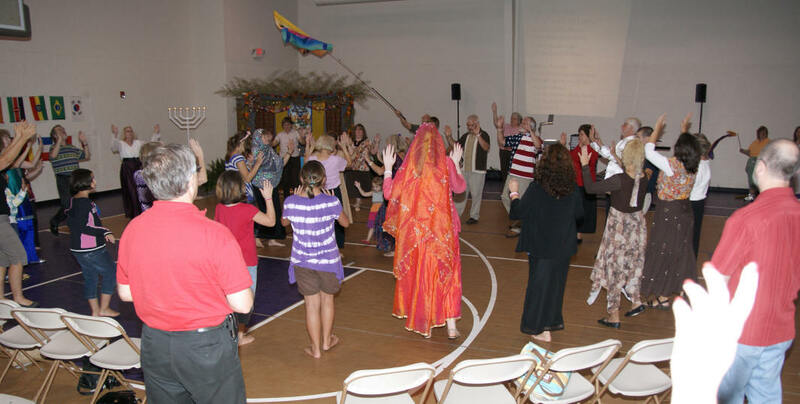 Beit Yeshua gathered on Friday, September 24, 2010, to celebrate the Biblical festival of Sukkot - or the Feast of Tabernacles. 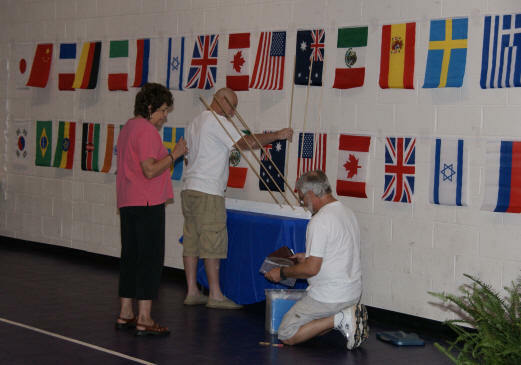 This was only our second year to move our festival celebration from the small home-group setting to the larger Family Life Center at Covenant Bible Church. 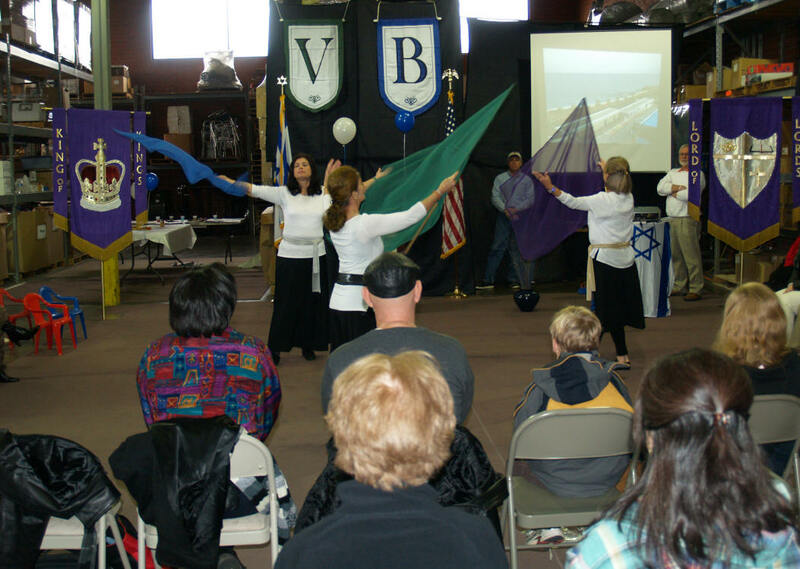 As with all the festivals that Beit Yeshua continues to present, the crowd continues to grow, and blessings to increase. 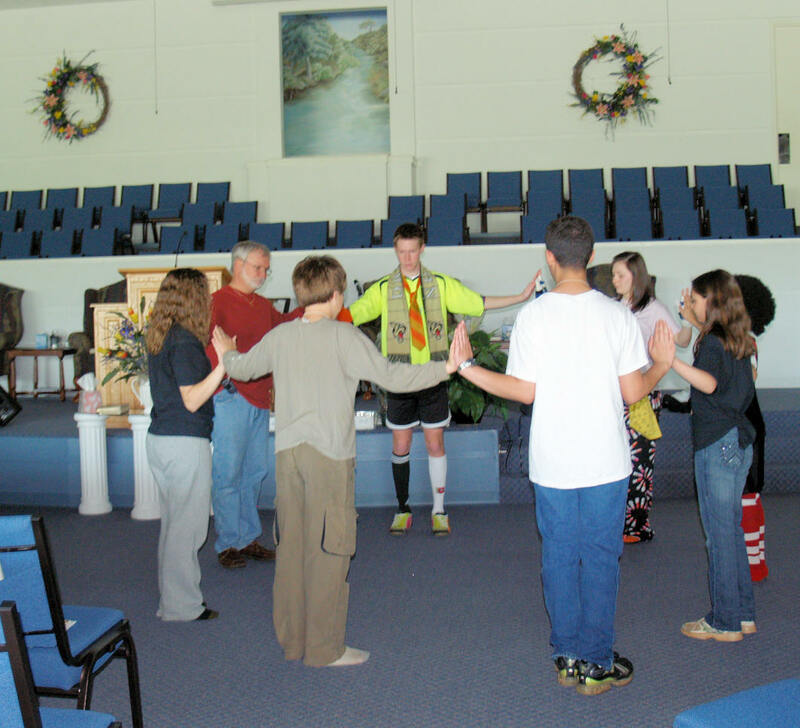 The Lord's presence was awesome. 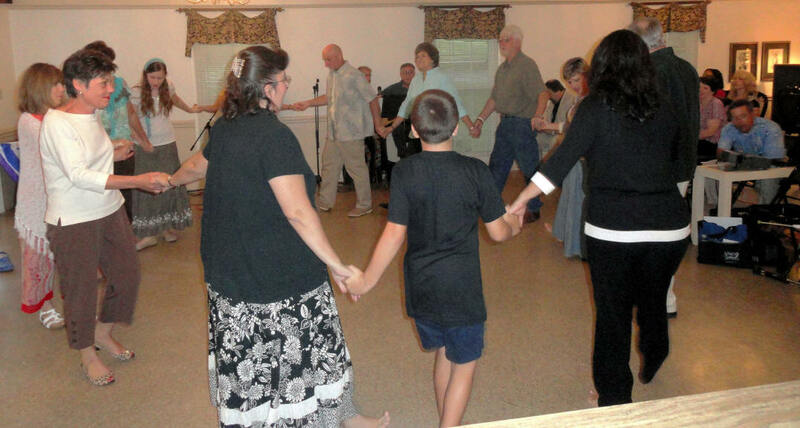 It was wonderful to reconnect with old friends and to make some new ones, too, as we worshipped the Lord together and anticipated the 2nd coming of Messiah Yeshua. 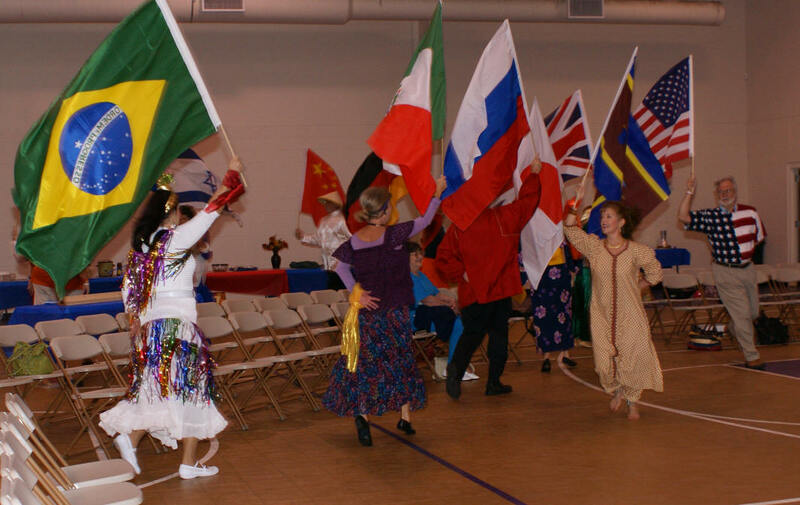 dancing to the song "We Speak to Nations"
"Hear the sound, the sound of the nations worshipping"
"Hear the sound, of sons and daughters singing"
"Who will go for us, Who will shout to the corners of the earth?" 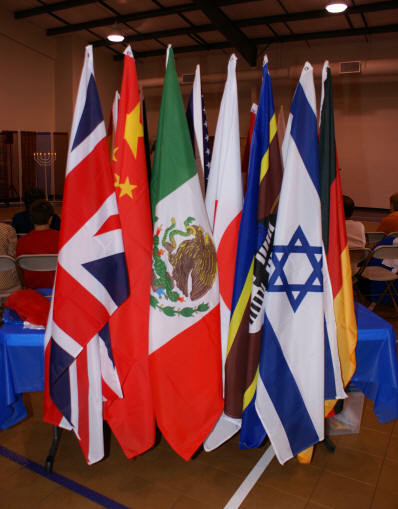 "We speak to nations, be open"
"We speak to nations, fall on your knees"
"We speak to nations, the kingdom is coming near to you"
"We speak to nations, be broken, powers of darkness, you have to flee"
"We speak to you - Be free - Be free"
"Hear the sound, the sound of the nations calling"
"Hear the sound, the sound of the fatherless crying"
"We will go for you, We will shout to the corners of the earth"
"We speak to strongholds, be broken"
"Powers of darkness, you have to flee"
"We speak to nation, the kingdom is coming near to you"
"Be free - Be free - Be free - Be free"
Curtis shares the four species listed in scripture - the palm, the myrtle, the willow and the citron or "The Lulav & Etrog"
Carolyn & Curtis were invited to the NC mountains by a group of Believers who had visited the Machol Dance Class on several occasions and were celebrating Sukkot from October 22 - 31st. 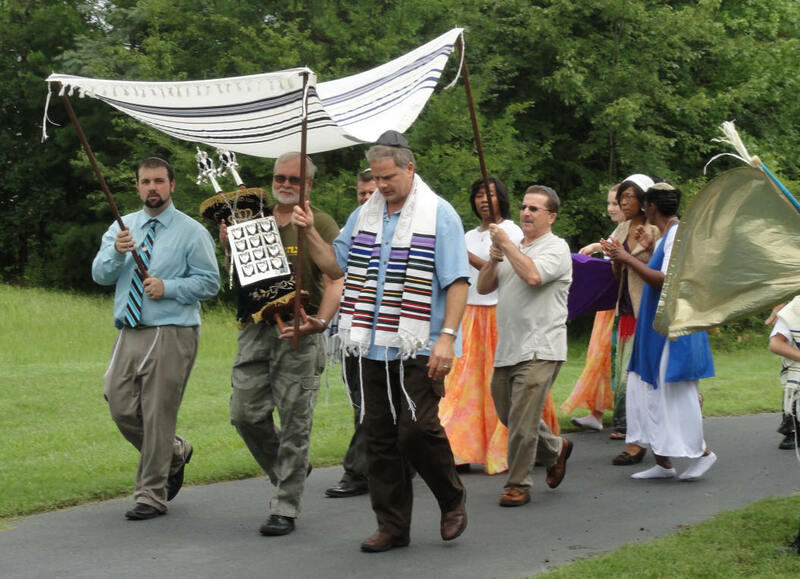 This Jewish-Roots group of Believers come from Marion, Nebo, Bostic, Boone and Connelly Springs, NC. 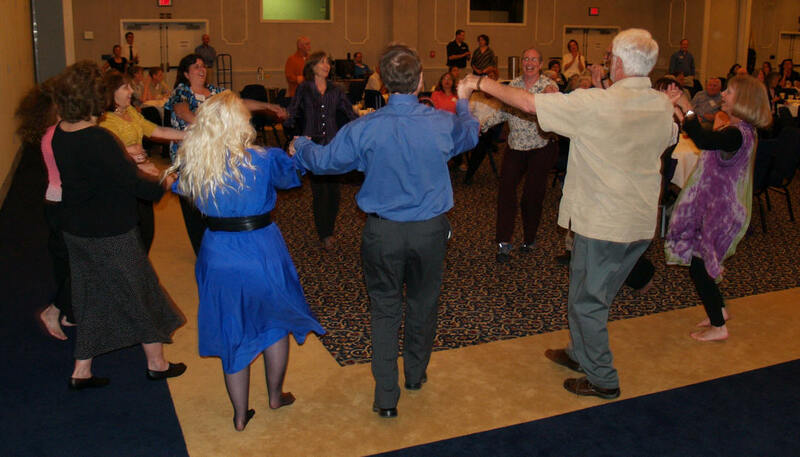 Carolyn & I went up on Saturday, October 23rd, and spent several hours fellowshipping and dancing. 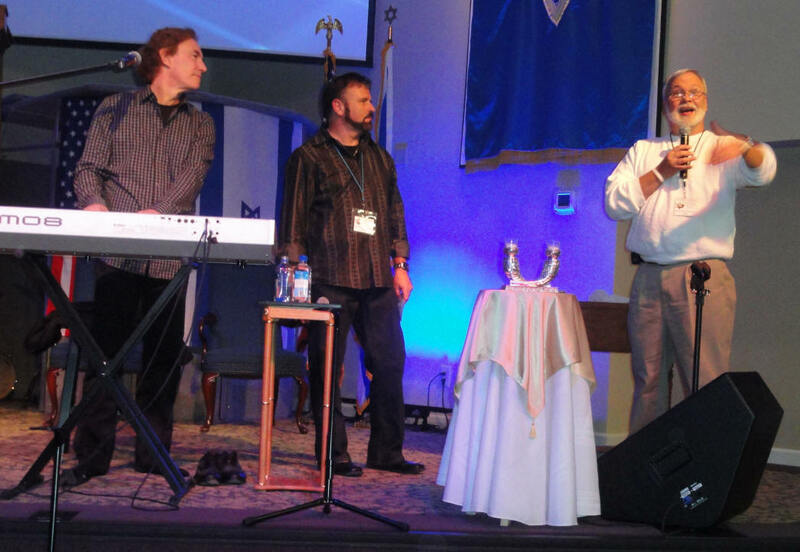 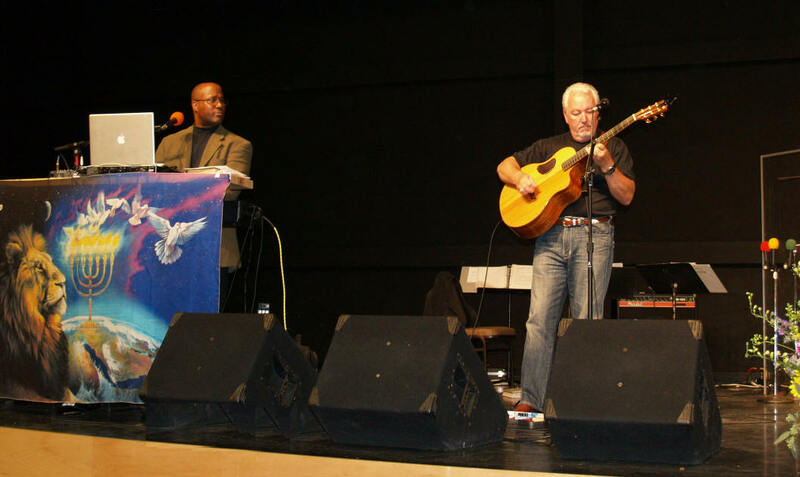 Beit Shofarot invited Beit Yeshua to join them in hosting Messianic singer Marty Goetz in concert at Beit Shofarot in China Grove (Landis), NC, on Saturday, November 6, 2010. 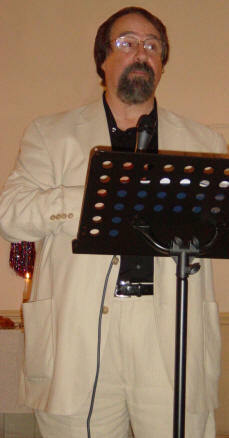 As always, Marty delighted those in attendance with his singing, wit, personal stories and devotion to the Lord. 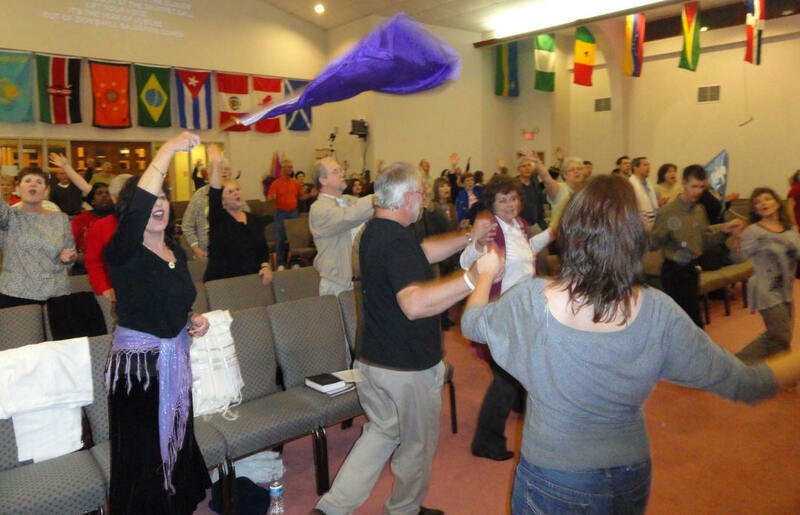 The Lord's presence was truly there as Marty sang, shofarot sounded, Israeli flags waved, prayers prayed and dancers danced. 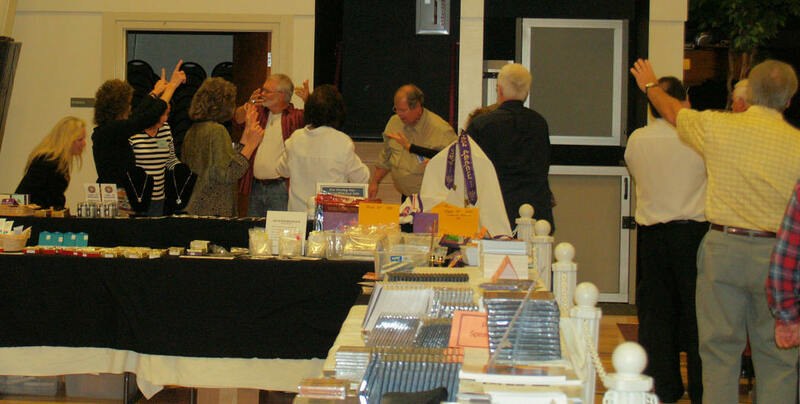 What a blessing as at folks from a dozen or more congregations, groups and ministries came out to be involved. 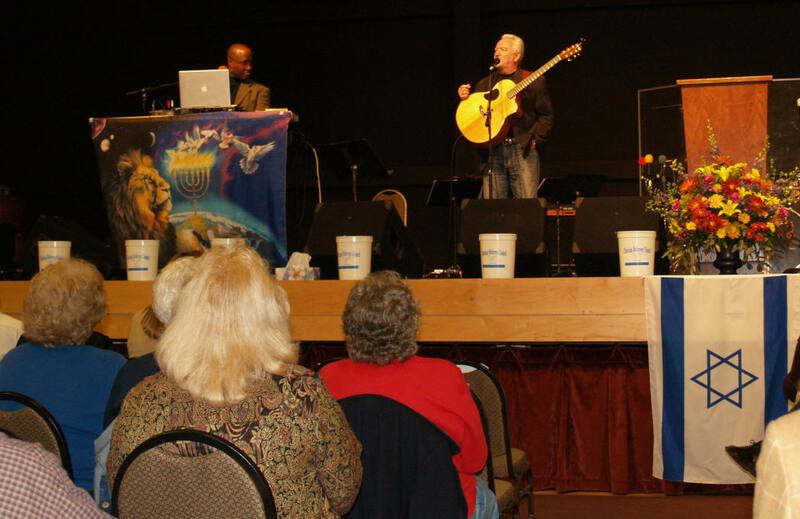 On Friday, November 12, 2010, Highway to Zion hosted an Assembly that also included Beit Yeshua, Beit Shofarot and Love For His People. 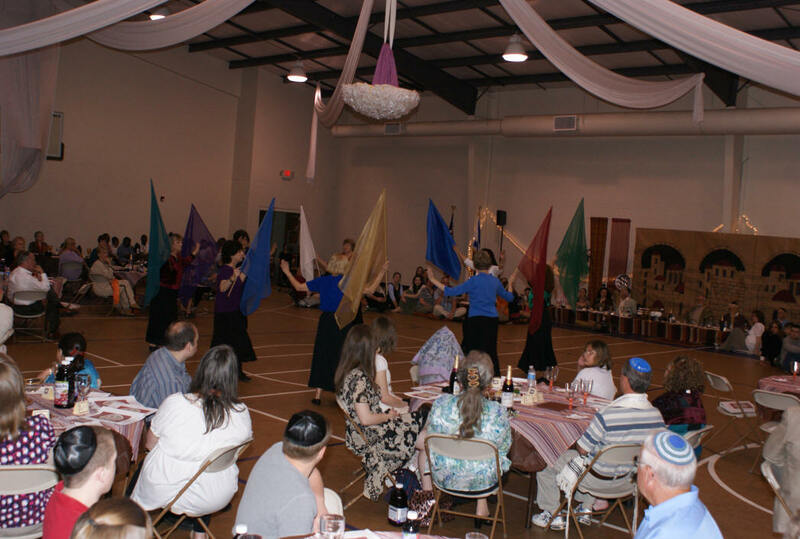 Praise & Worship was led by Steve & Laurie Martin of Love For His People, Dance was led by Curtis and the Machol Dancers, and the evening's message was from Rabbi Yossi Wentz of Beit Shofarot. 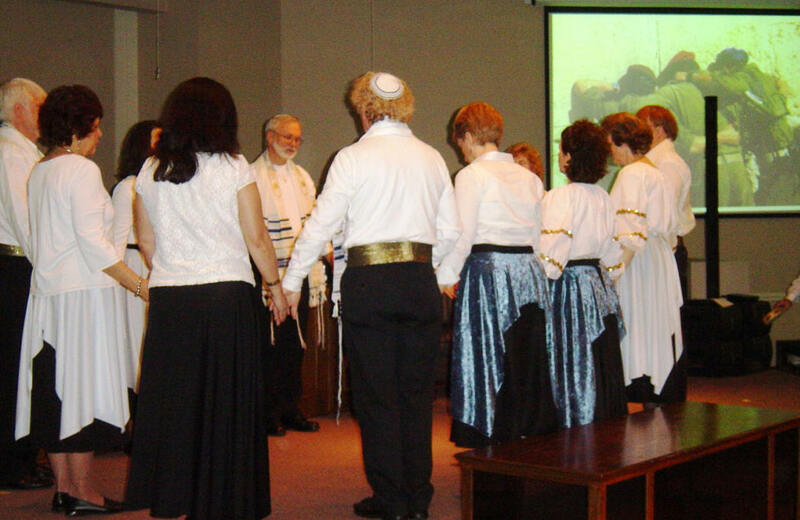 Beit Yeshua & Beit Shofarot gathered corporately on Saturday, December 4, 2010, at First Reformed Church in Landis, NC, to celebrate the Biblical festival of Hanukkah. 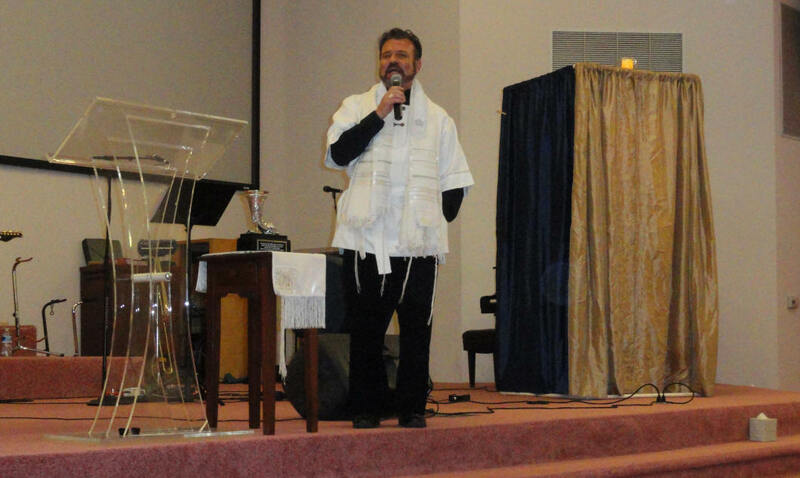 The evening started as Rabbi Yossi lit the Hanukkah menorah and proceeded to a time to praise, worship & dance. 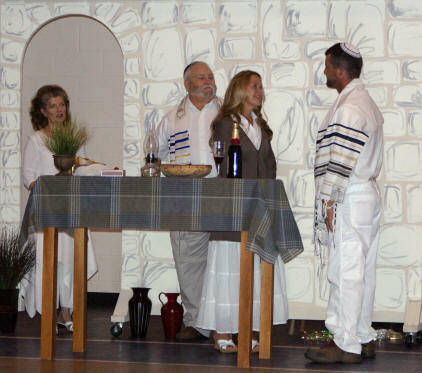 An impromptu/spontaneous Hanukkah play gave folks from Beit Yeshua, Beit Shofarot & First Reformed Church an opportunity to learn the story of Hanukkah and how God brought deliverance to the Jewish people - culminating in the cleansing & rededicating of the Temple.